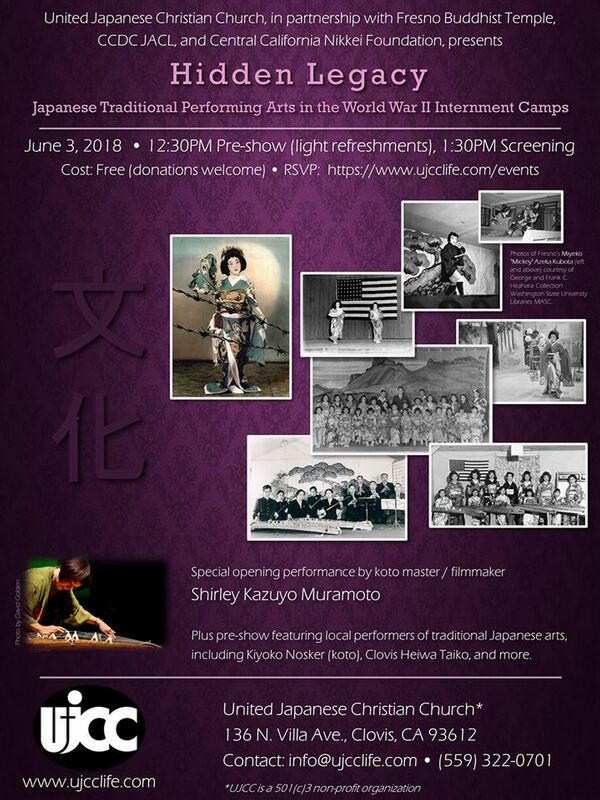 Special opening performance by koto master / filmmaker Shirley Kazuyo Muramoto . 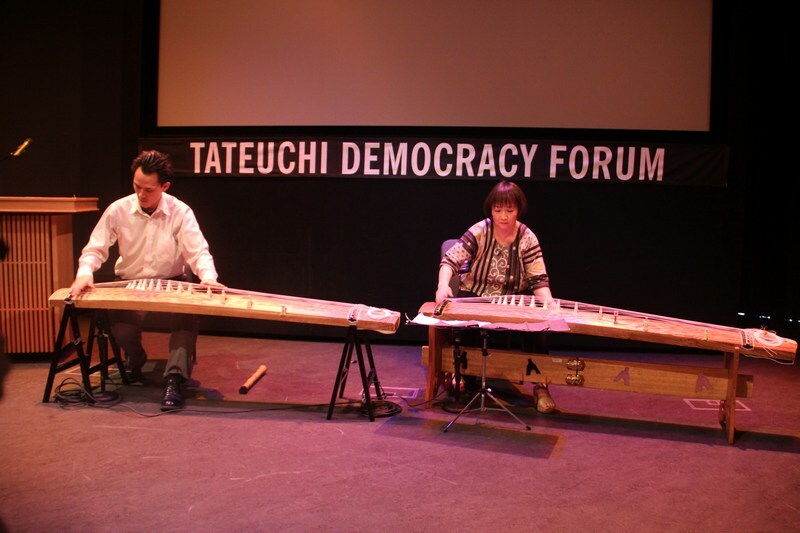 including Kiyoko Nosker (koto), Clovis Heiwa Taiko, and more. 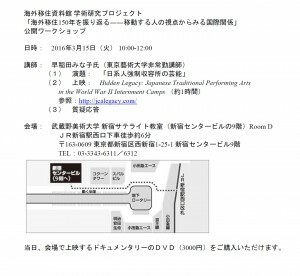 After 5pm visitors may park anywhere. 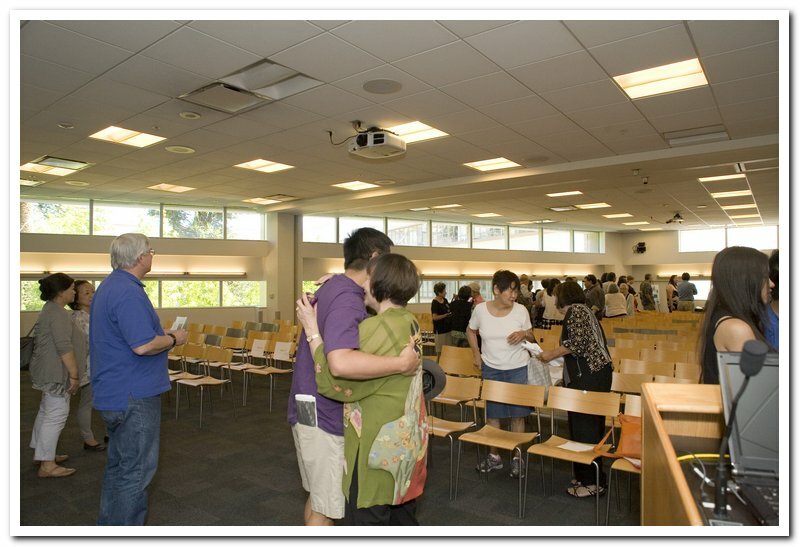 Tower Lot is closest to the Mandel Center. 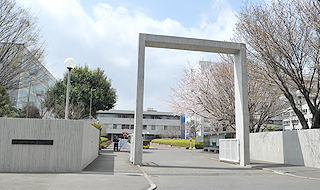 as you face that building. Both buildings are between the Clapp Library and the Lake. 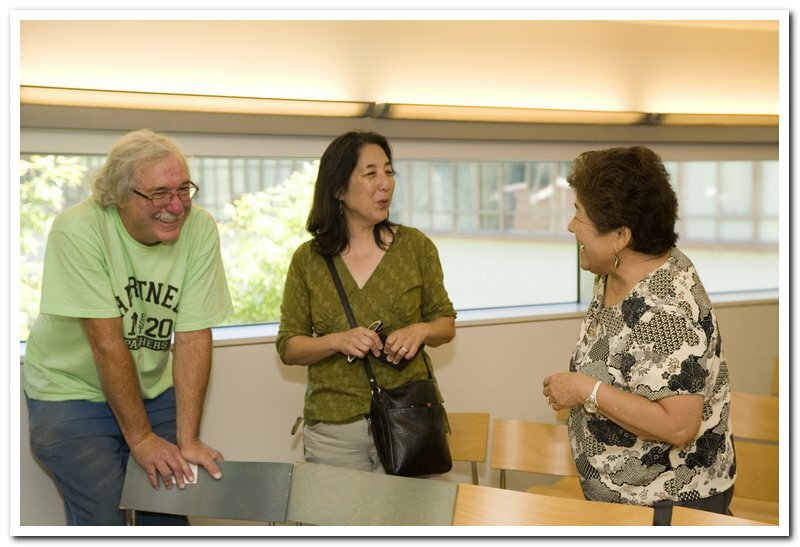 Guests can park in the Davis parking facility, which is just inside the Route 135 entrance to Wellesley College. 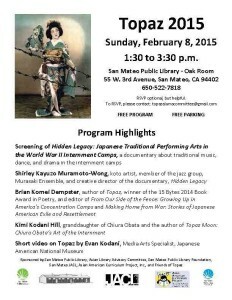 Admission: Free. 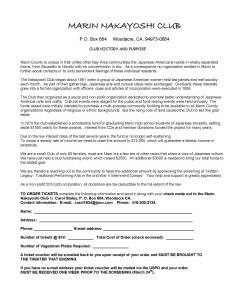 Donations are welcomed and appreciated. Saturday September 17, 2016 Hidden Legacy presented at Buddhist Temple of Chicago, private screening. 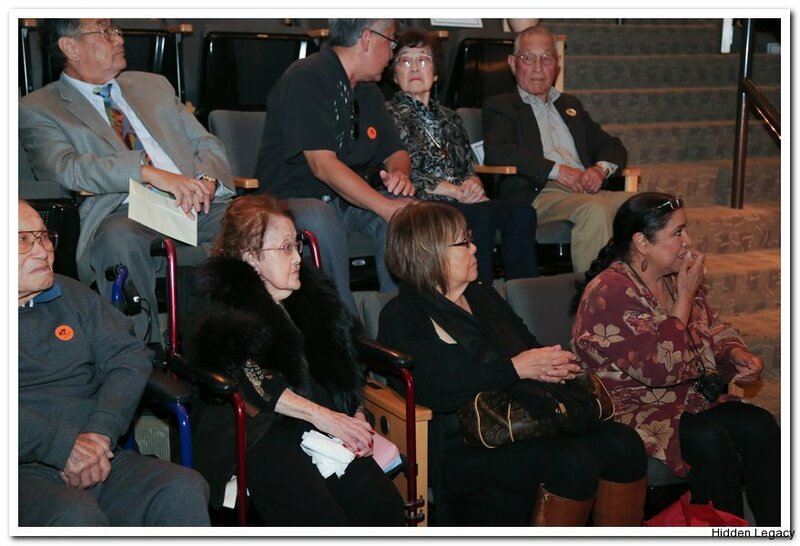 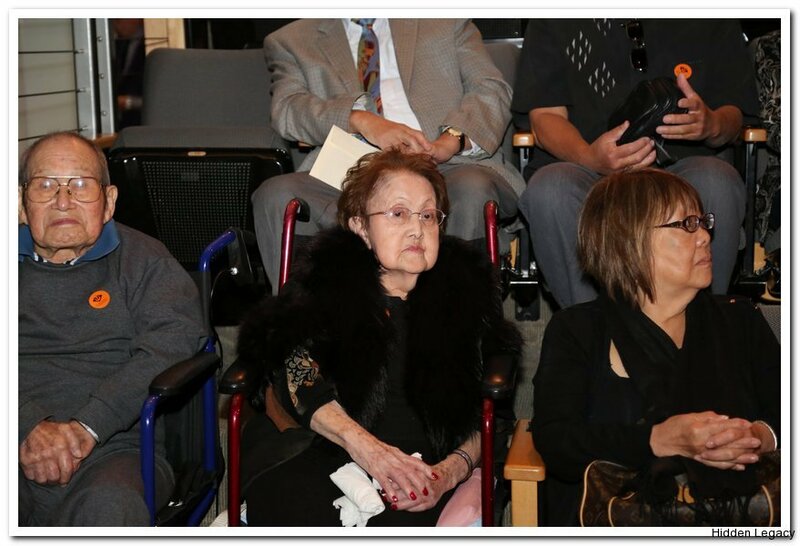 Thu April 21st 2016 at 7p, Town Meeting Hall, 201 Front Street, Danville, CA, open to the public, part of the “Art of Survival: Turmoil at Tule Lake” exhibition, presented by the Museum of San Ramon. 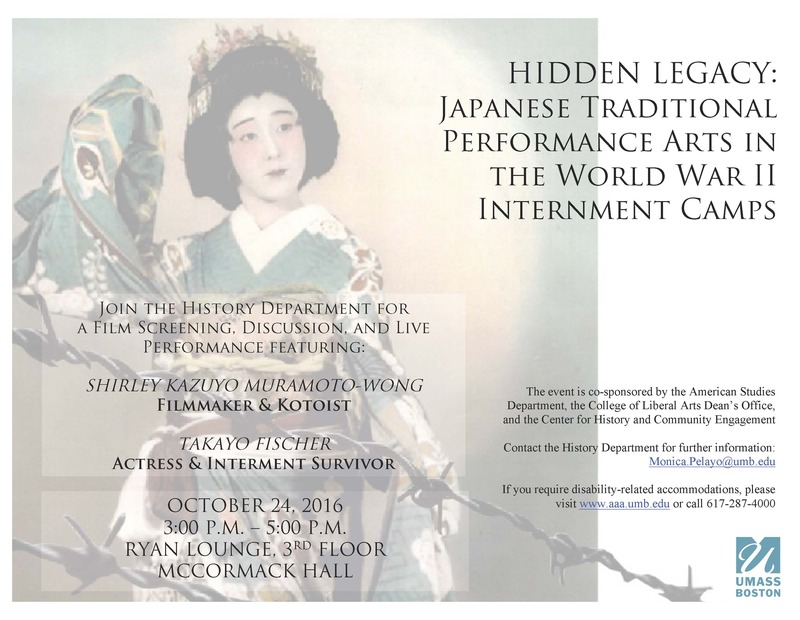 Admission: Free, but please reserve in advance because of limited seating. 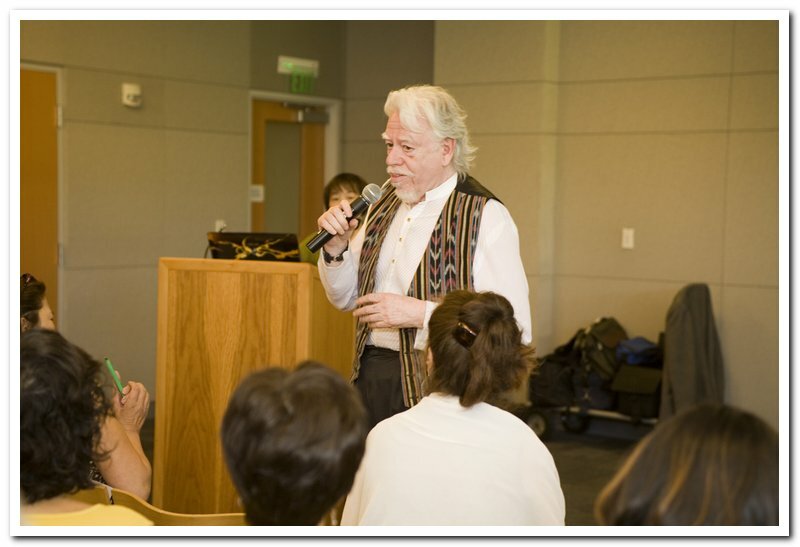 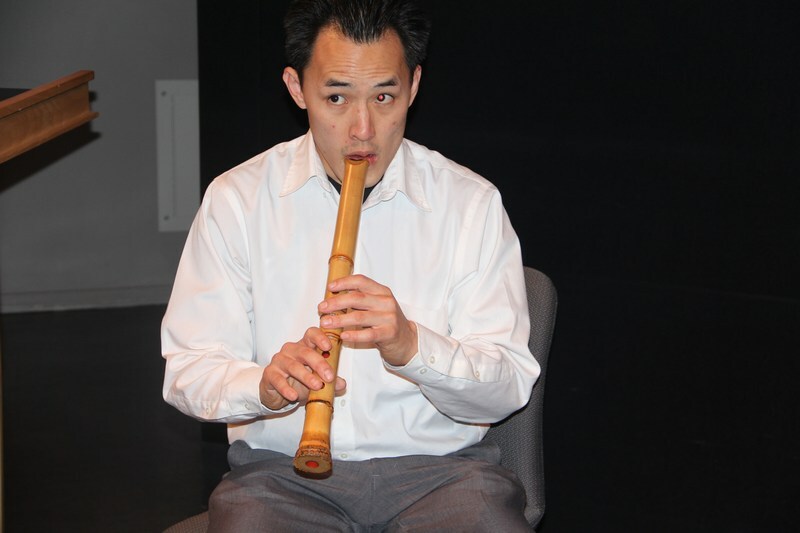 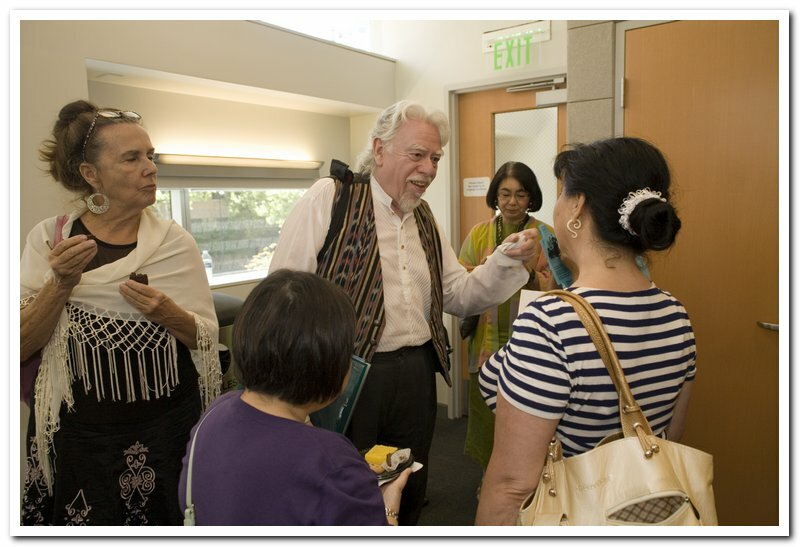 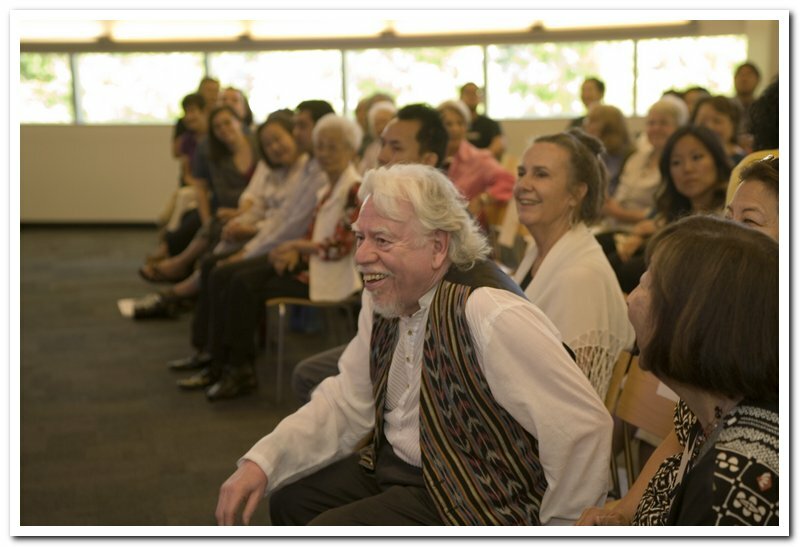 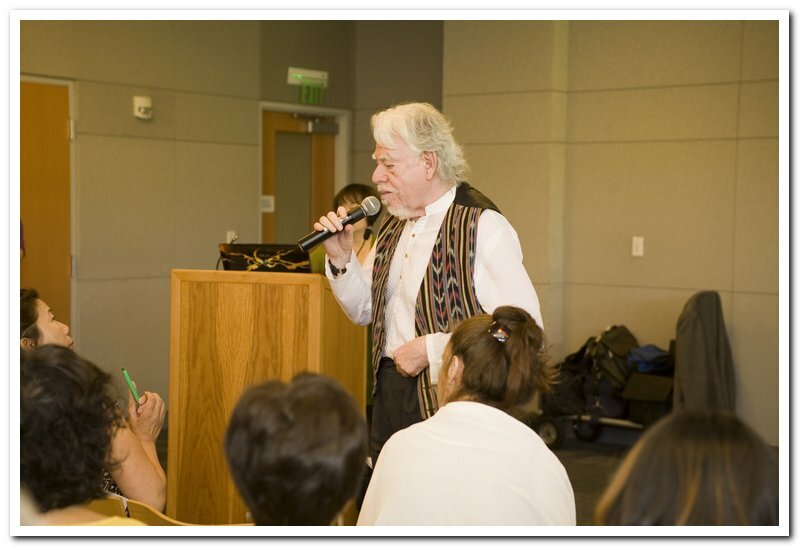 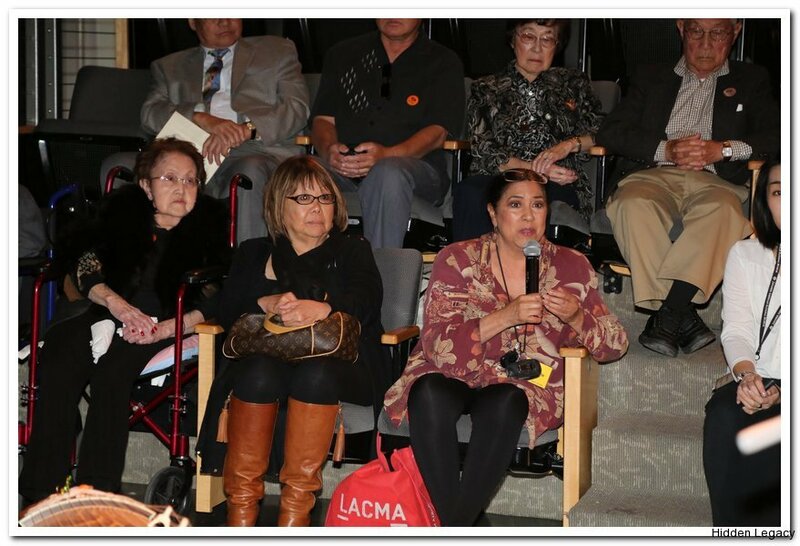 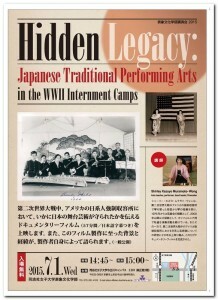 To reserve, visit ethnomusic.ucla.edu and click the Hidden Legacy link in the right column of the webpage. 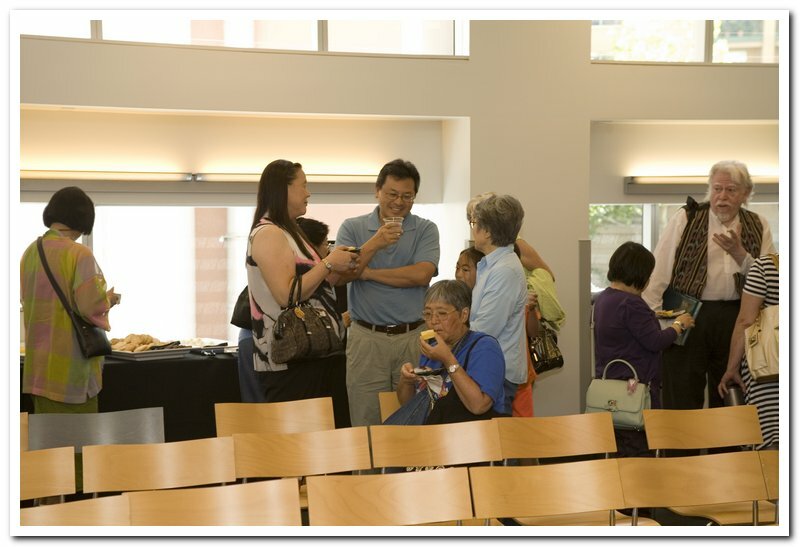 Parking: UCLA Lot #2, corner of Hilgard and Westholme avenues; $12 all-day parking. 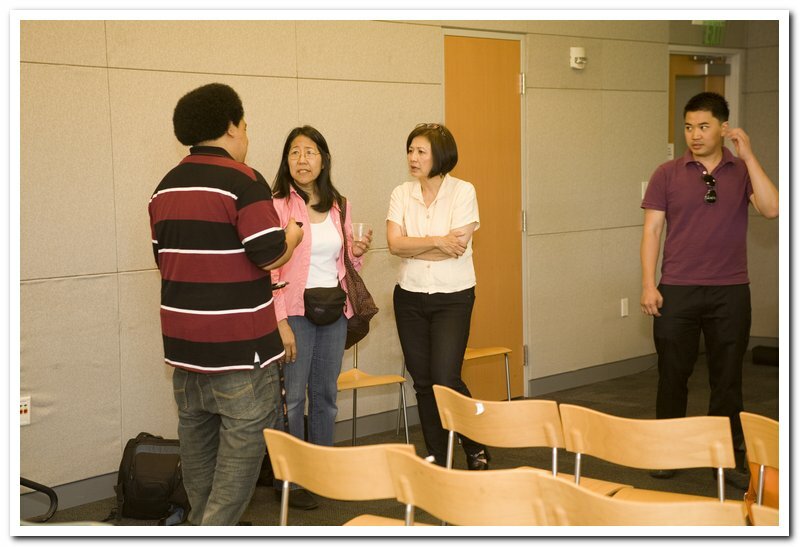 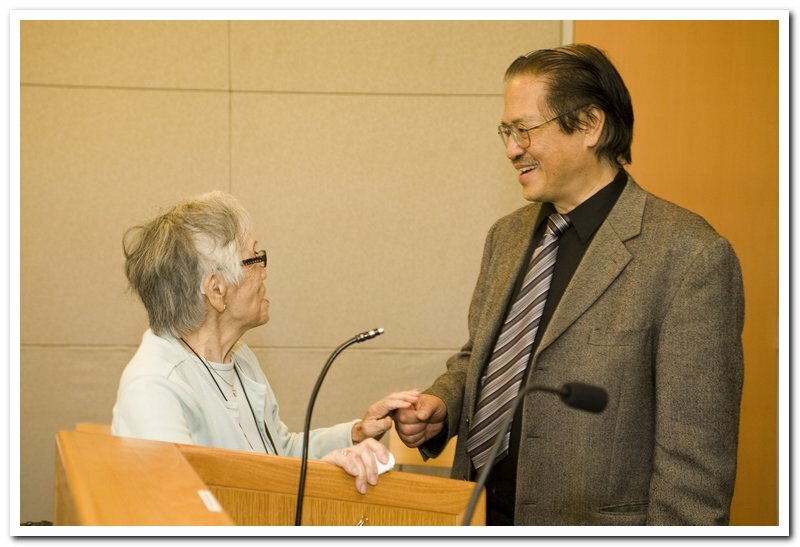 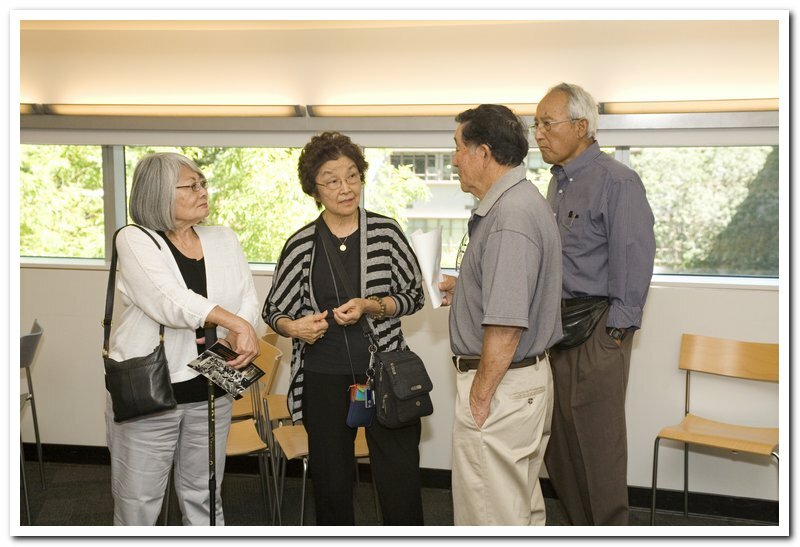 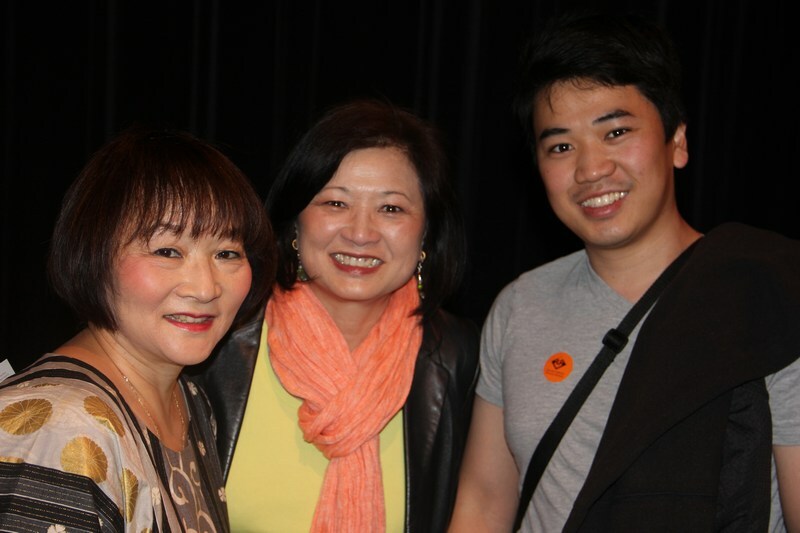 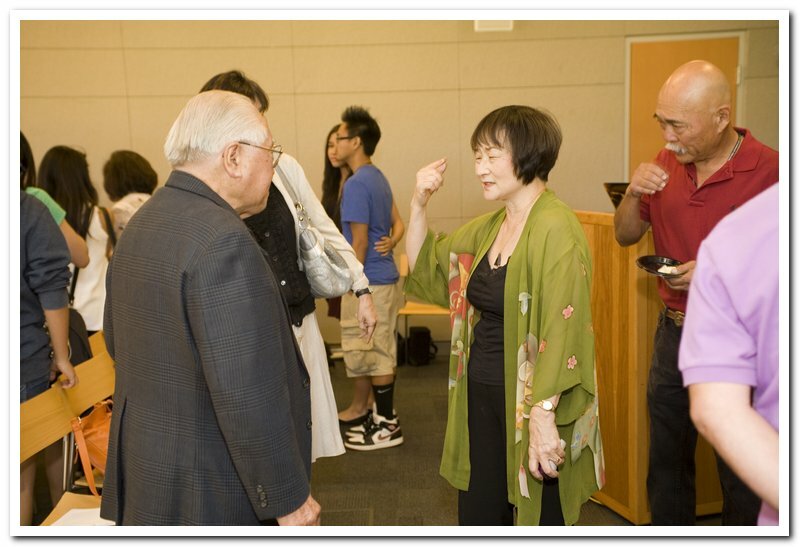 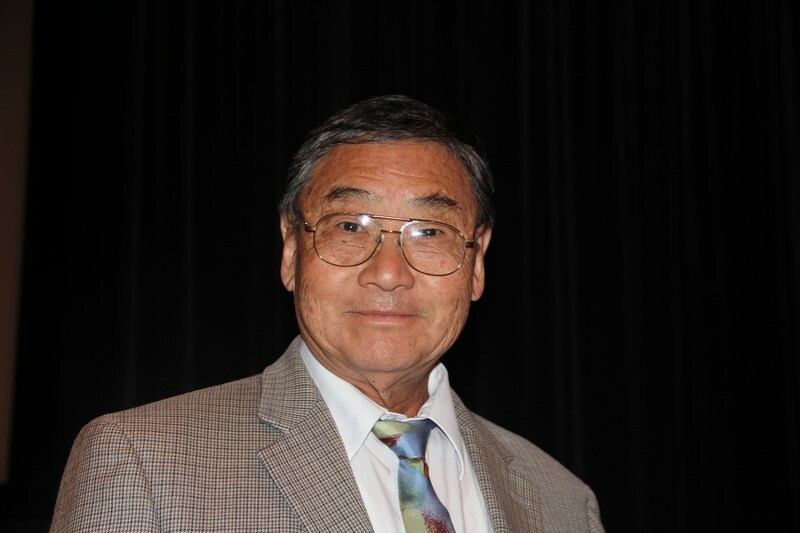 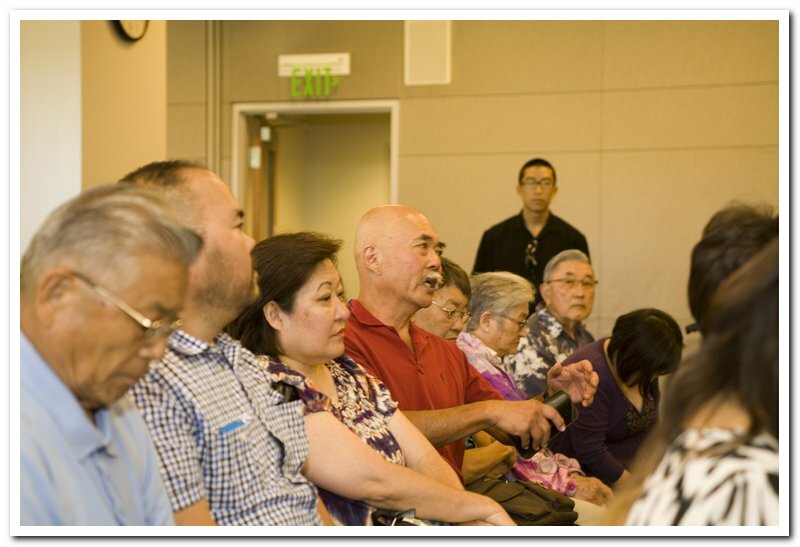 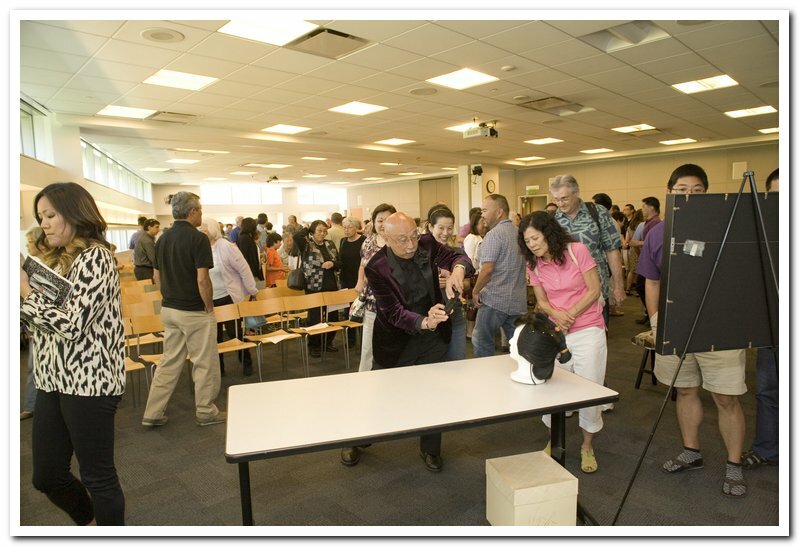 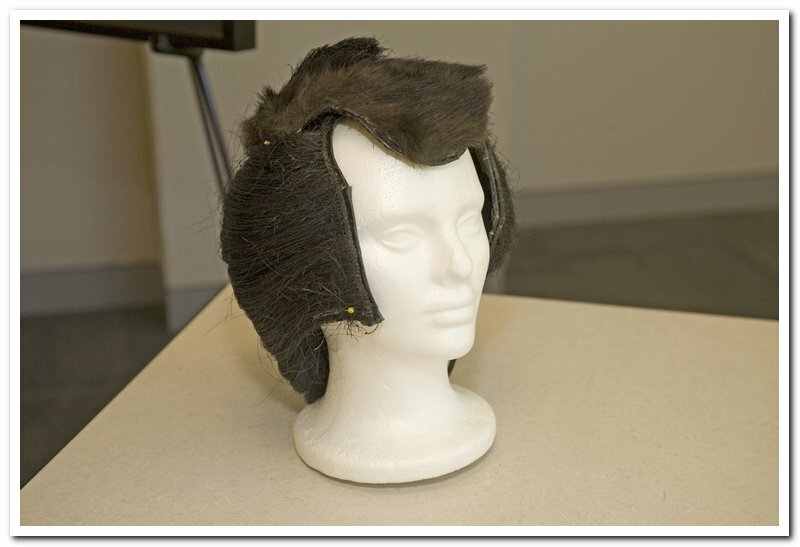 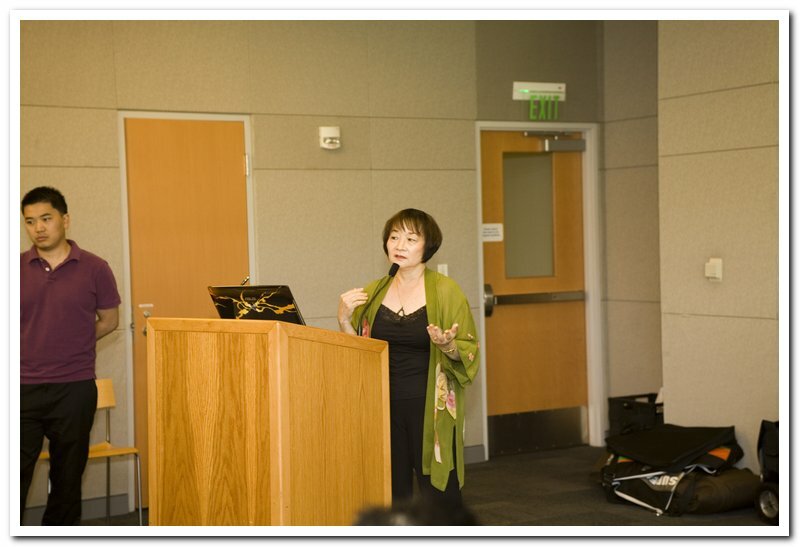 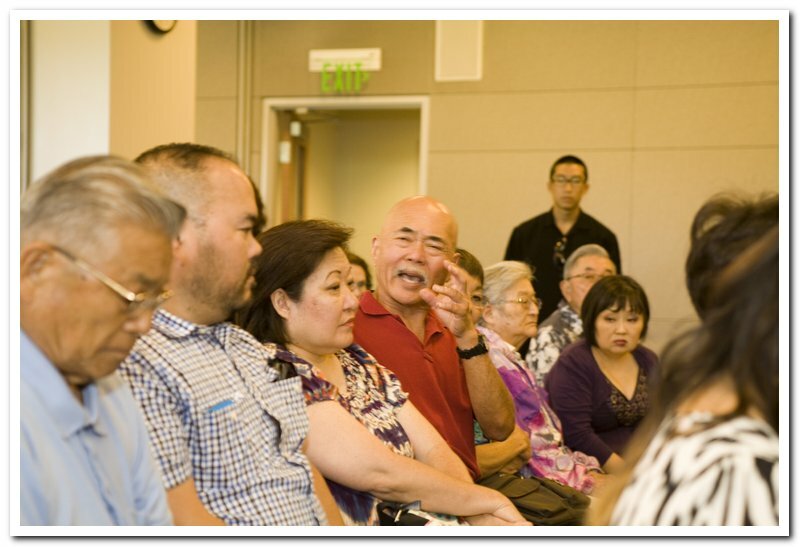 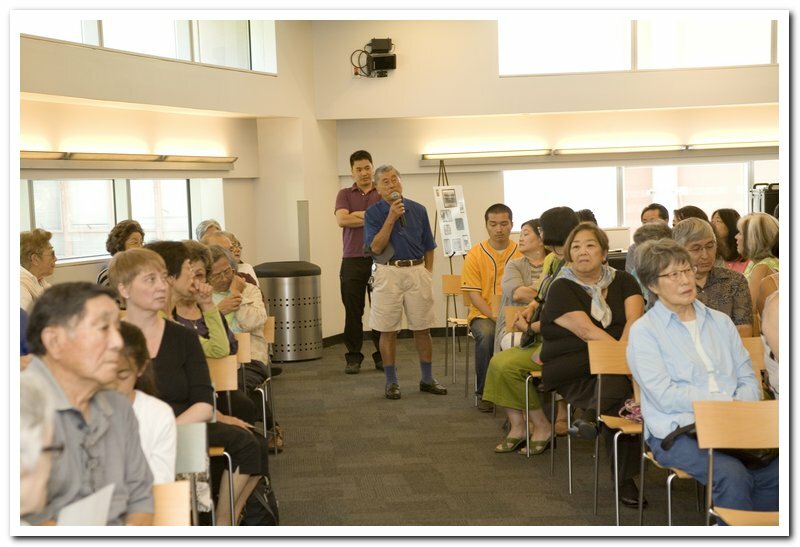 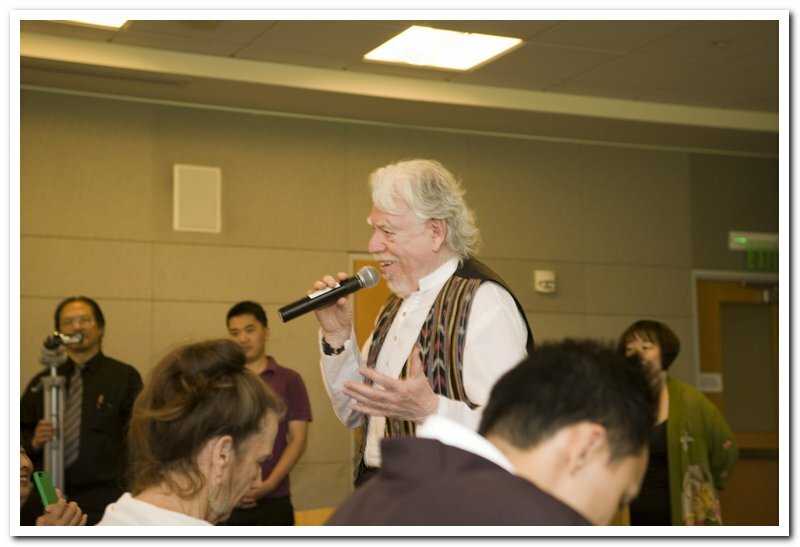 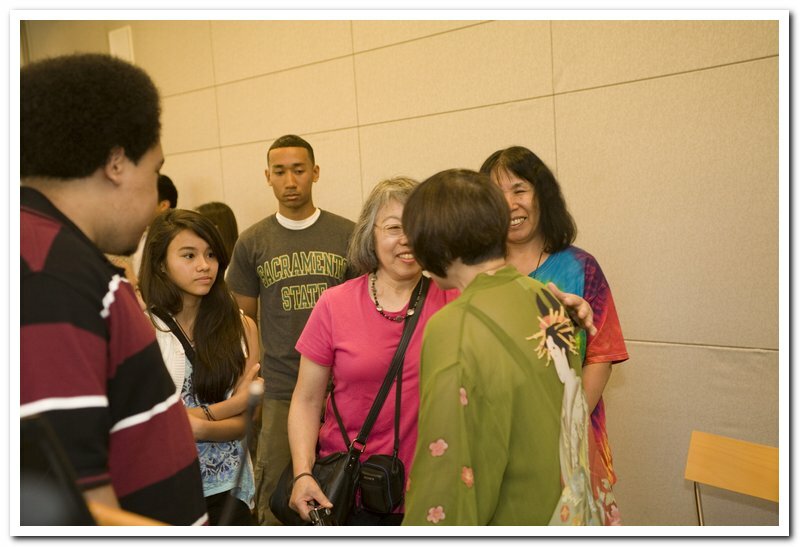 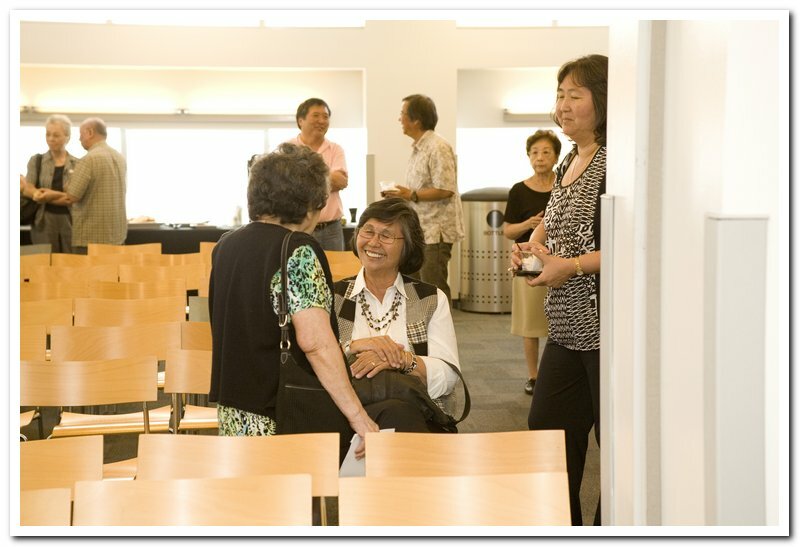 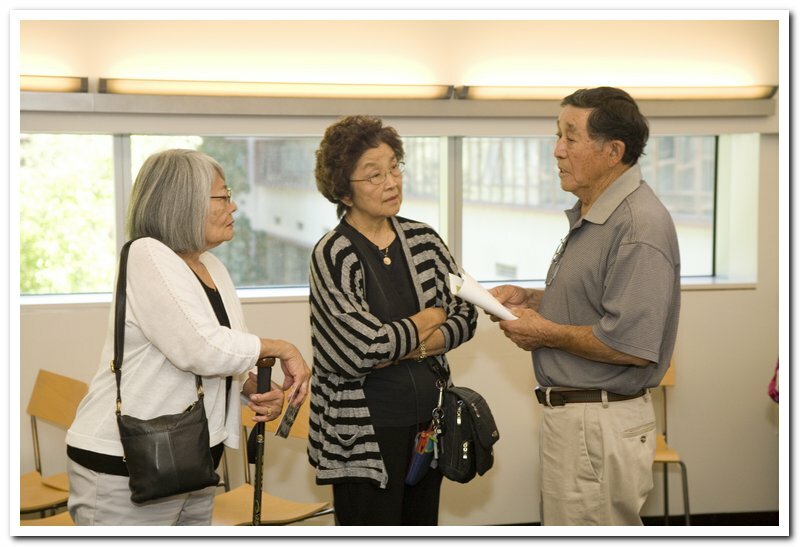 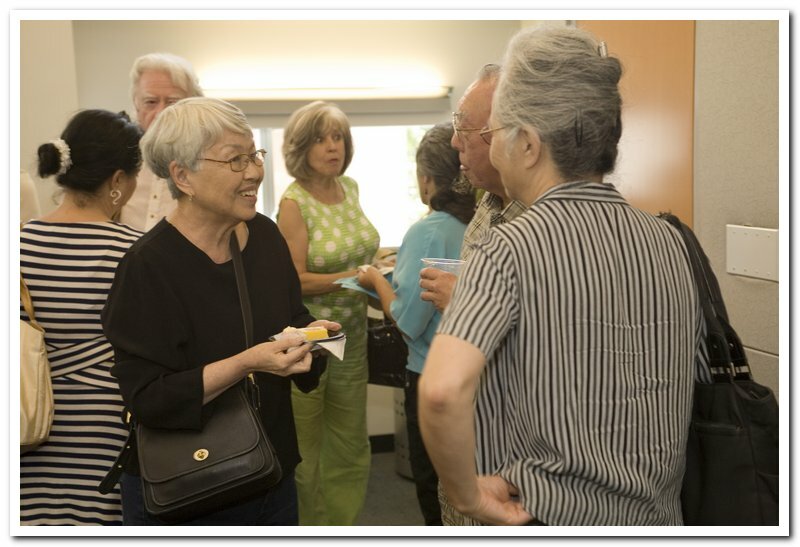 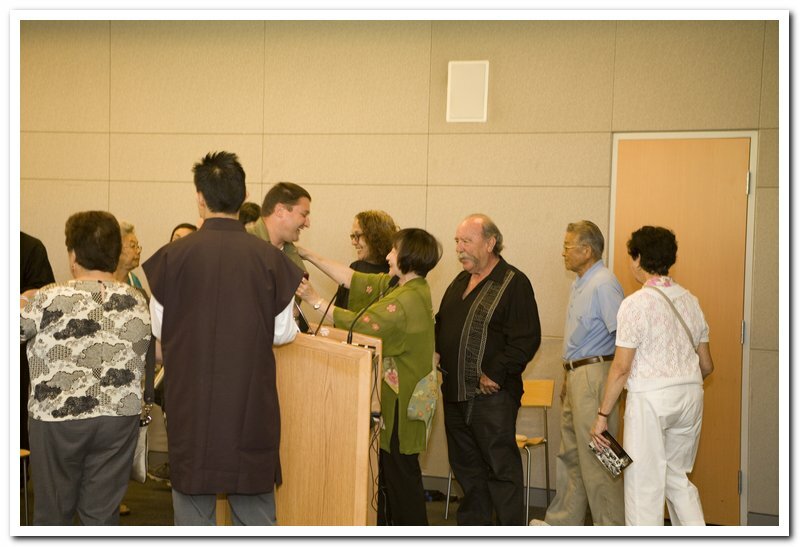 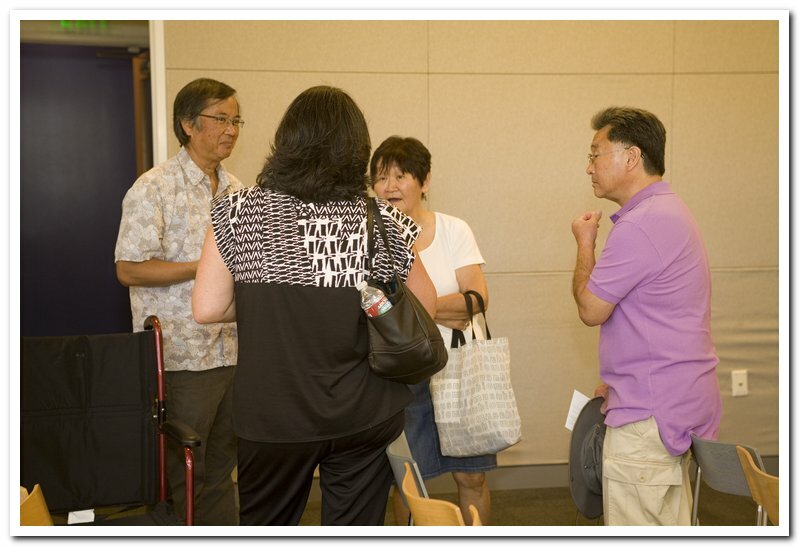 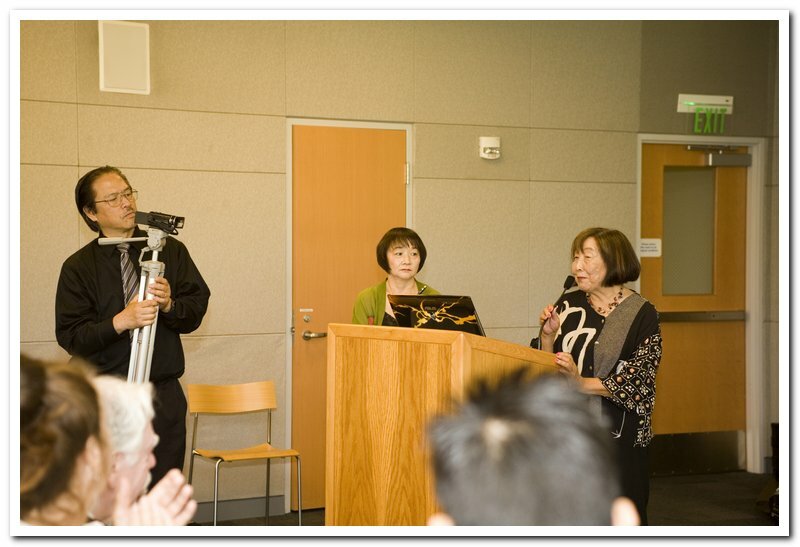 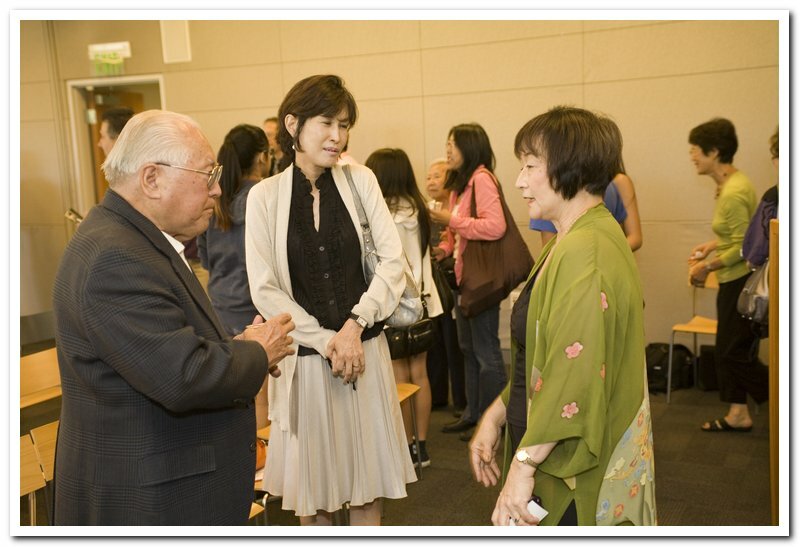 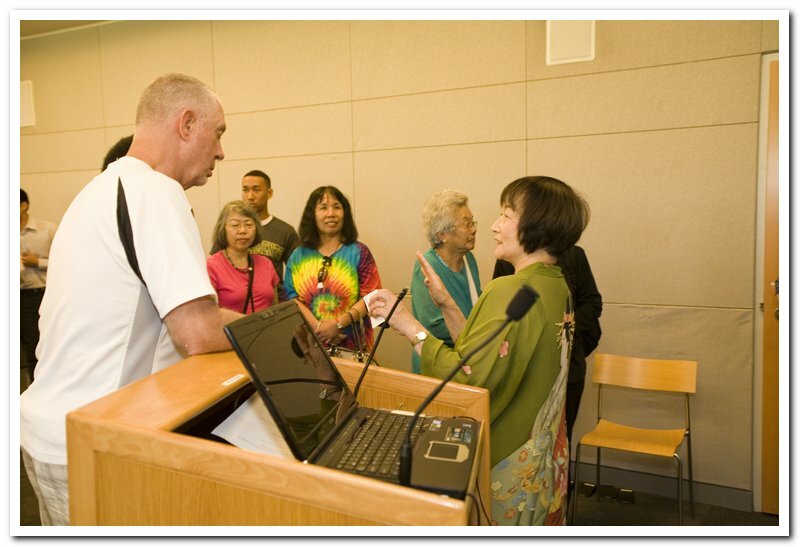 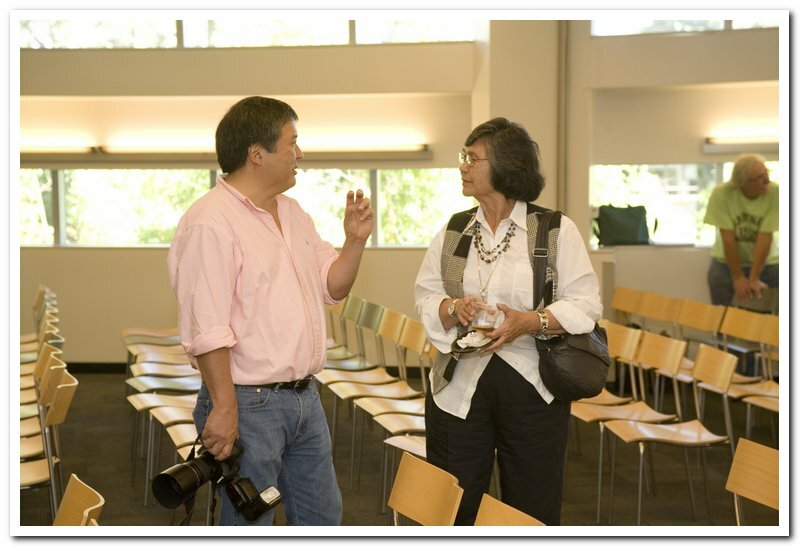 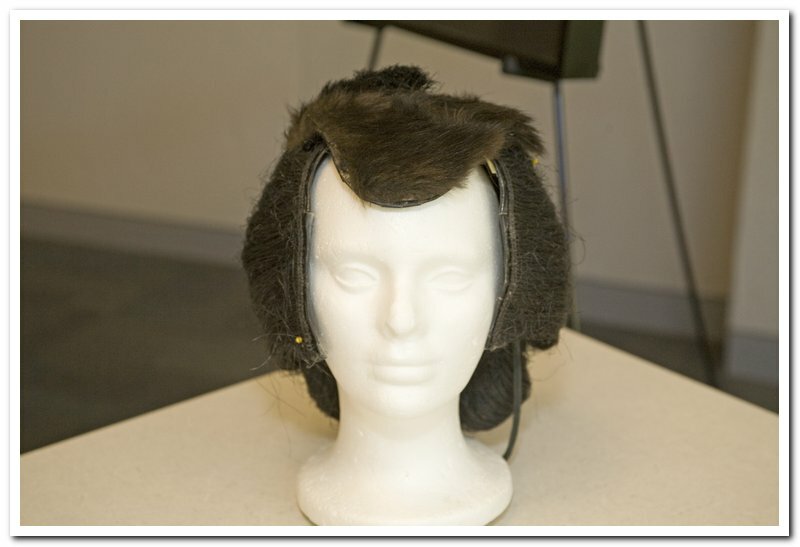 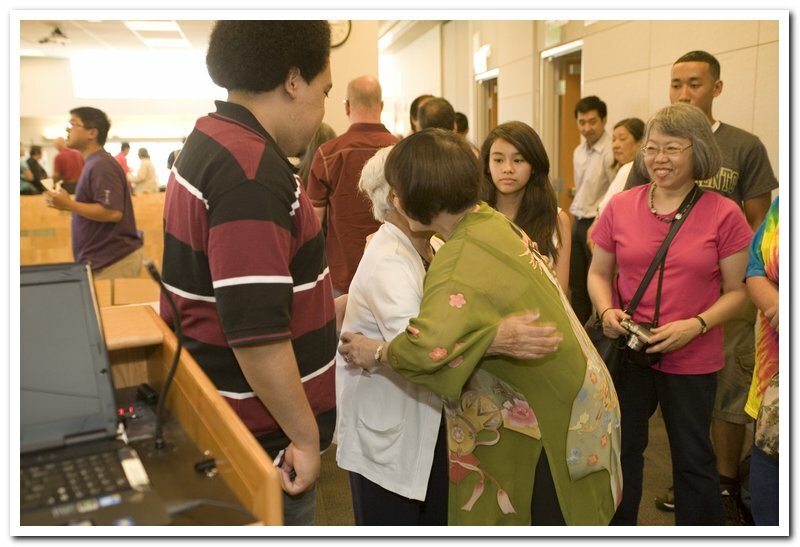 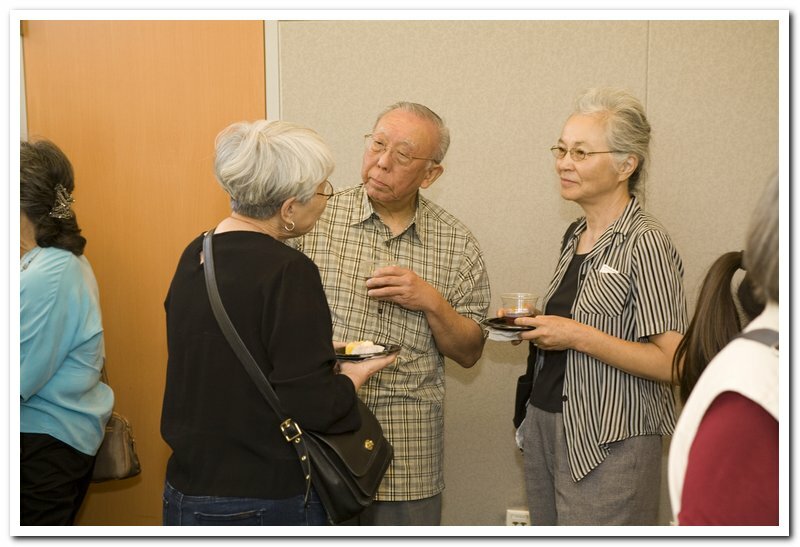 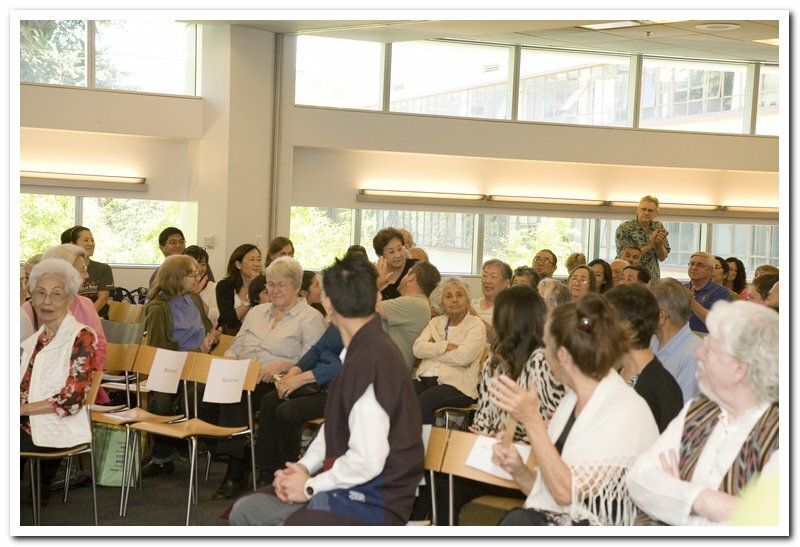 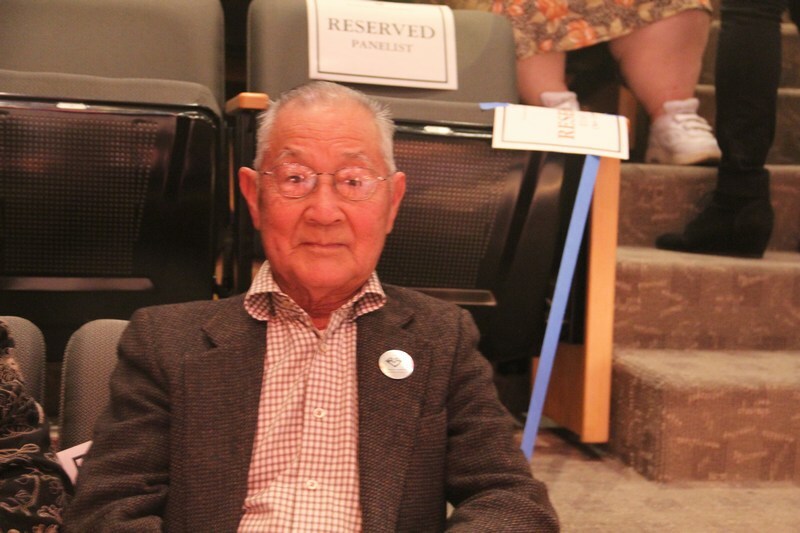 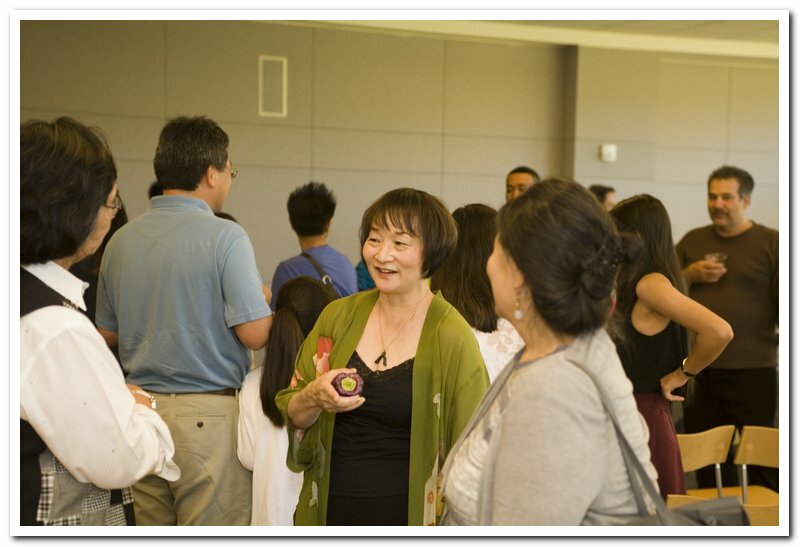 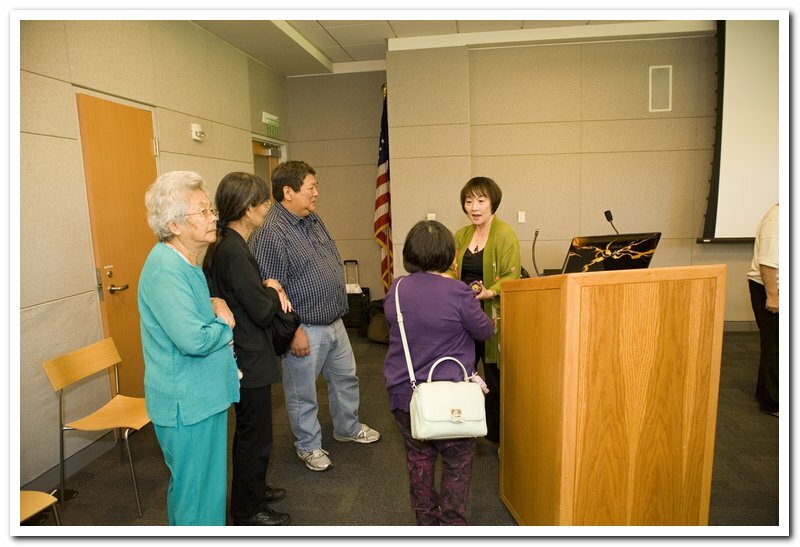 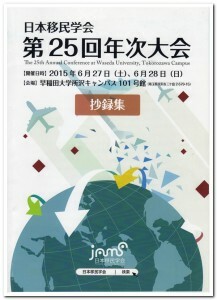 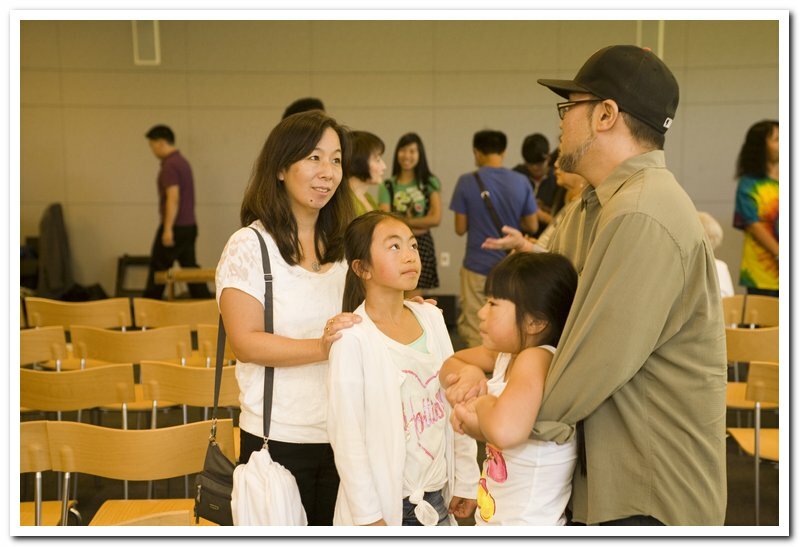 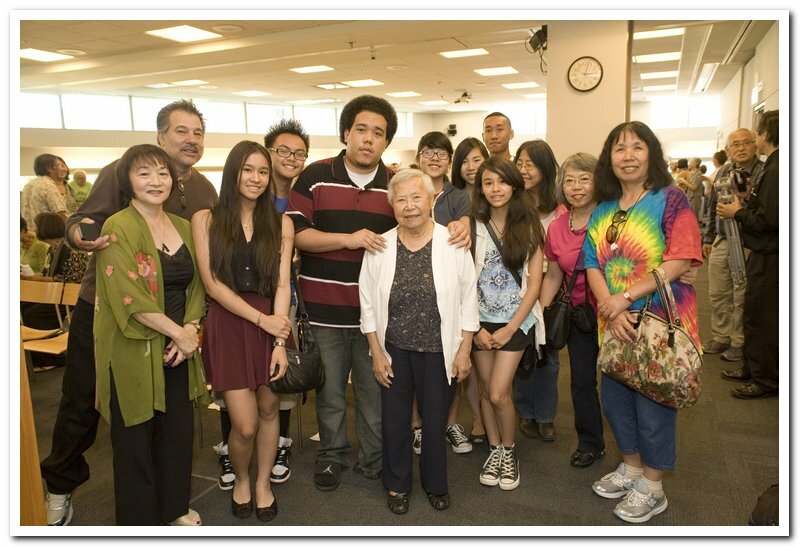 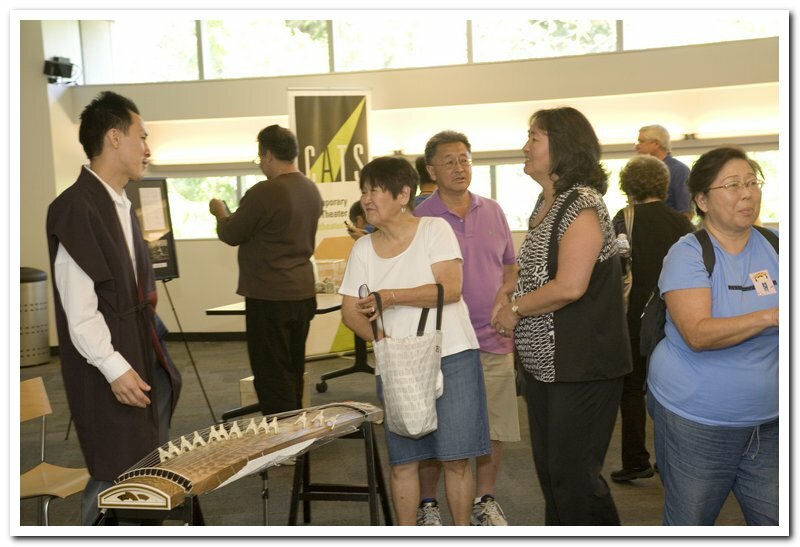 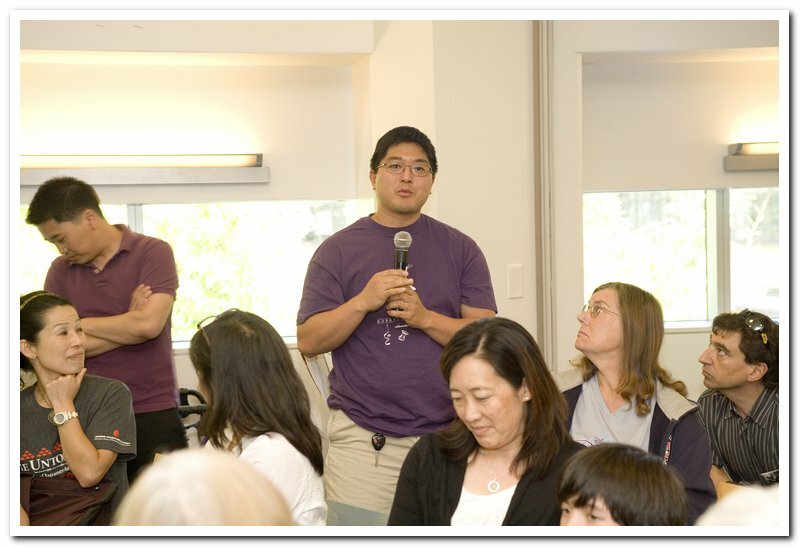 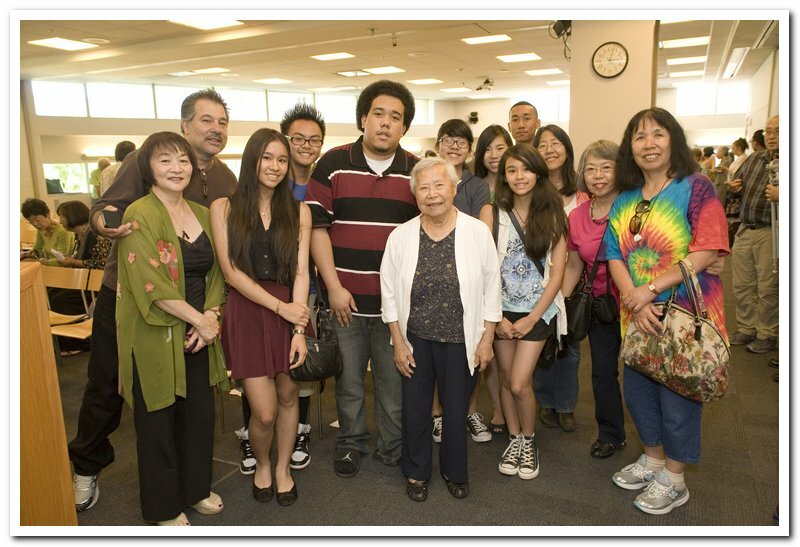 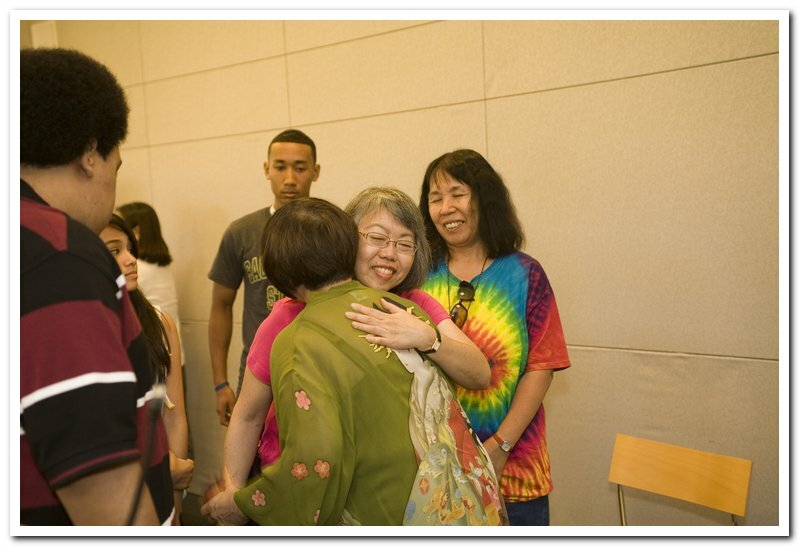 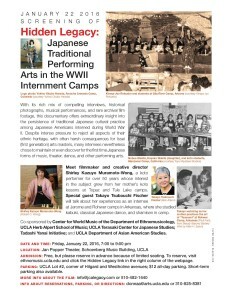 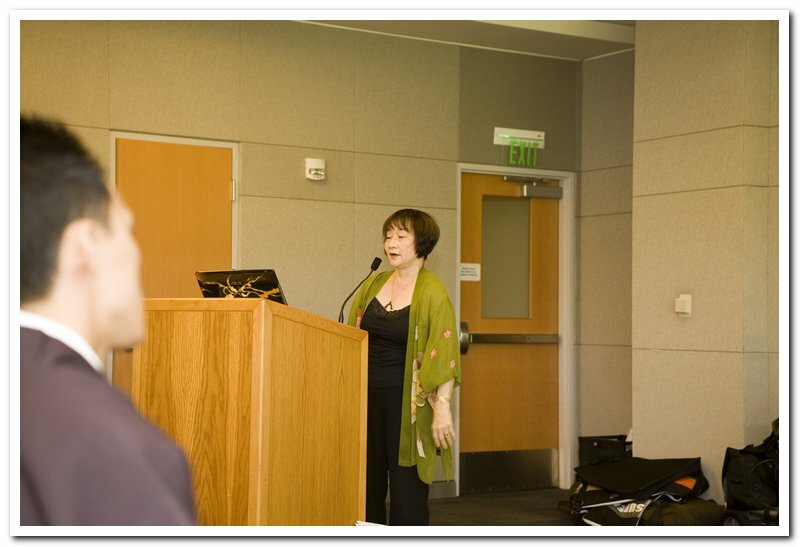 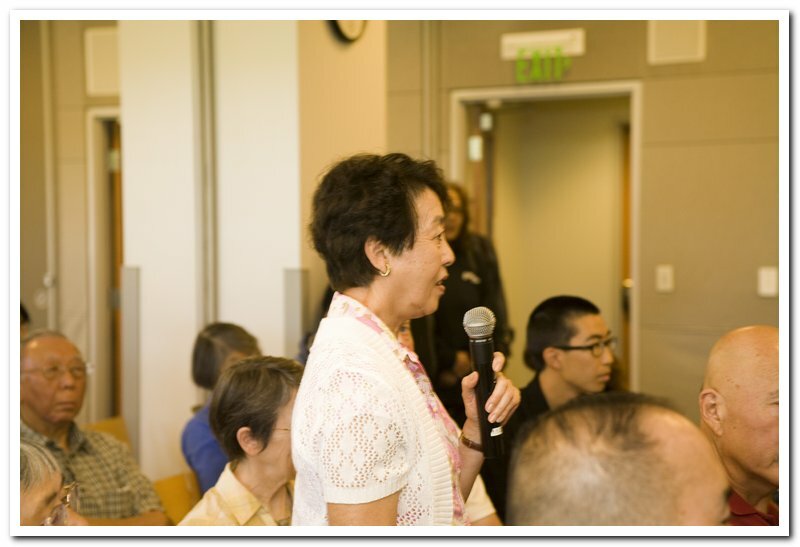 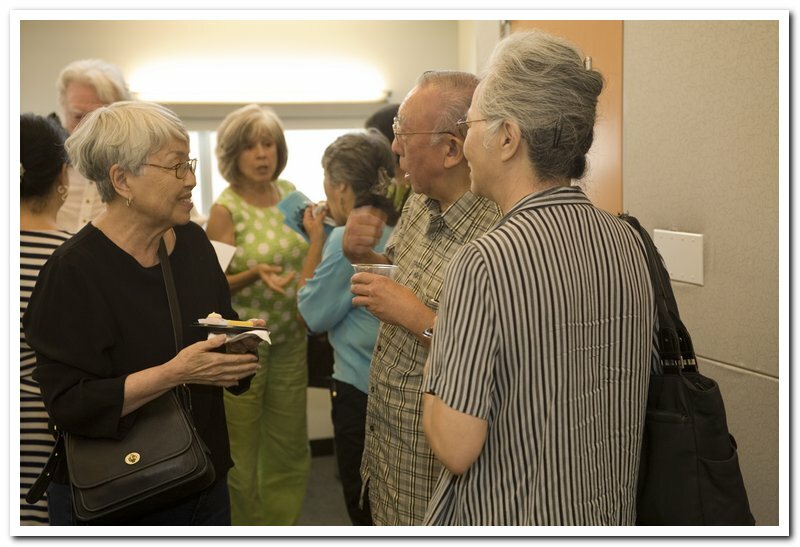 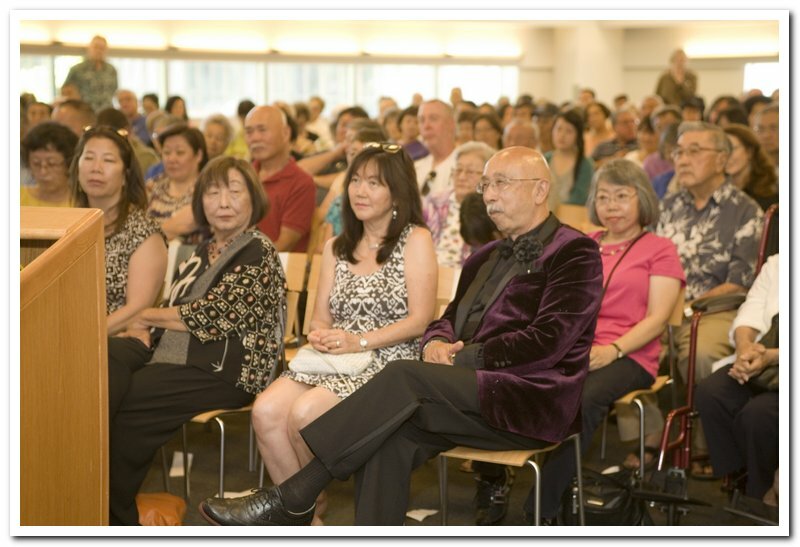 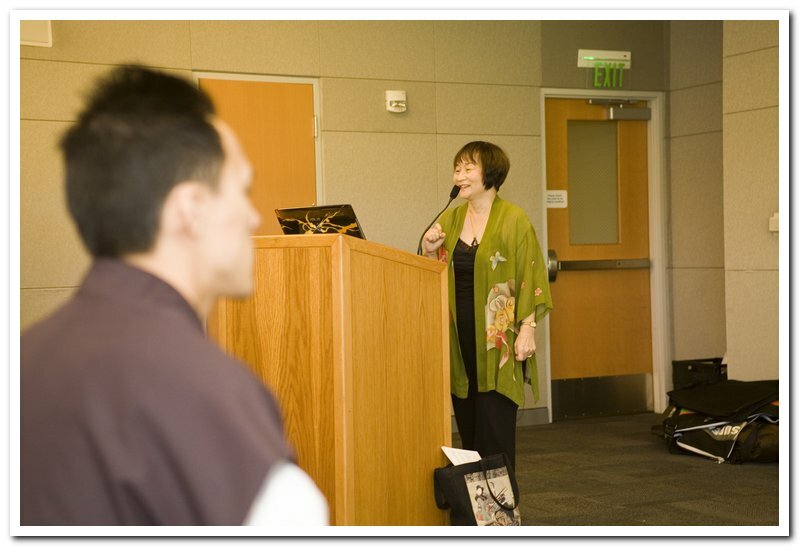 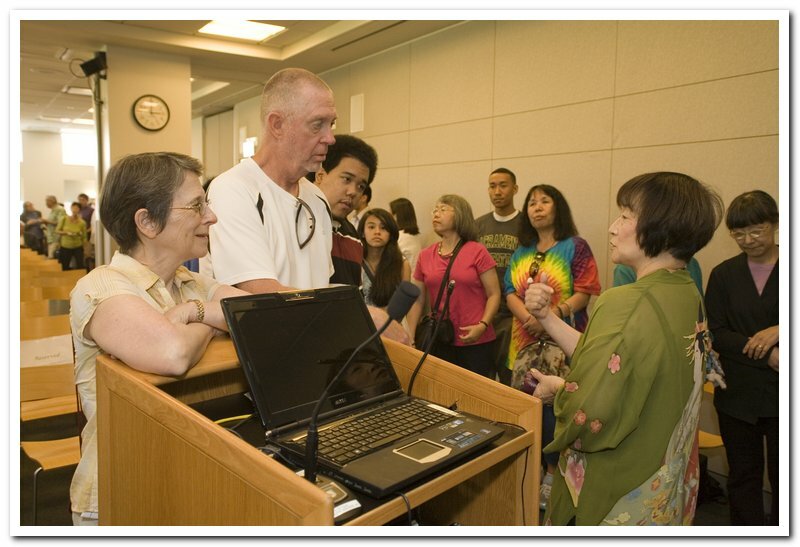 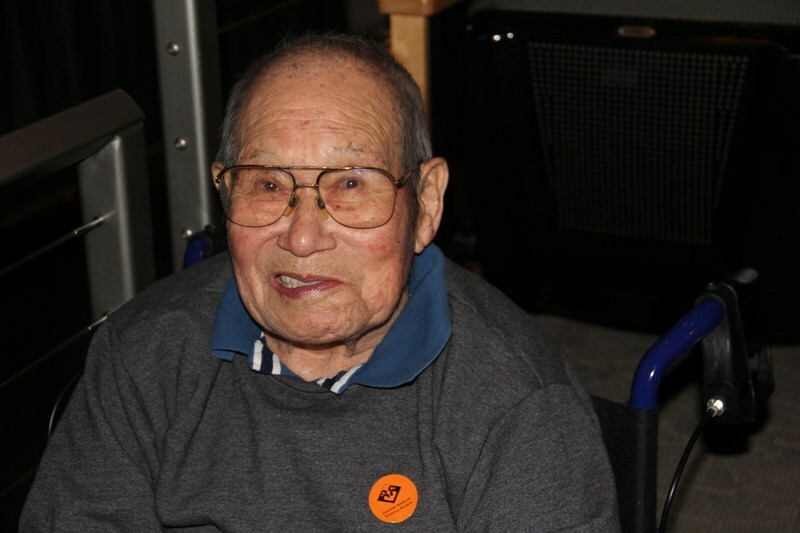 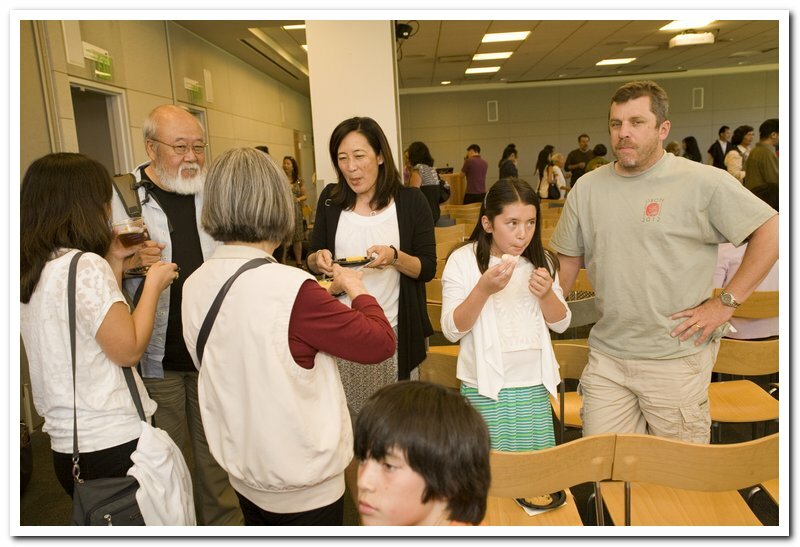 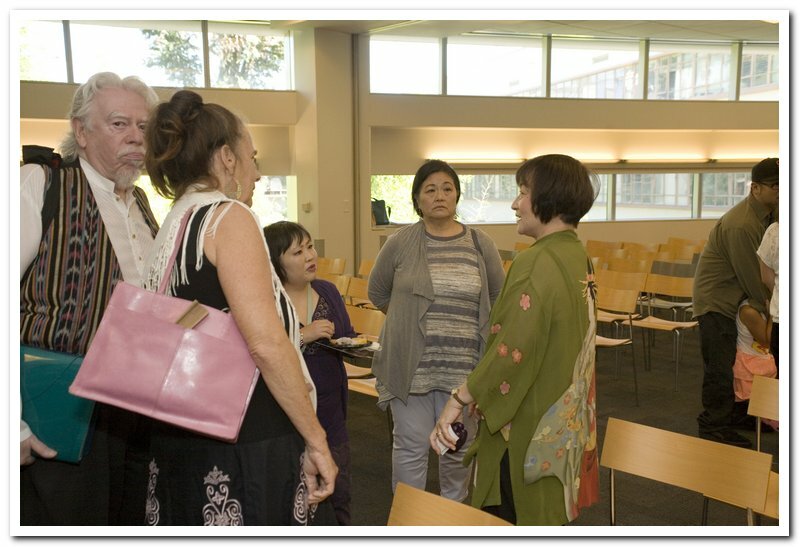 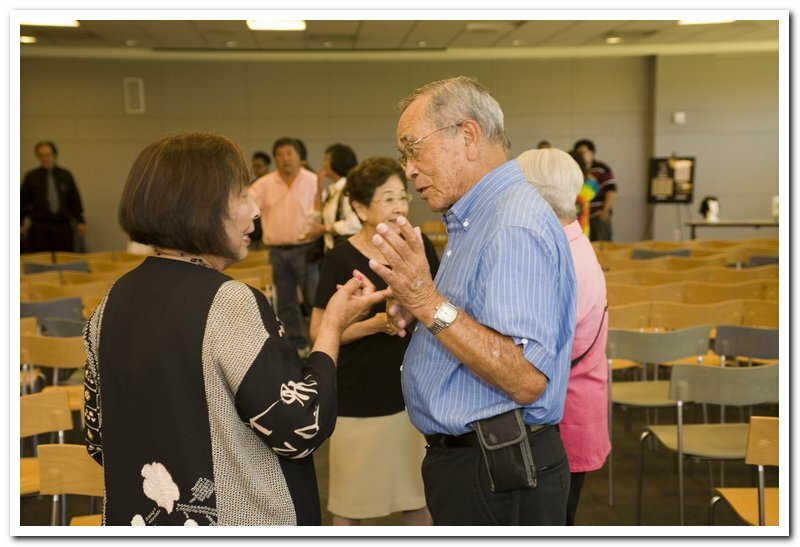 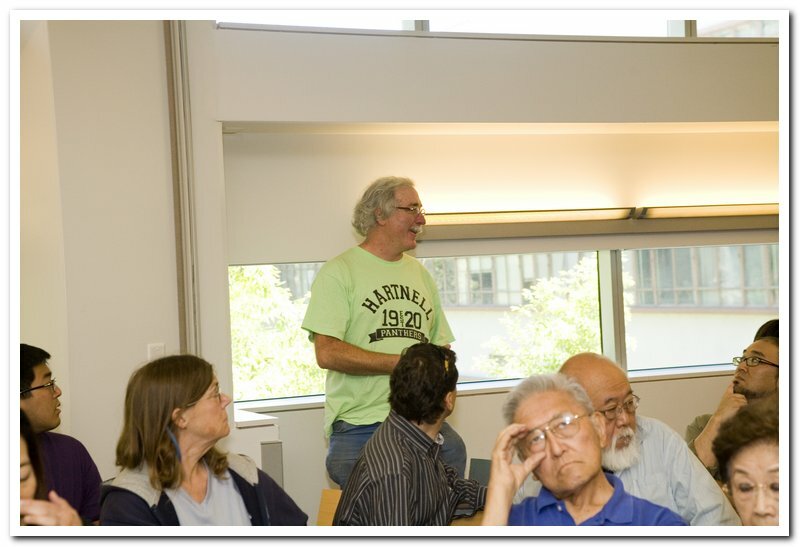 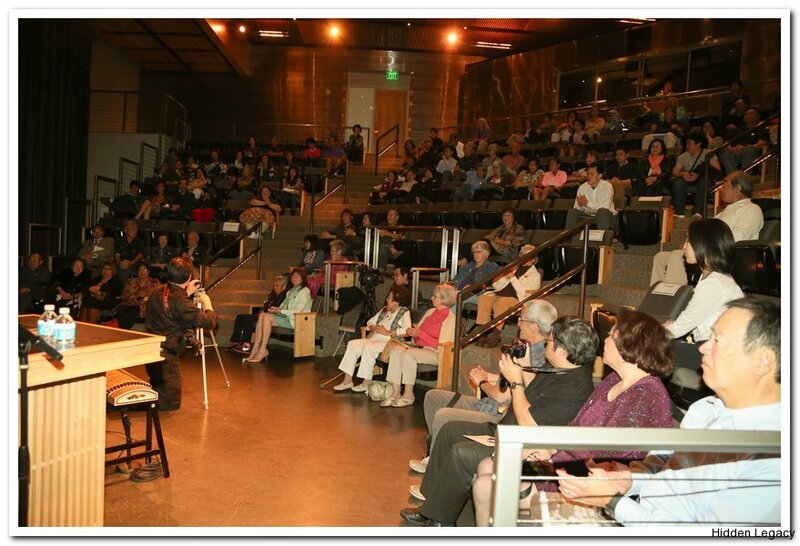 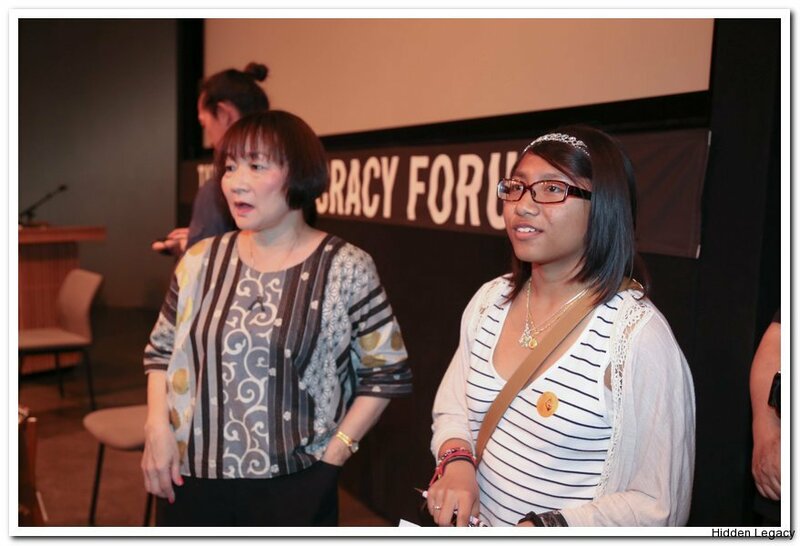 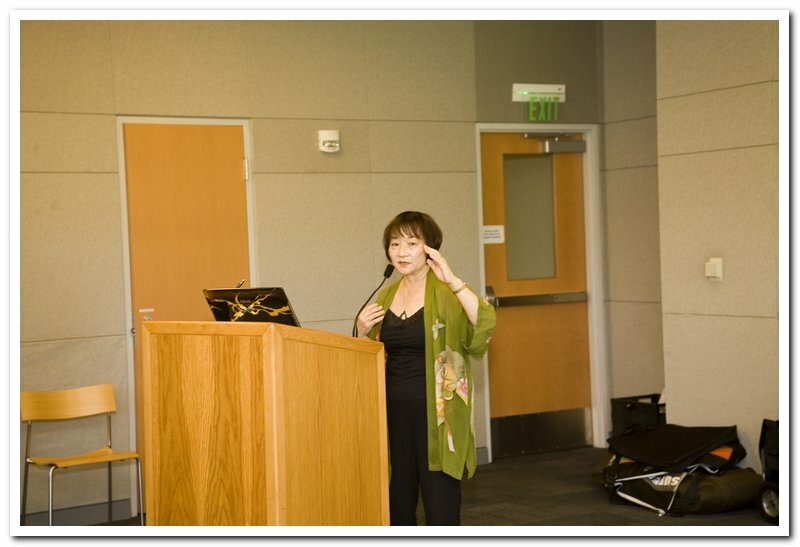 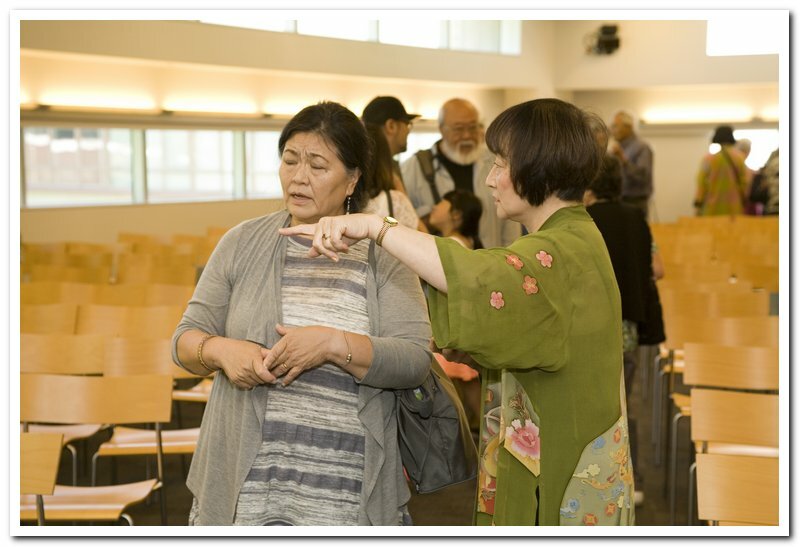 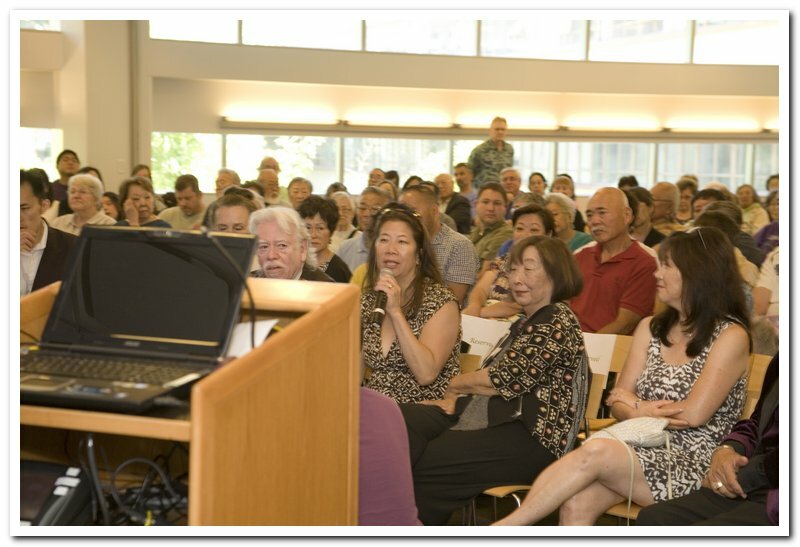 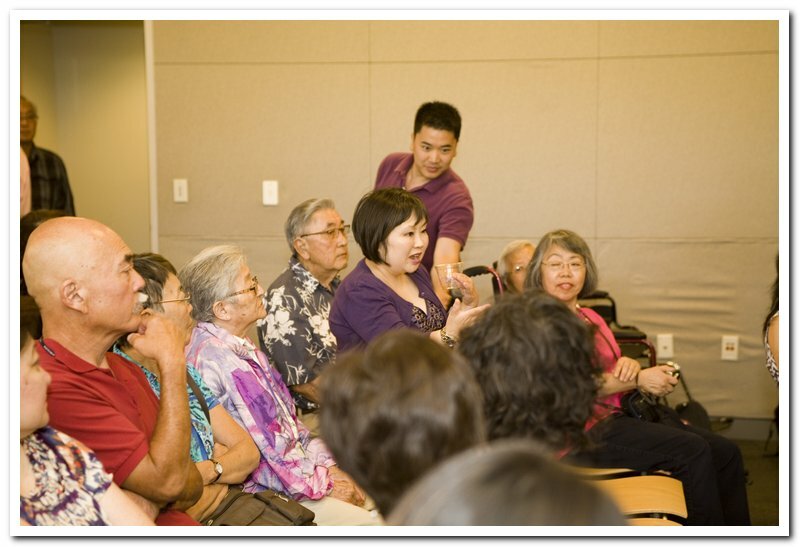 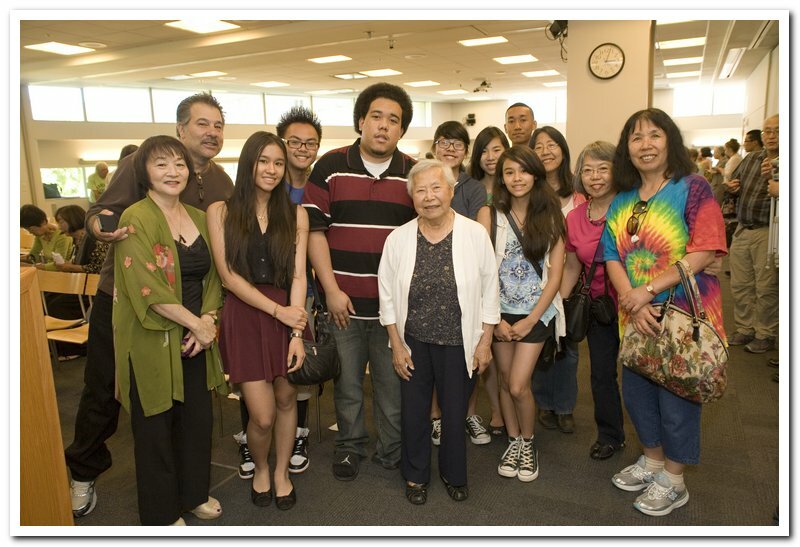 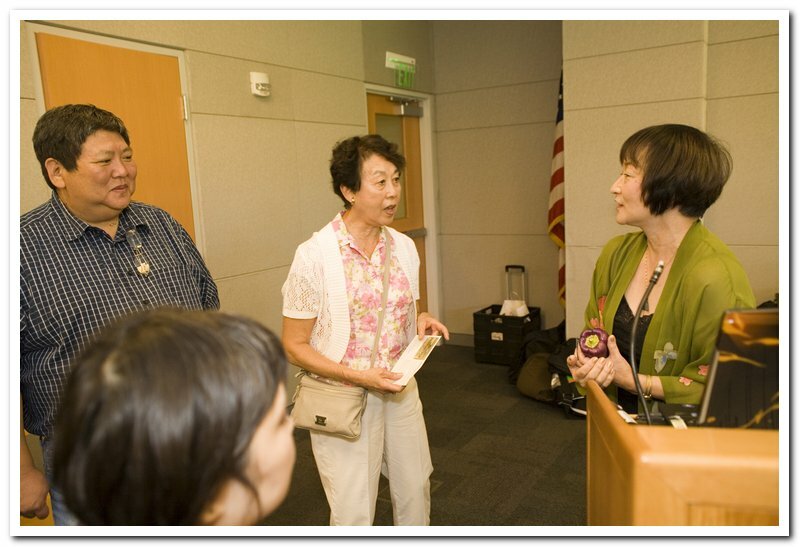 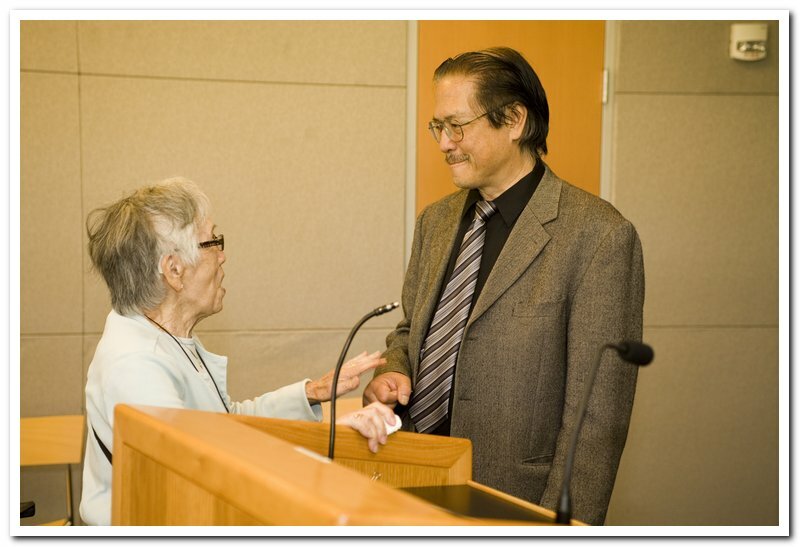 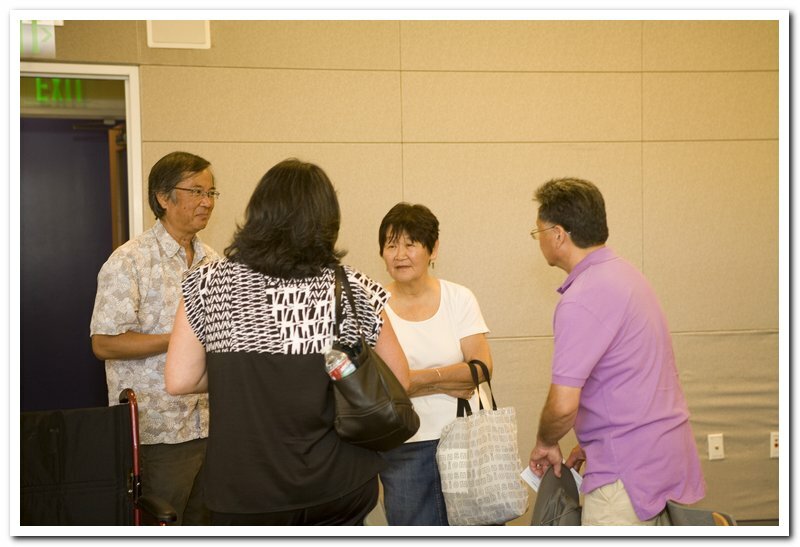 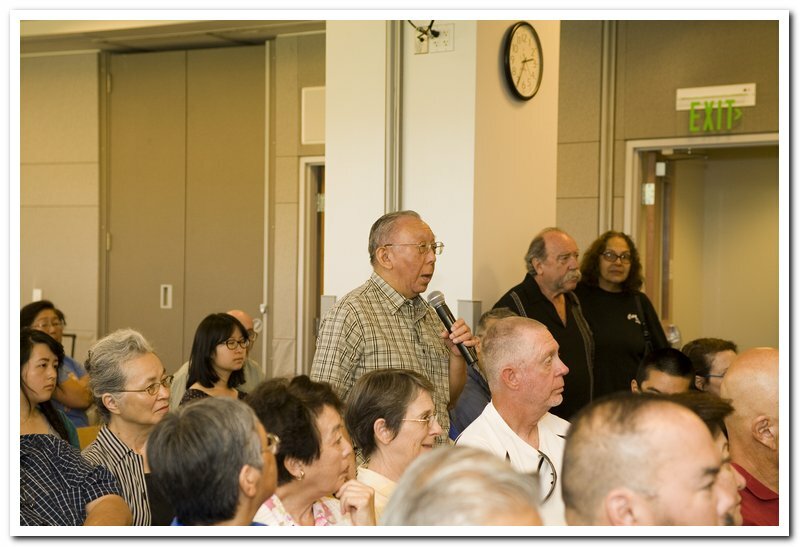 Tadashi Yanai Initiative; and UCLA Department of Asian American Studies. 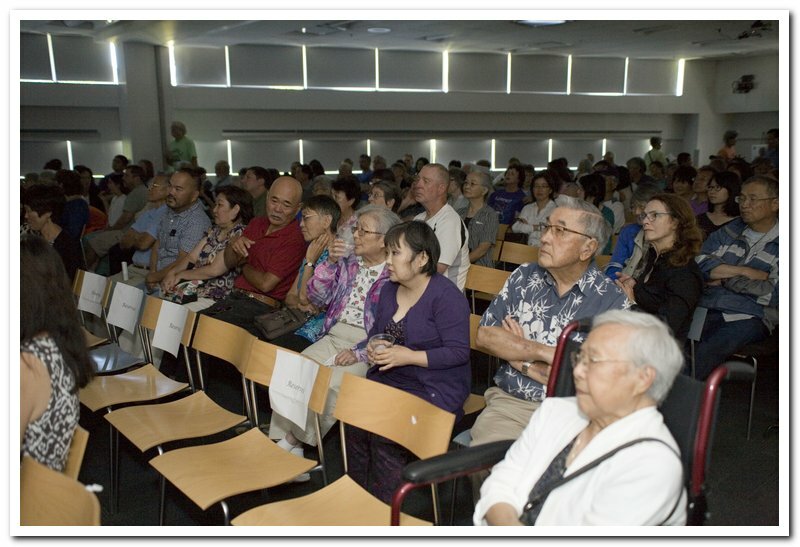 11 Kent Ridge Drive, Singapore 119244. at Auditorium, Shaw Foundation Alumni House, National University of Singapore Kent Ridge Campus. 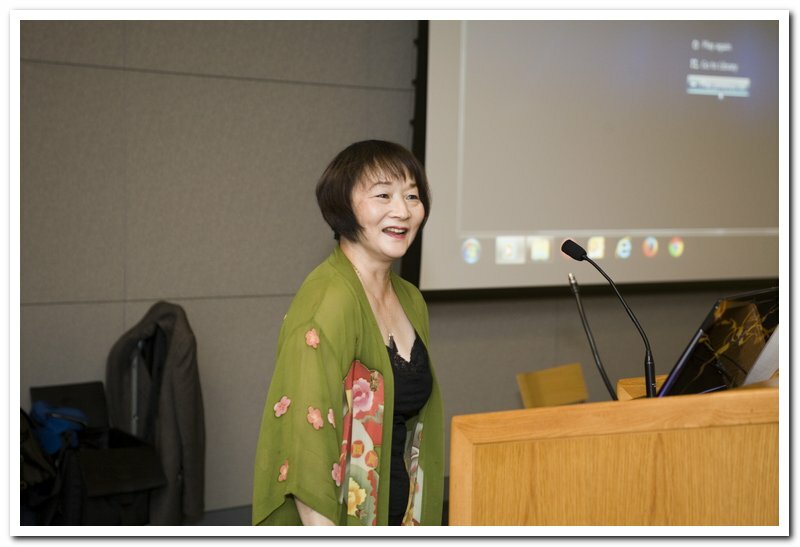 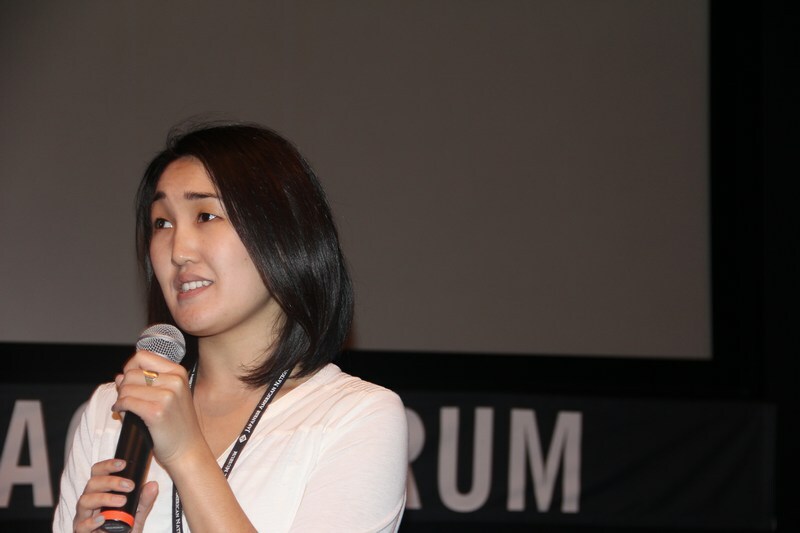 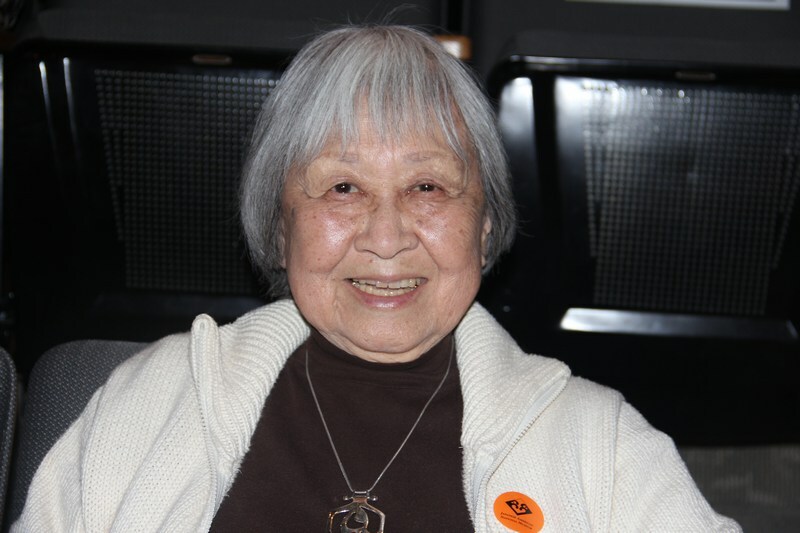 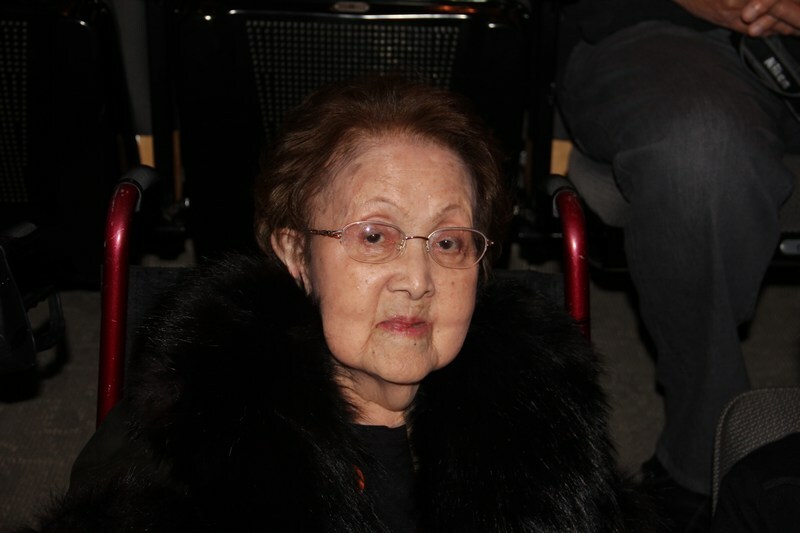 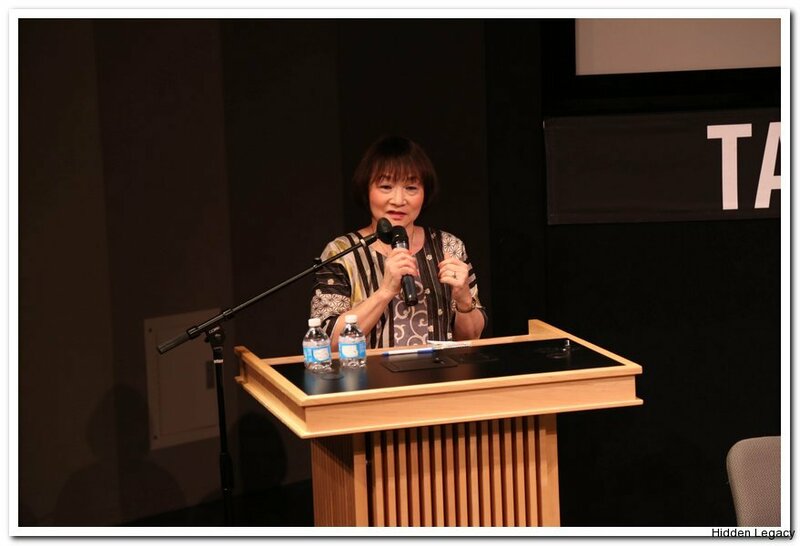 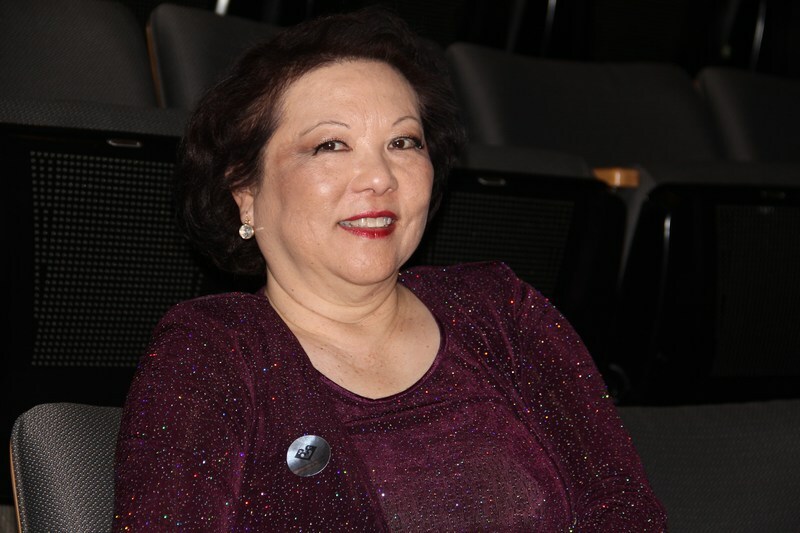 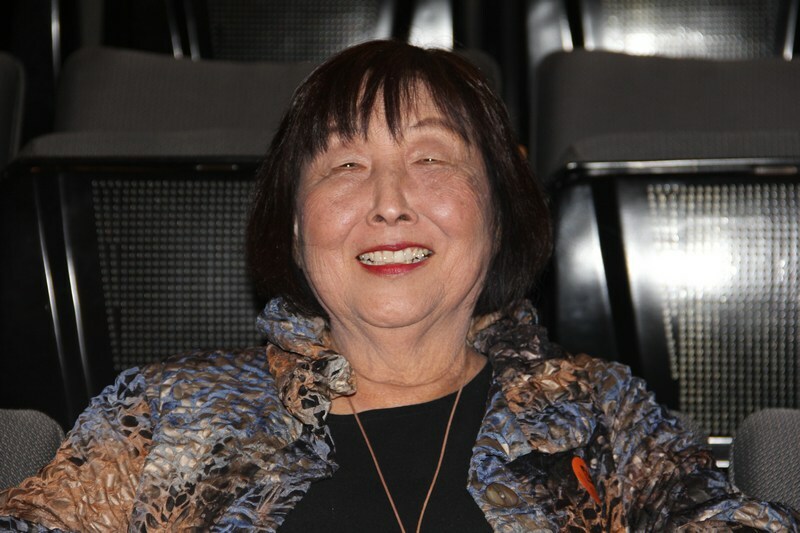 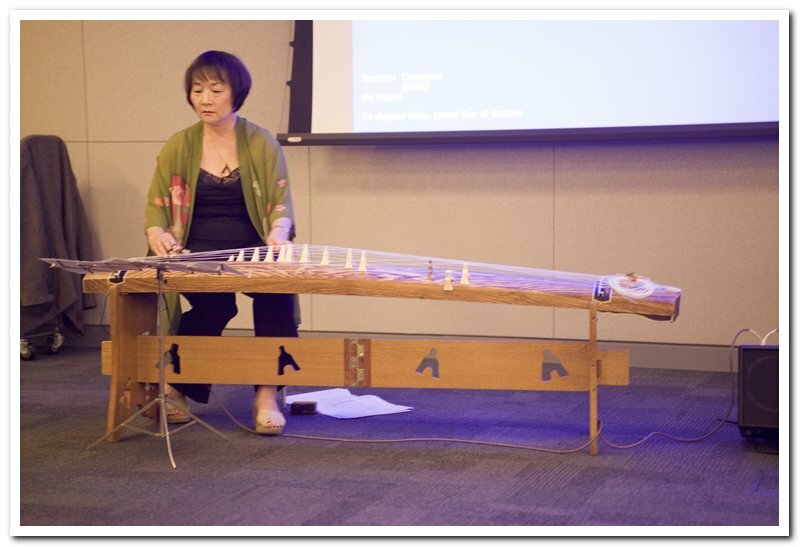 Meet filmmaker and creative director Shirley Kazuyo Muramoto-Wong, who will perform koto music to begin the program, and answer questions after the film screening. 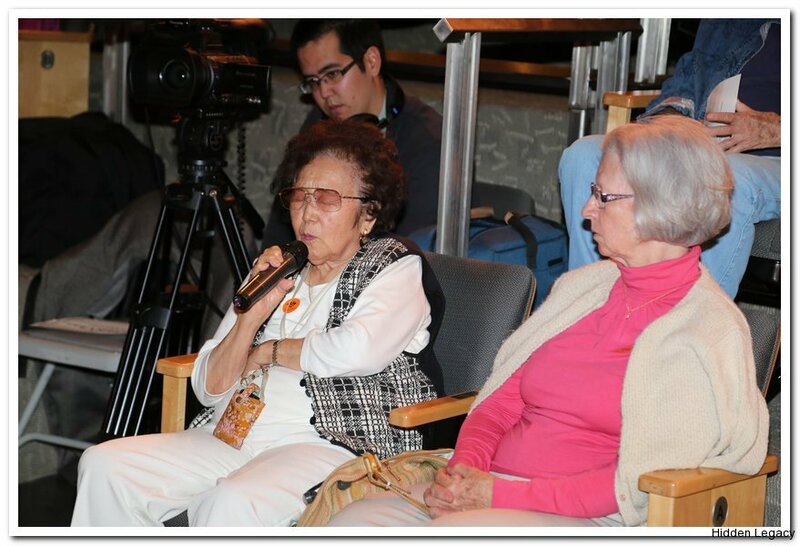 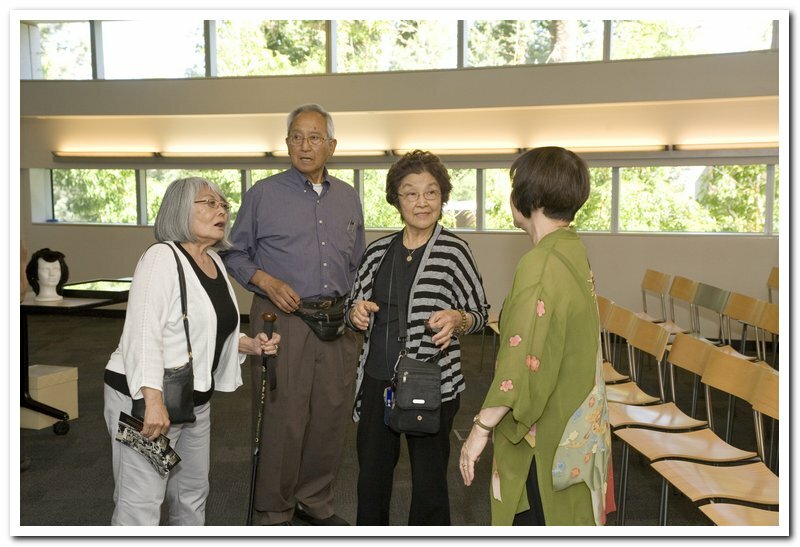 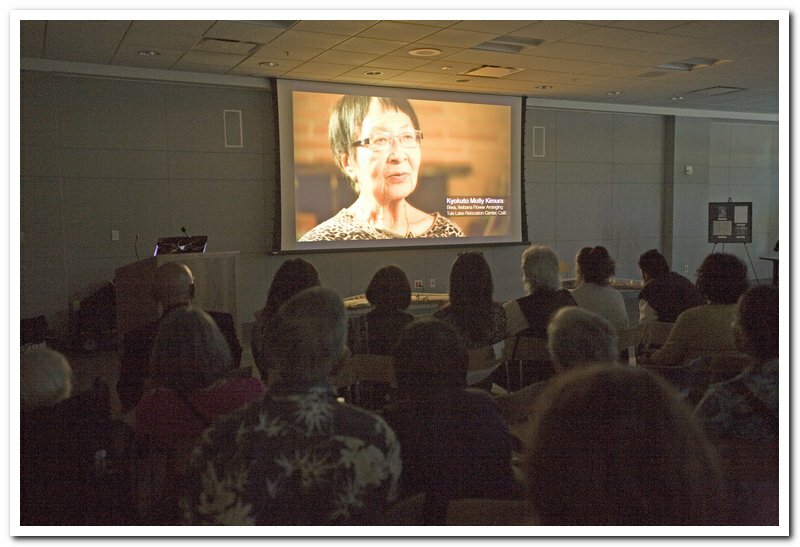 With its rich mix of compelling interviews, historical photographs, musical performances, and rare archival film footage, this 2014 documentary offers extraordinary insight into the persistence of traditional Japanese cultural practice among Japanese Americans interned during World War II. 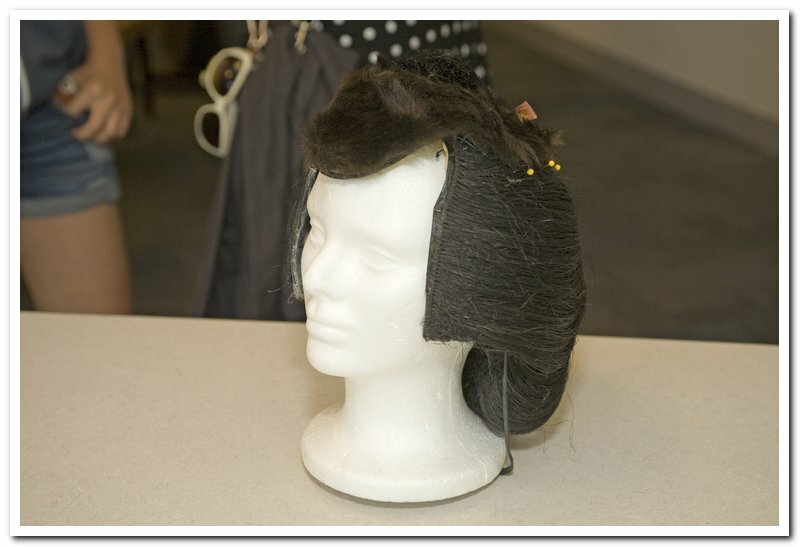 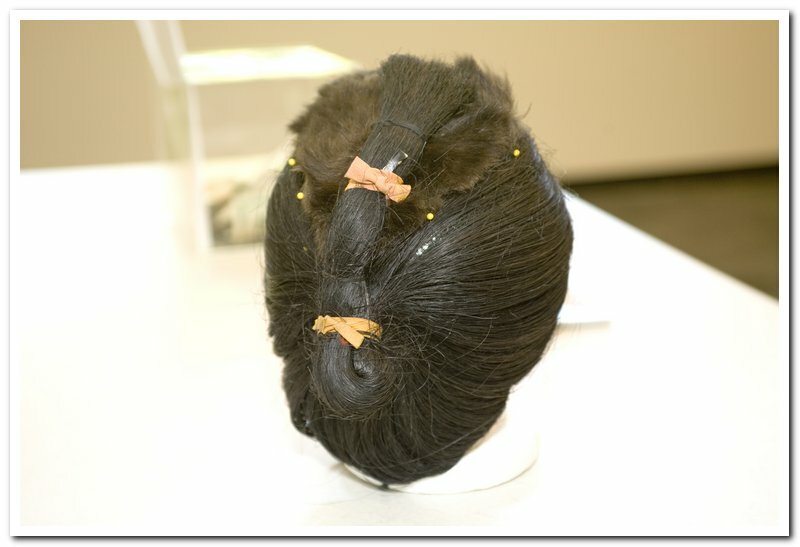 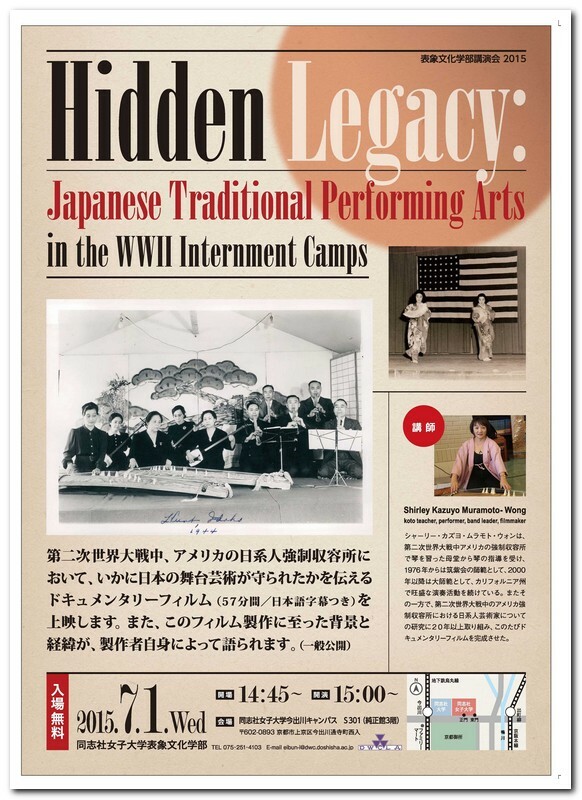 Despite intense pressure to reject all aspects of their ethnic heritage, with often harsh consequences for Issei arts masters, many internees nevertheless chose to maintain or even discover for the first time, Japanese forms of music, theater, dance, and other performing arts. 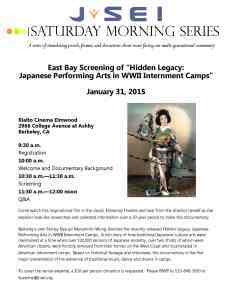 Call (510) 232-5050x 0 to RSVP Leave name and phone number and show date . 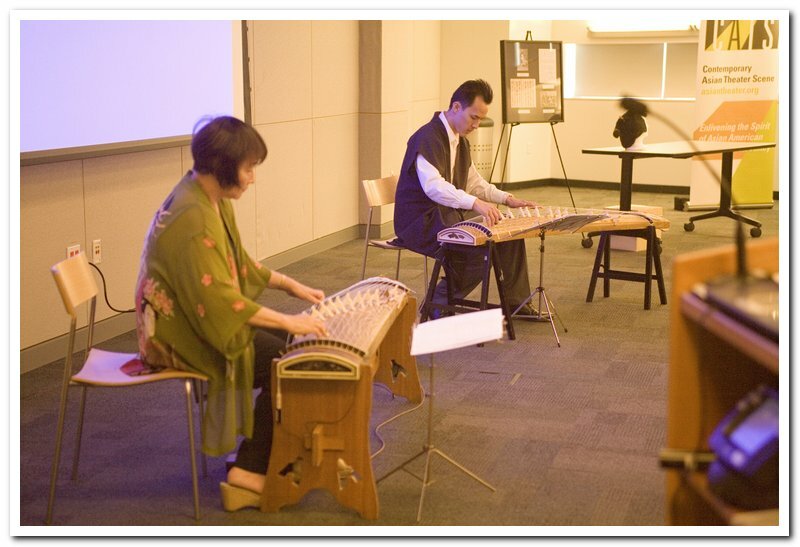 with koto performance by Shirley Kazuyo Muramoto and Q/A. 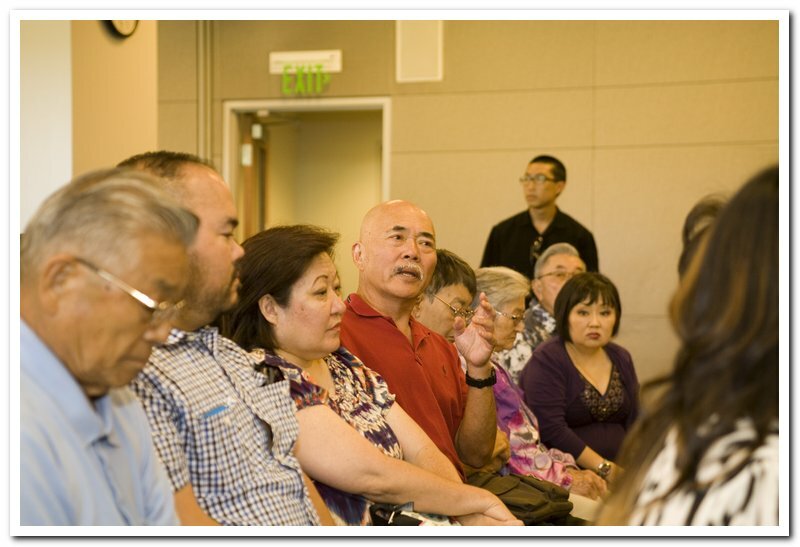 Call (510) 232-5050x 0 to RSVP Leave name and phone number and show date. 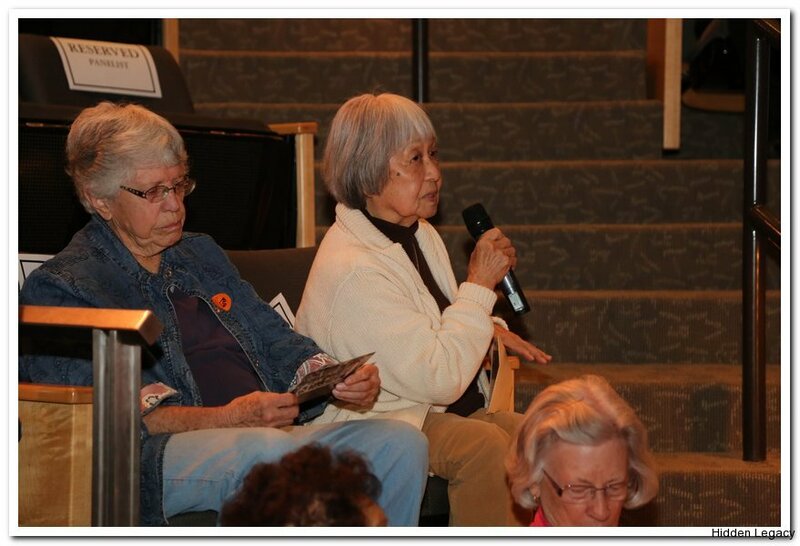 Tuesday, March 31, 2015 , 7:30 p.m. Lark Theater, 549 Magnolia Ave., Larkspur, CA. 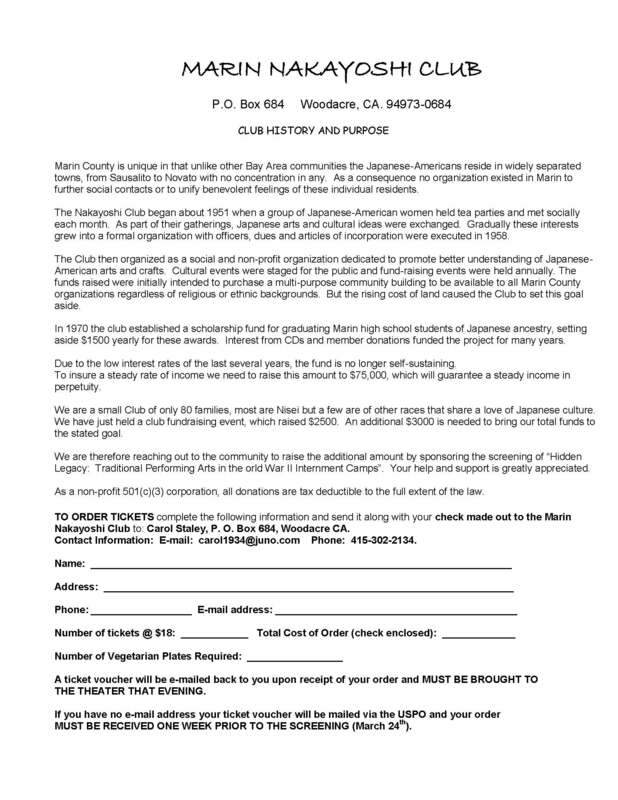 Sponsored by the Marin Nakayoshi Club fund raiser for scholarship fund. 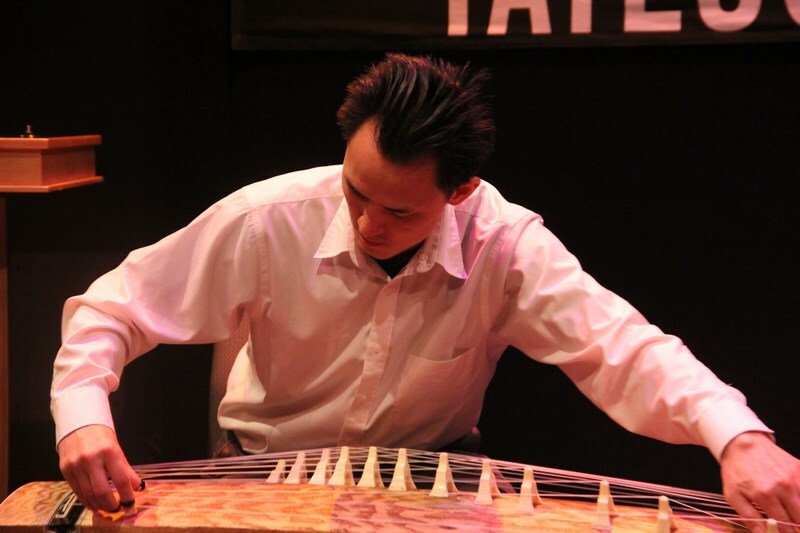 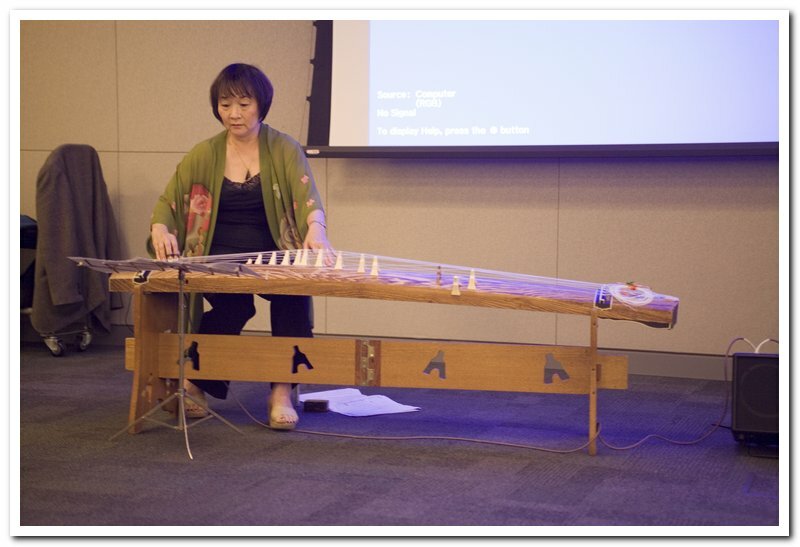 Koto performance by Shirley Kazuyo Muramoto, koto player and documentary film maker. 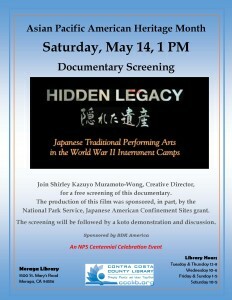 There will be a Q&A after the showing. 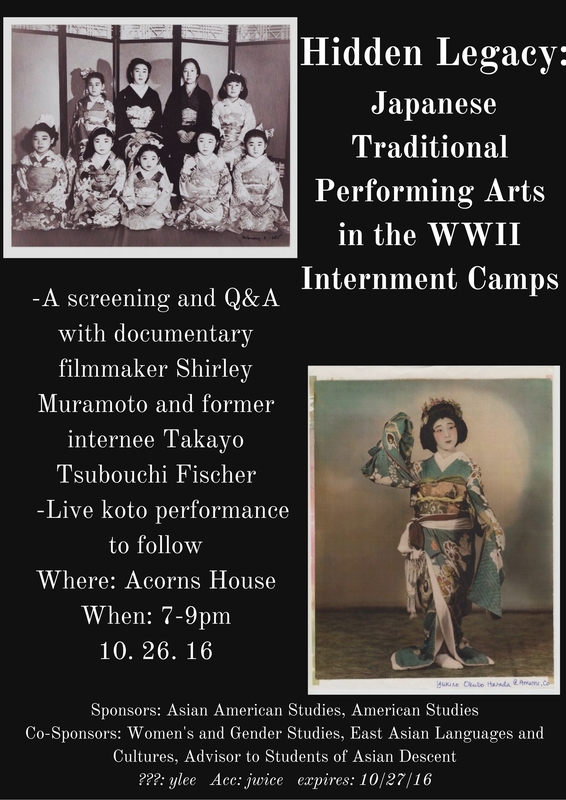 Priority Entry: 7:10 p.m. General Entry: 7:20 p.m. See info below. Tickets ($18.00) available at the door. 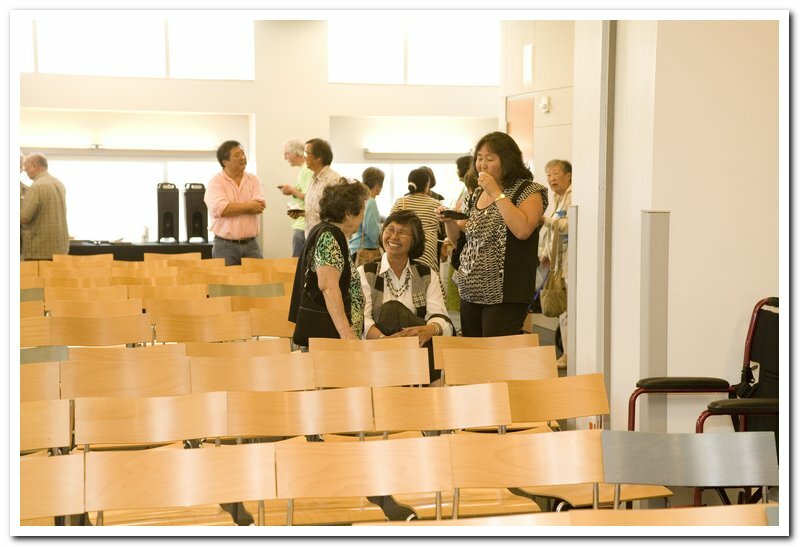 Light refreshments served. 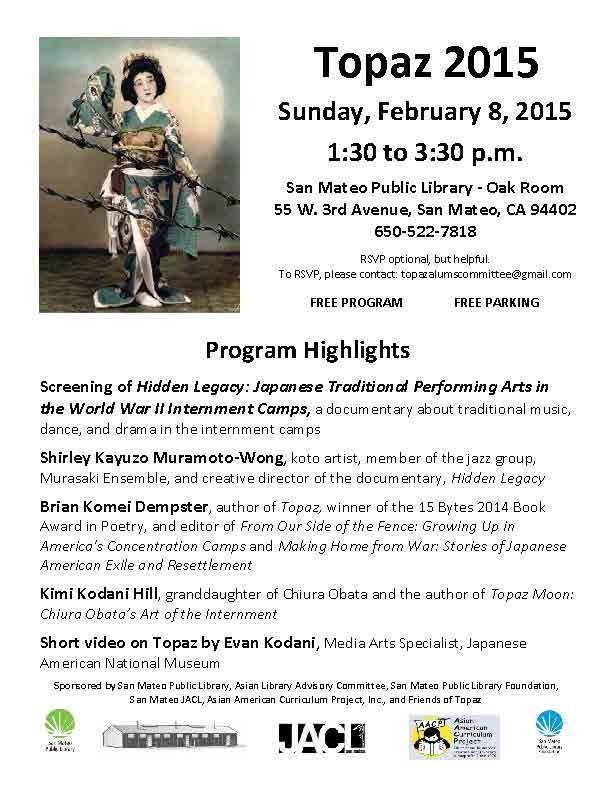 Films of Remembrance New People Cinema, 1746 Post St., San Francisco’s Japantown. 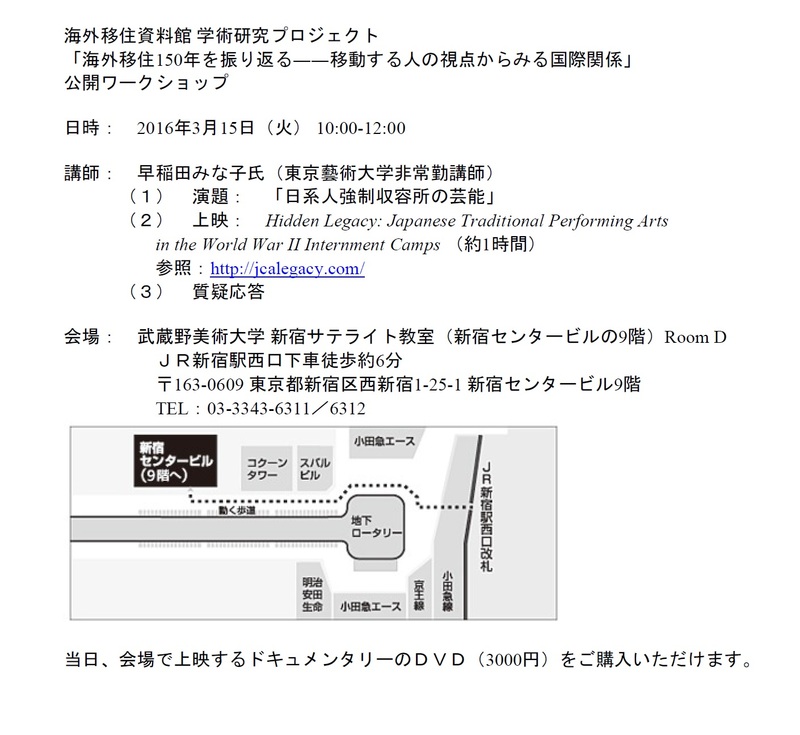 Admission see flier. 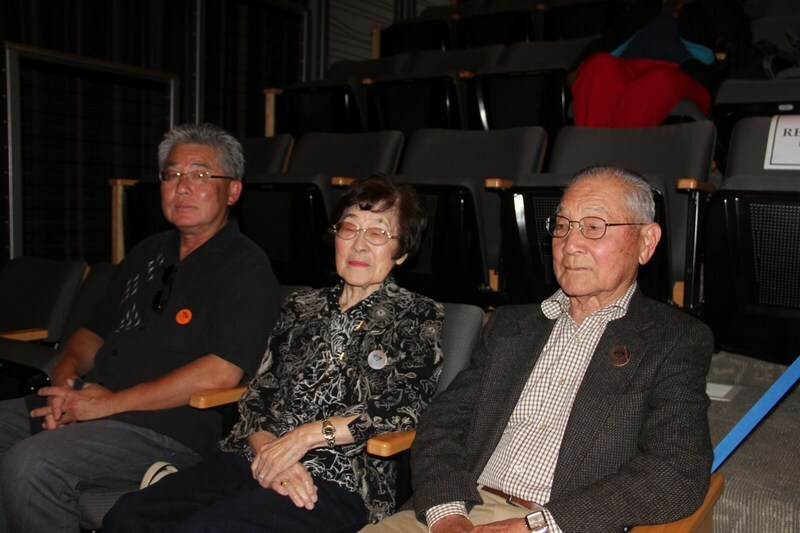 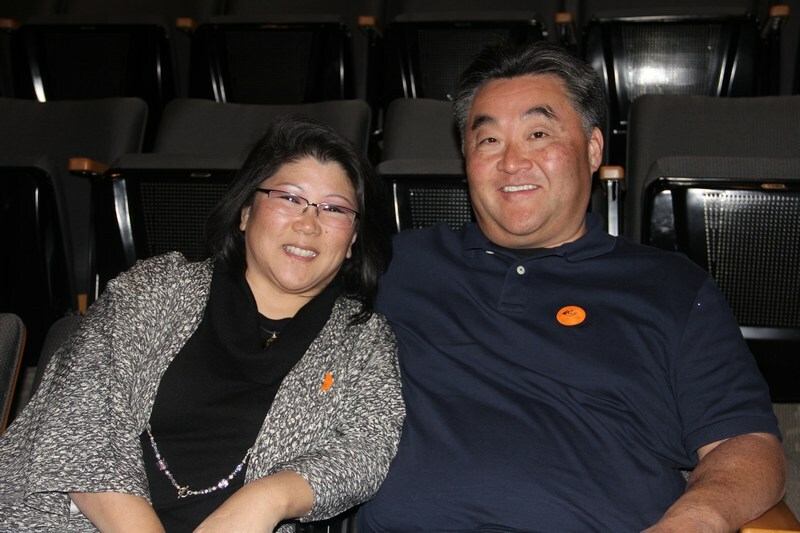 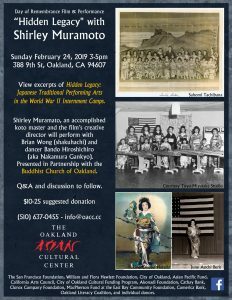 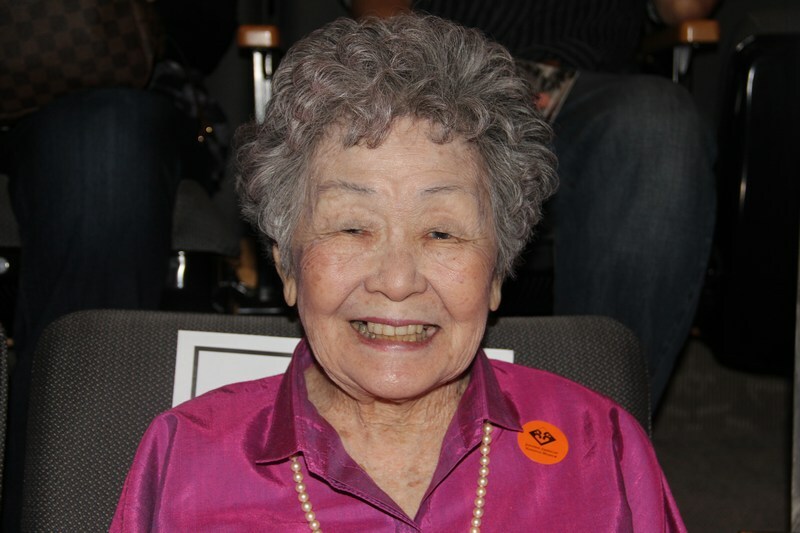 A one-day film series held in conjunction with the Bay Area Day of Remembrance (Sunday, Feb. 22), commemorating the 73rd anniversary of the signing of Executive Order 9066, which set the wheels in motion to forcibly relocate some 120,000 persons of Japanese ancestry into American concentration camps during World War II. 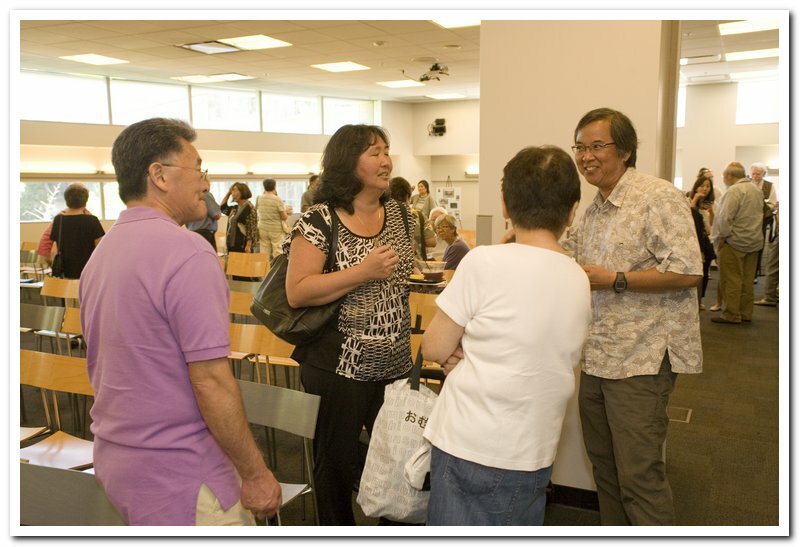 Friday, January 16, 2015 6 PM, Saratoga/Muko Sister City group potluck at Joan Pisani Community Center. 19655 Allendale, Saratoga. 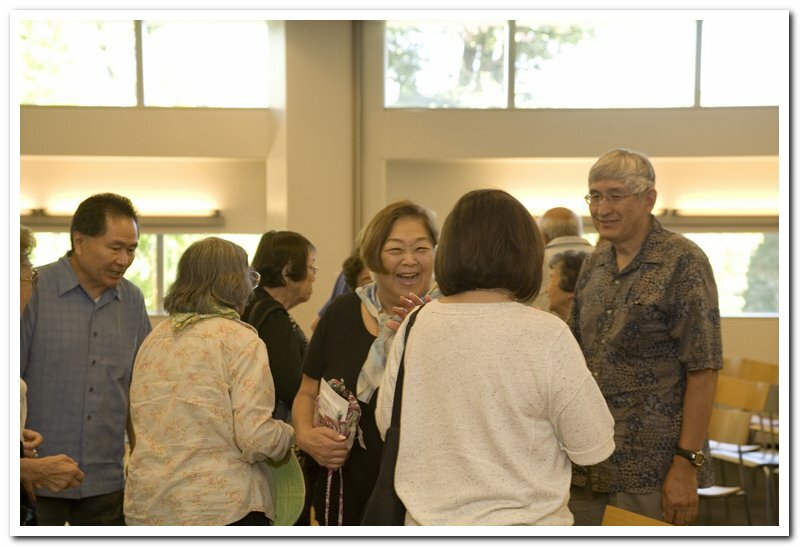 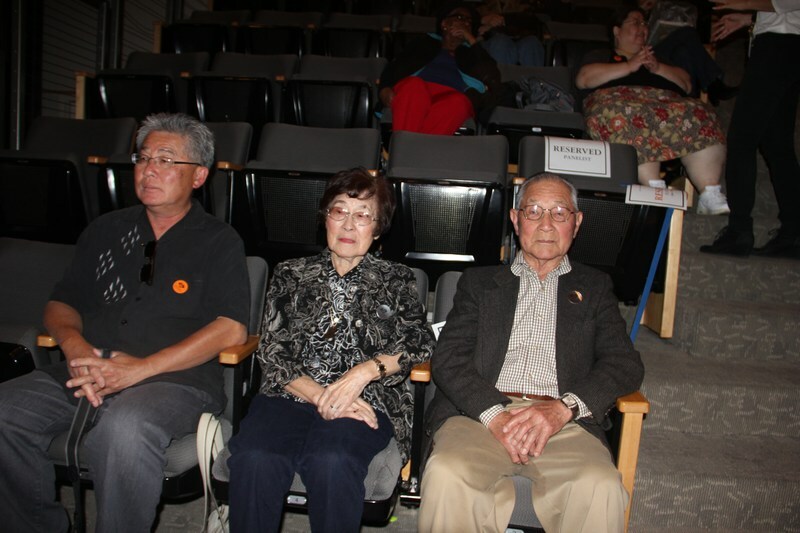 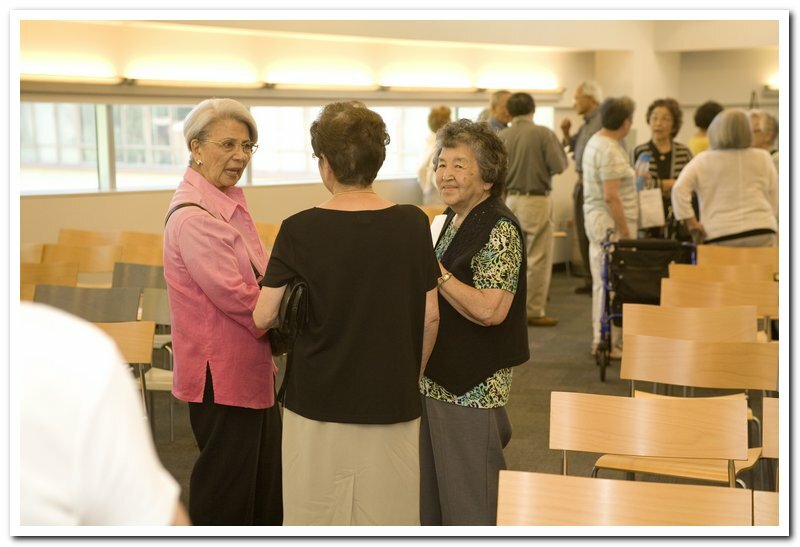 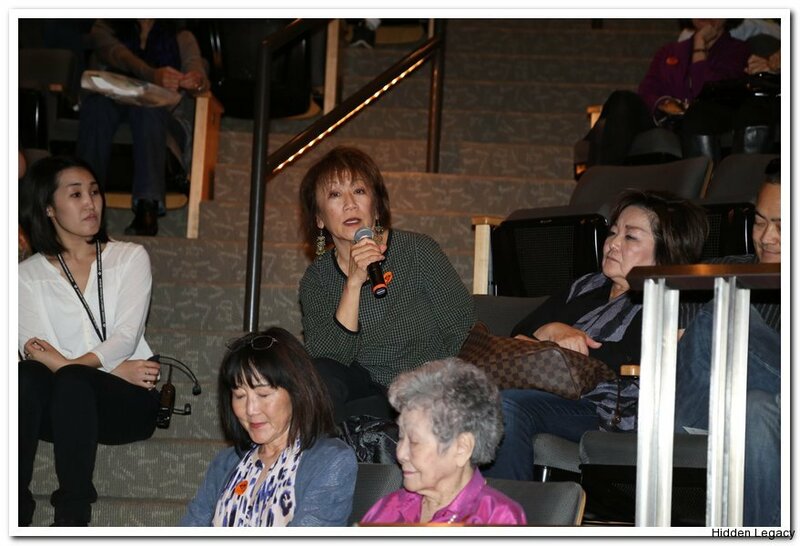 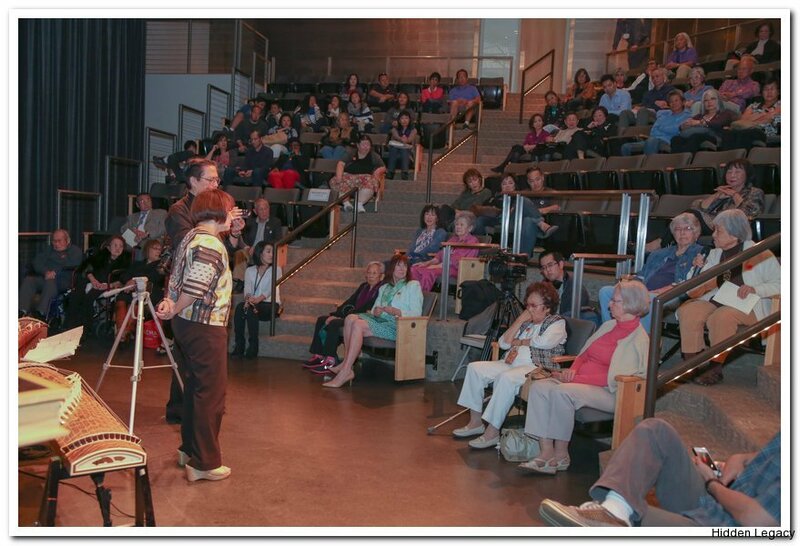 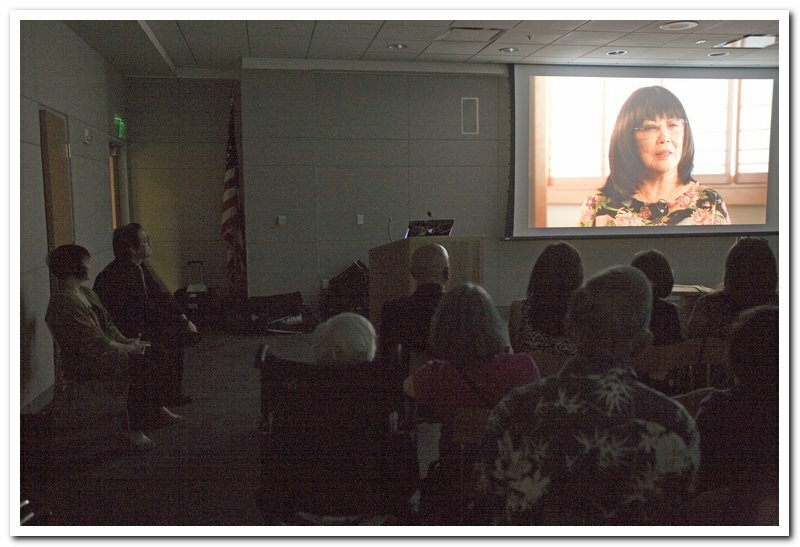 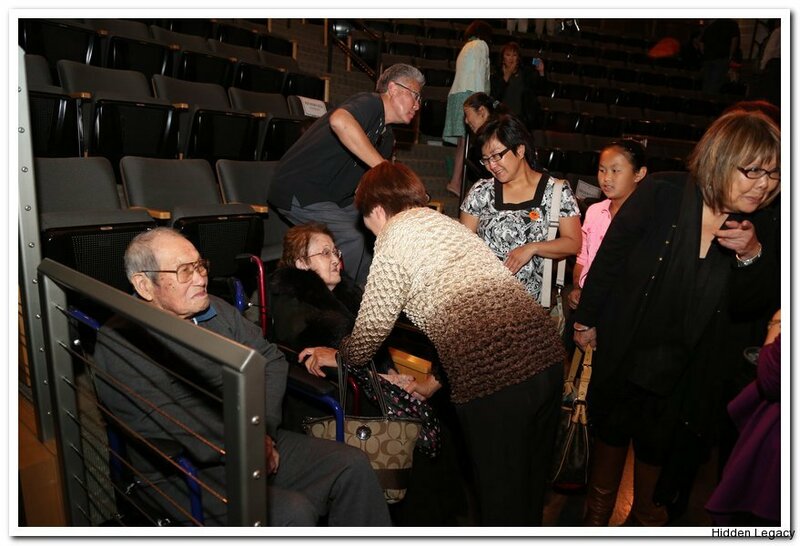 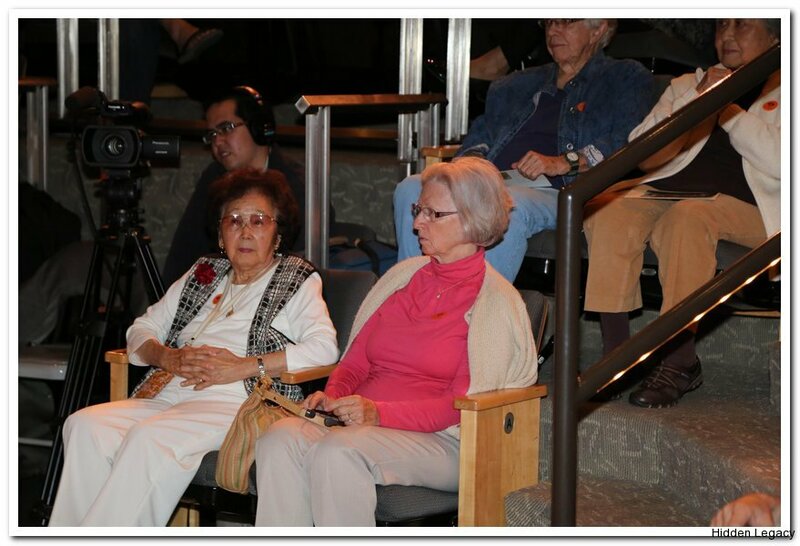 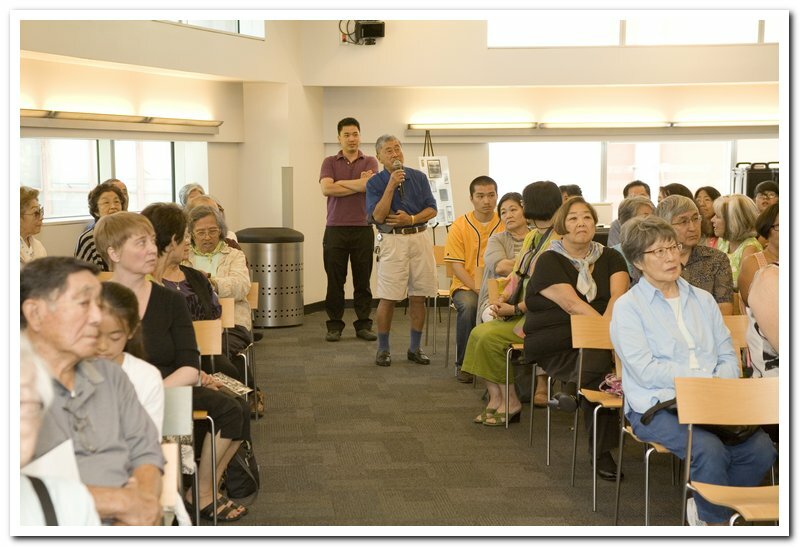 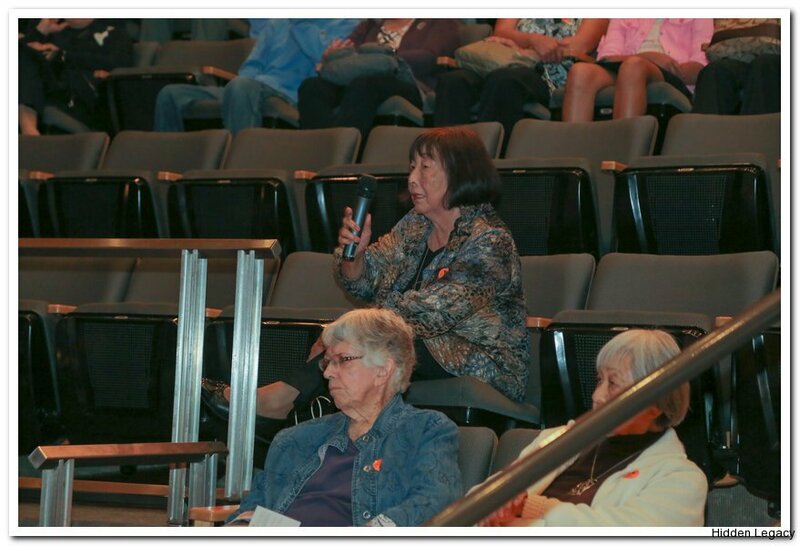 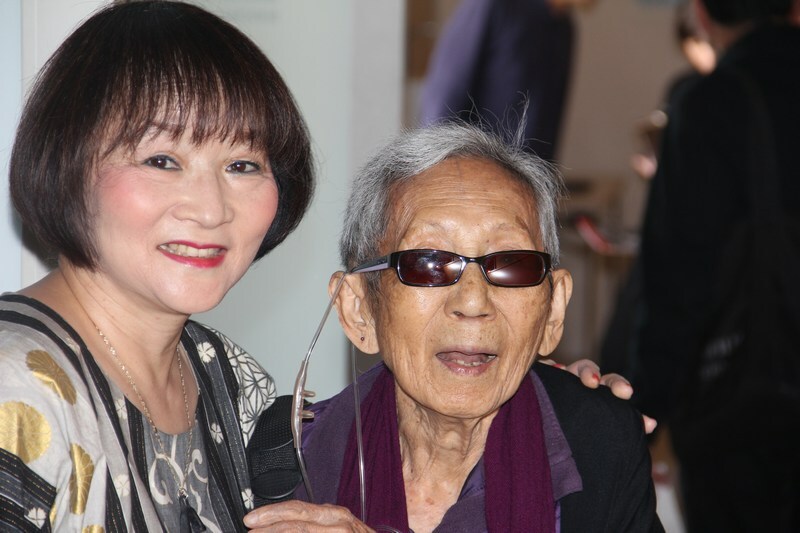 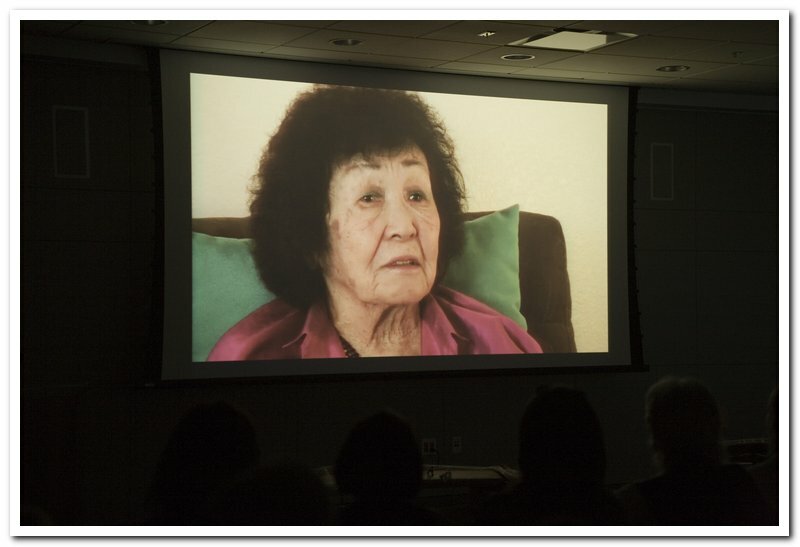 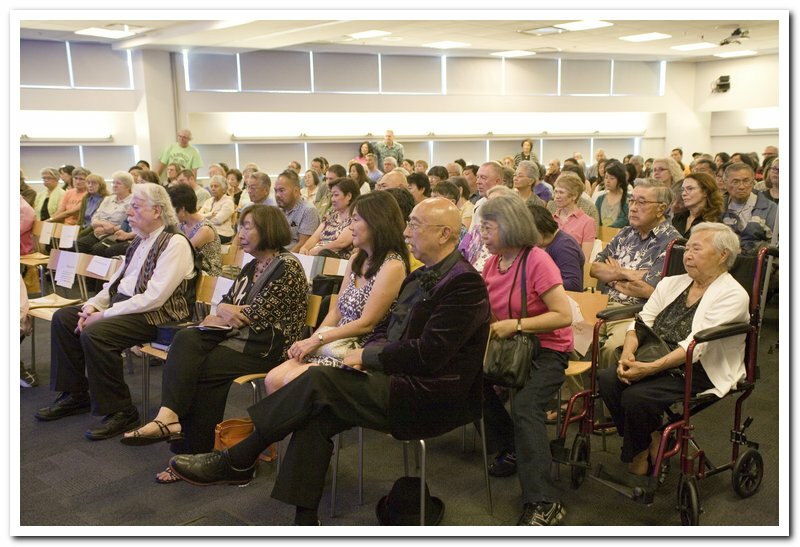 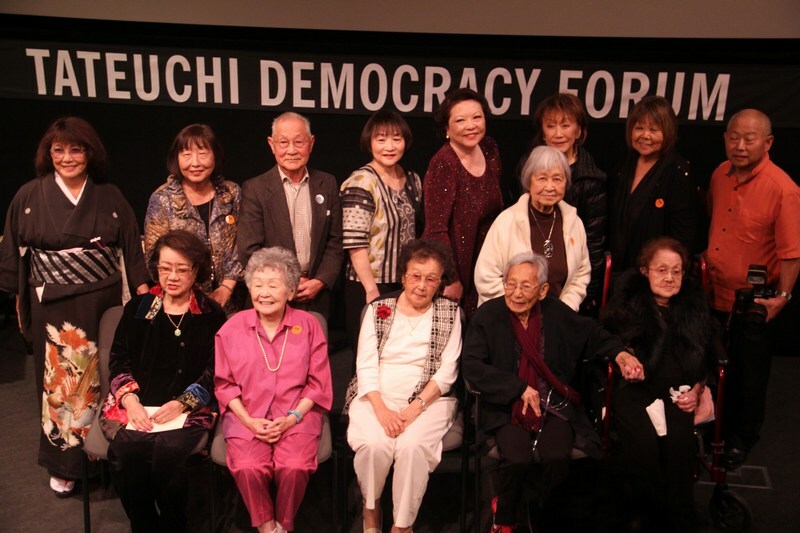 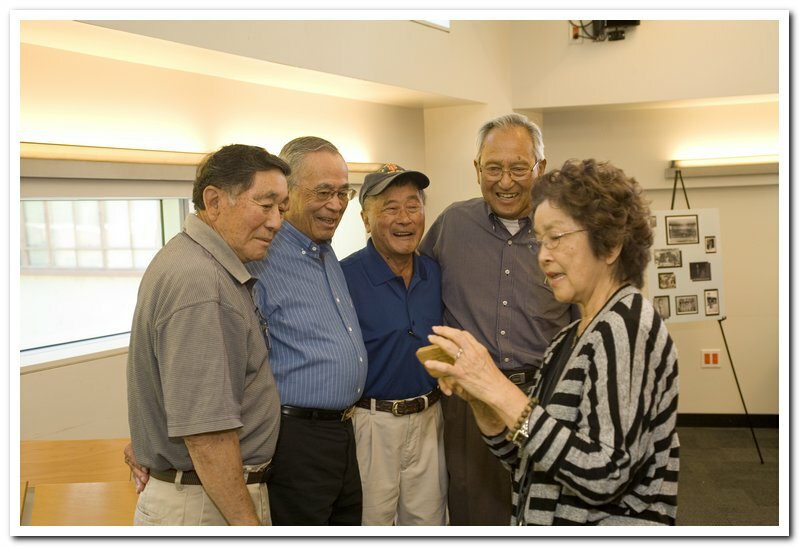 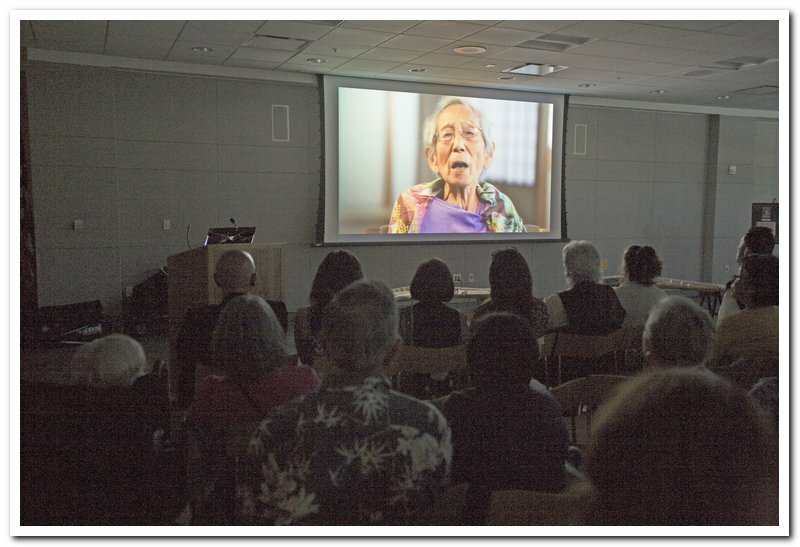 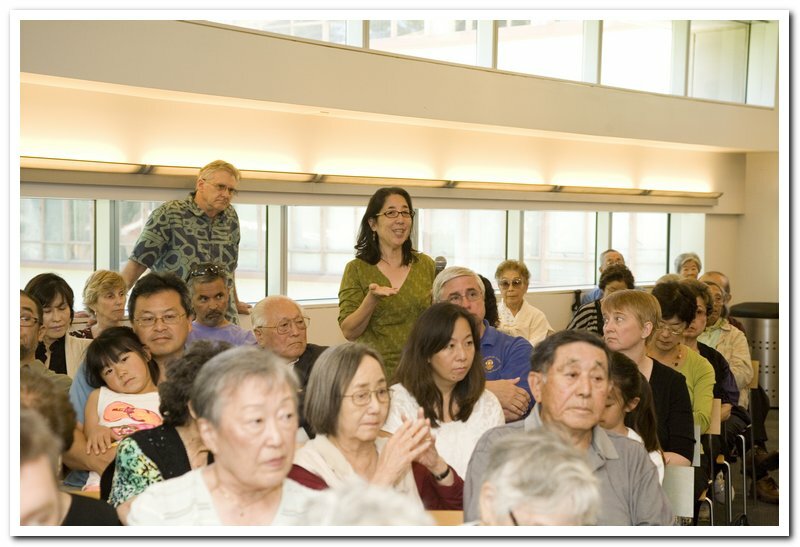 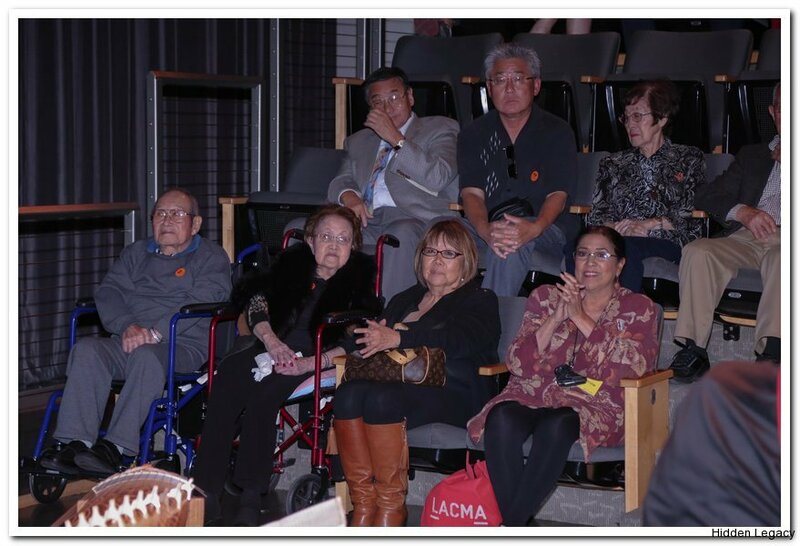 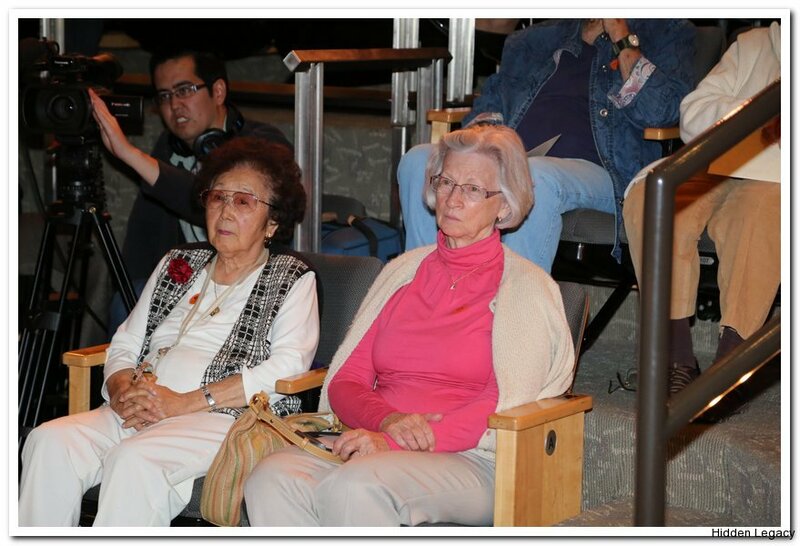 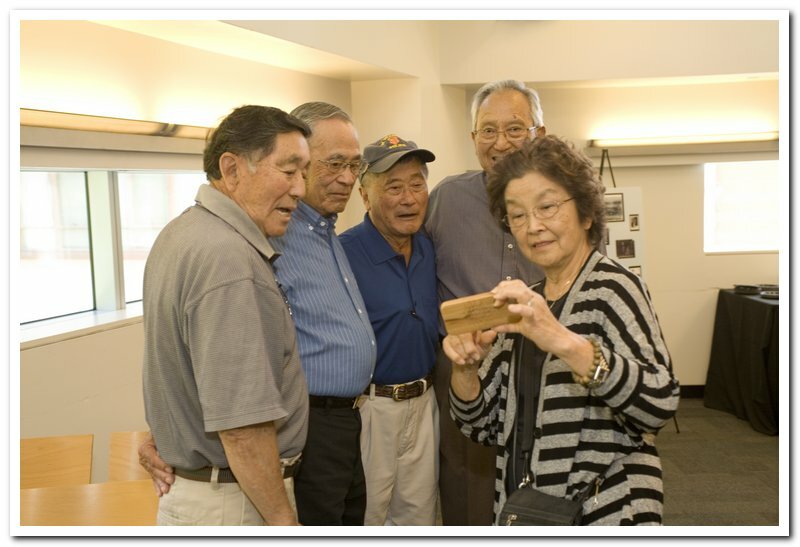 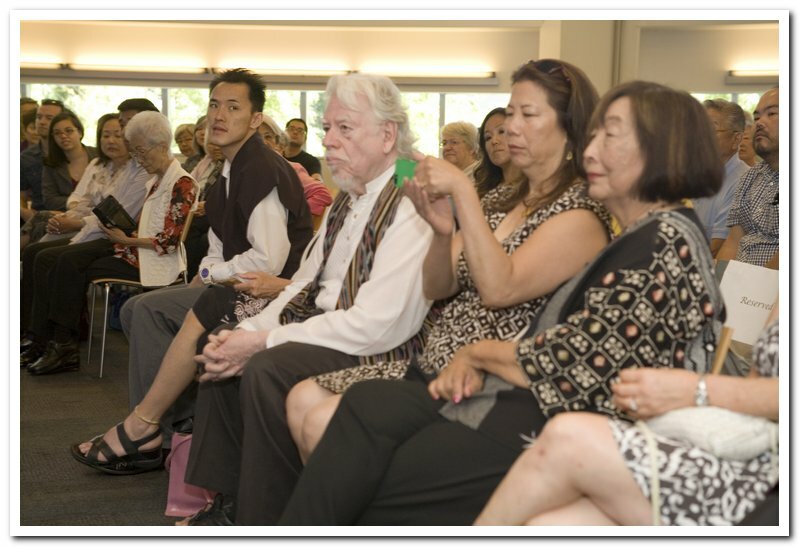 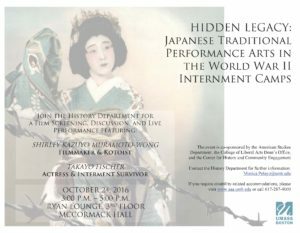 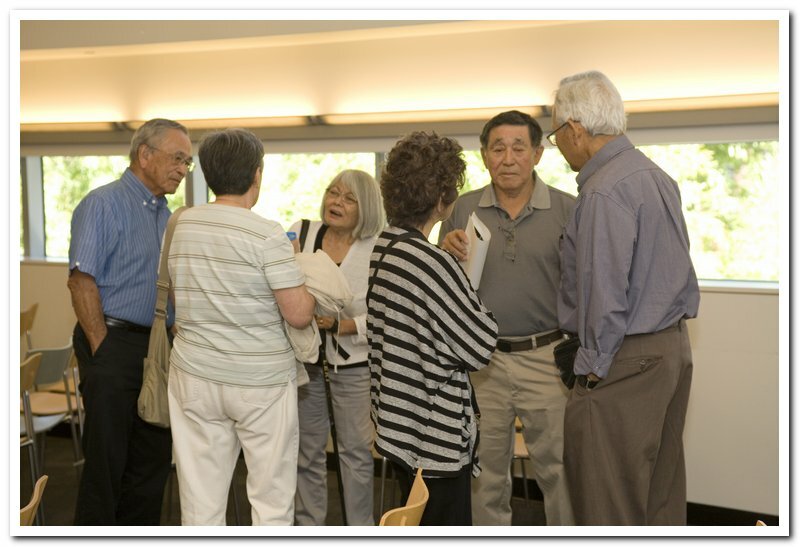 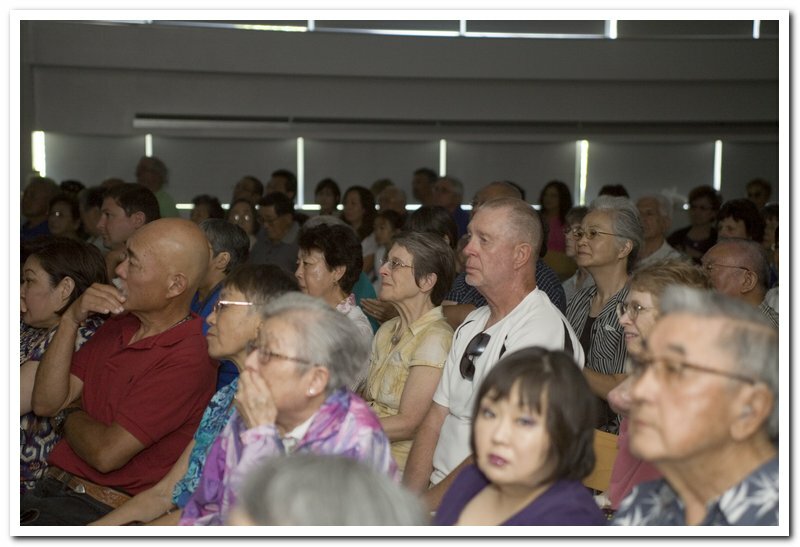 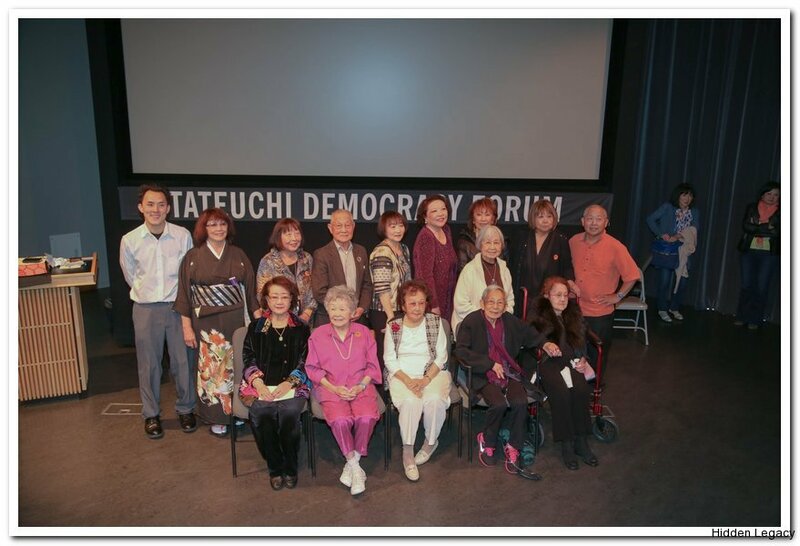 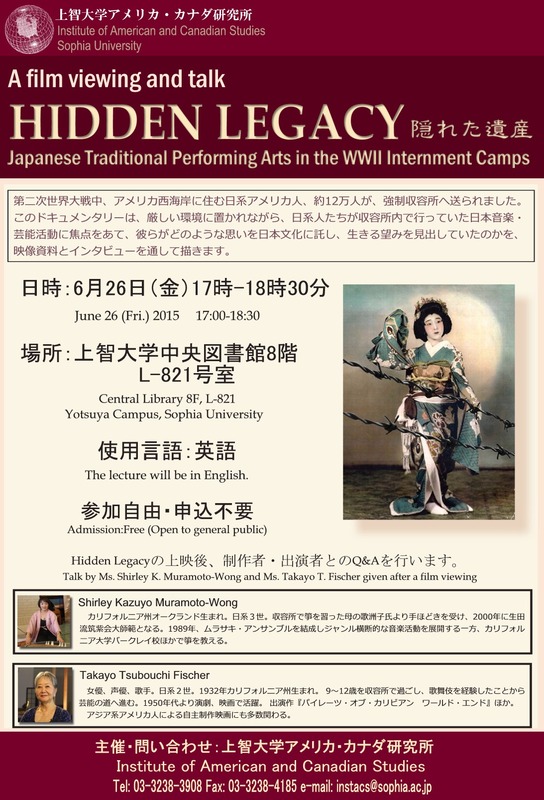 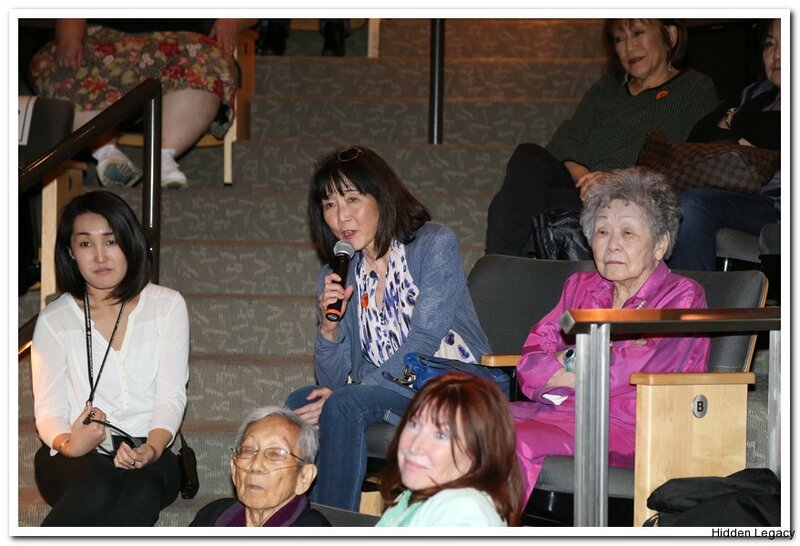 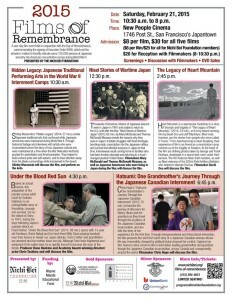 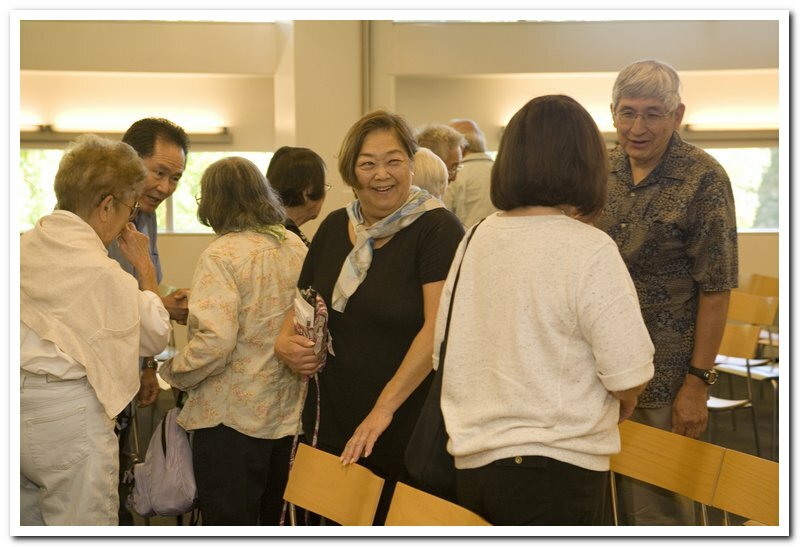 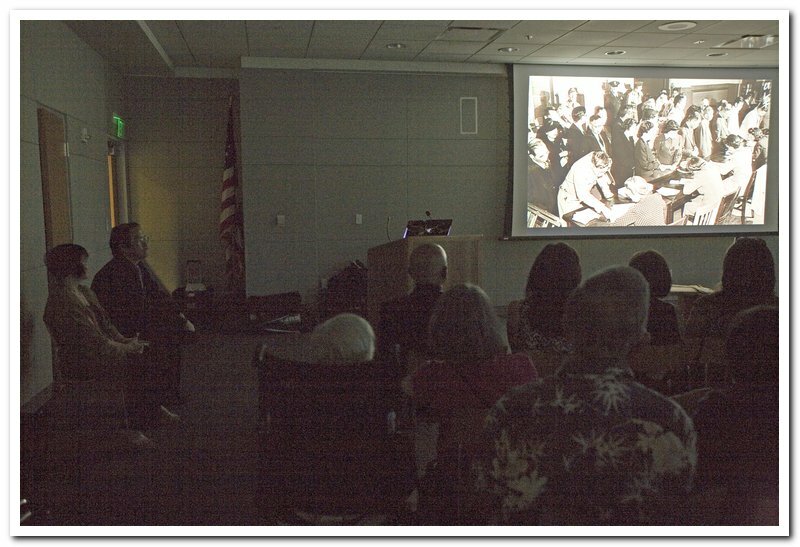 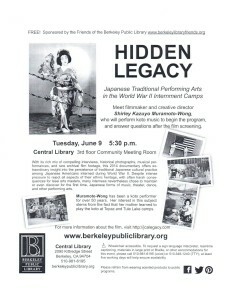 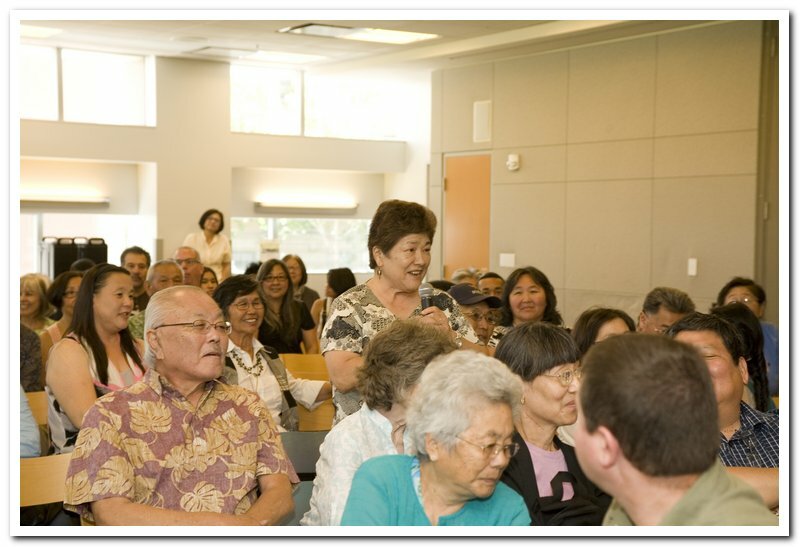 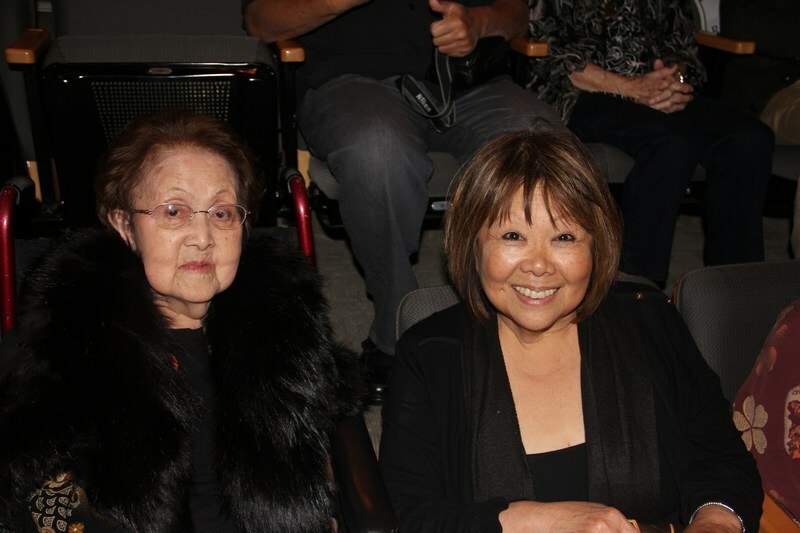 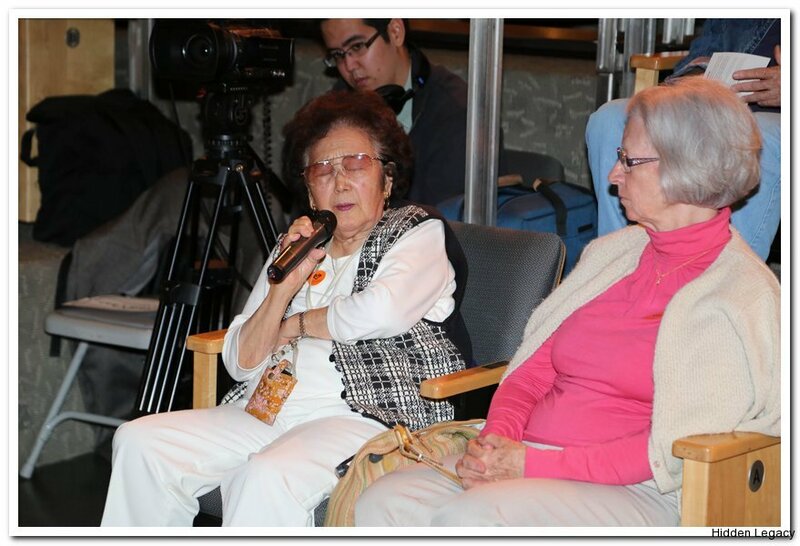 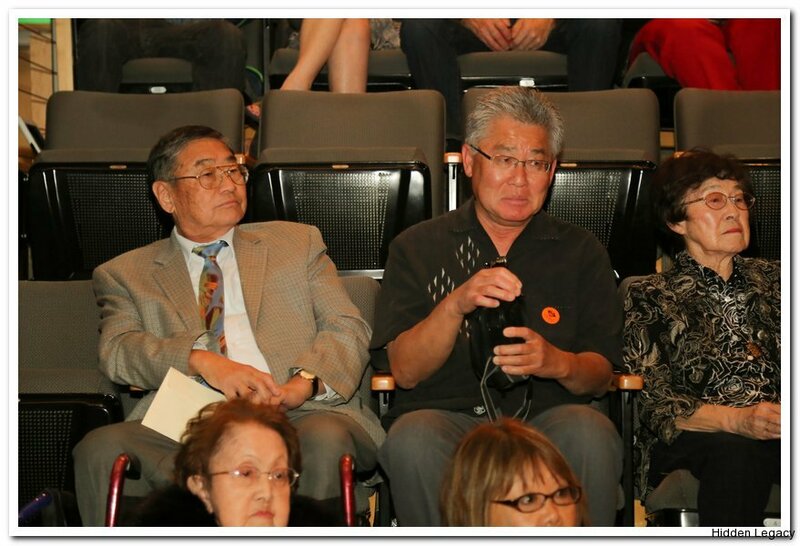 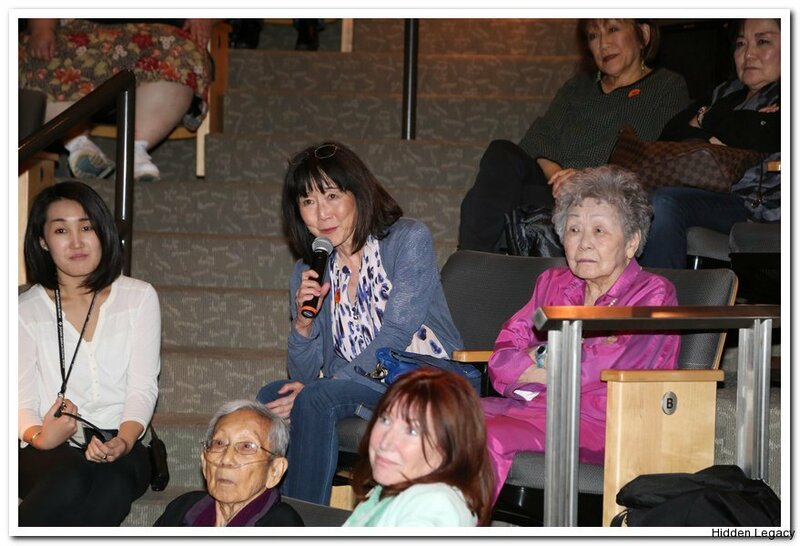 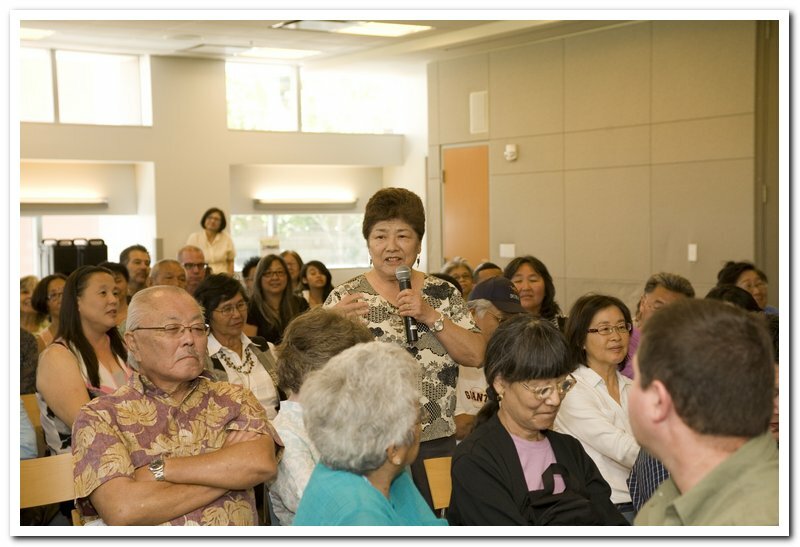 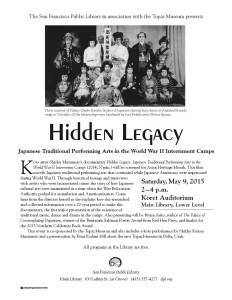 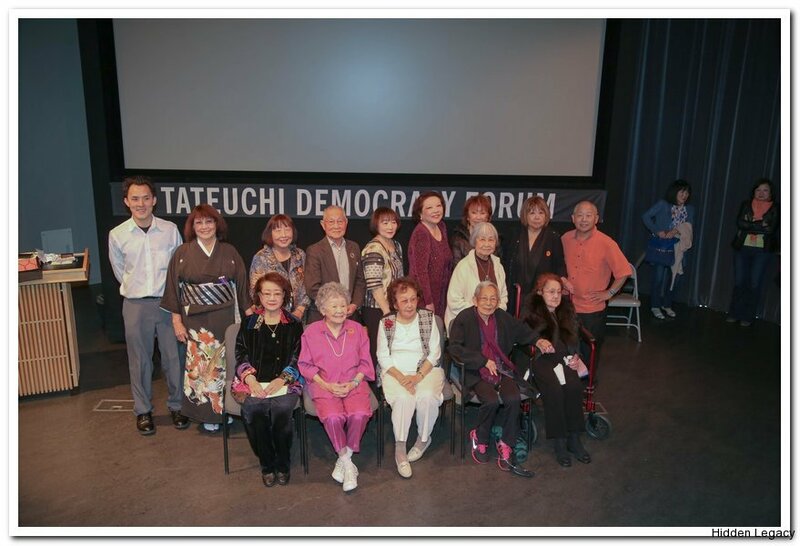 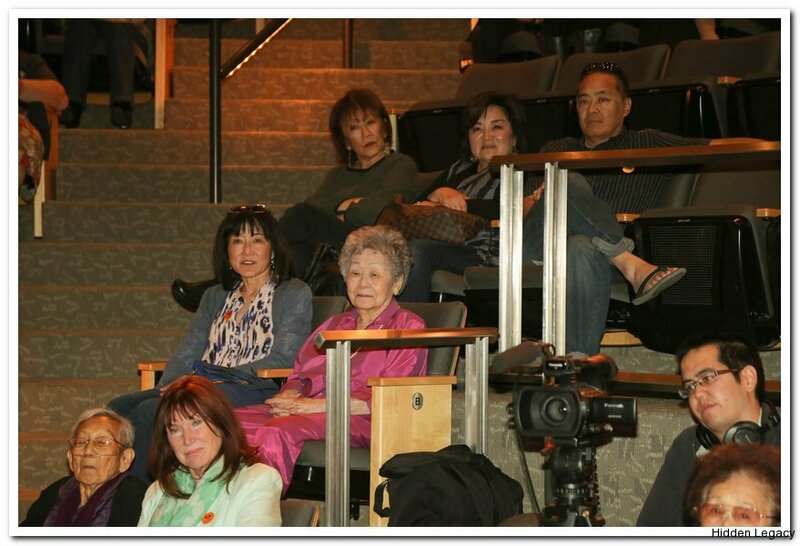 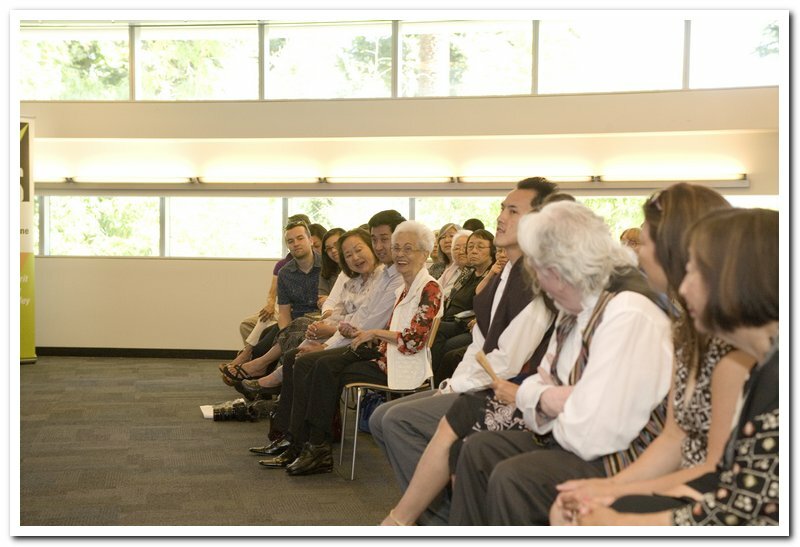 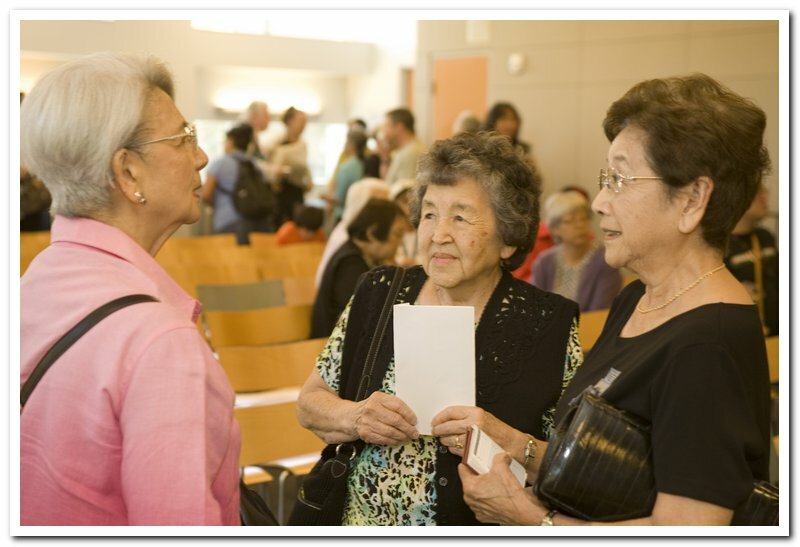 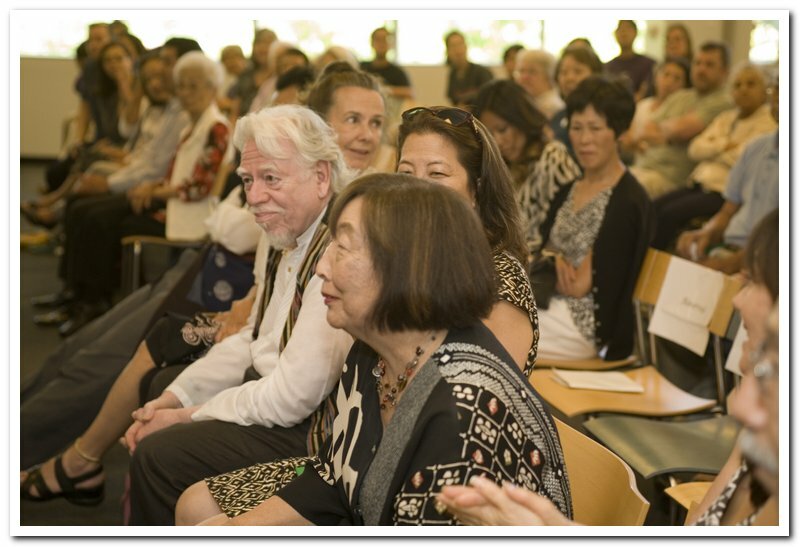 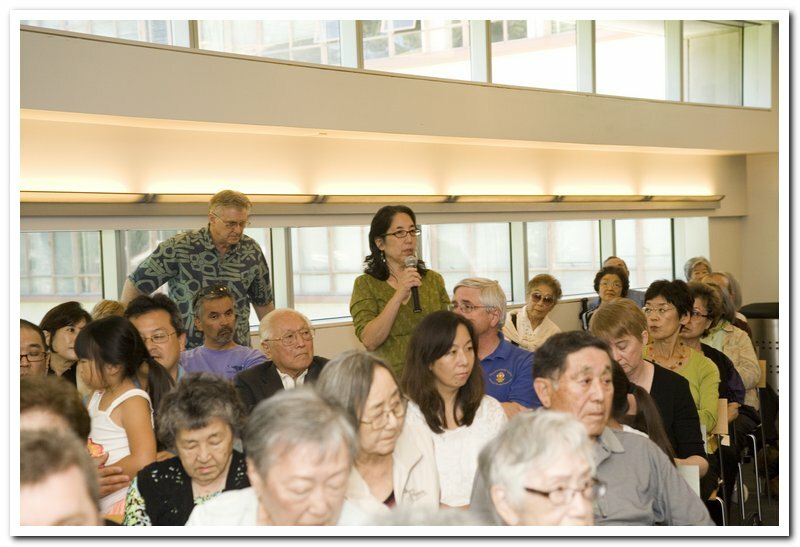 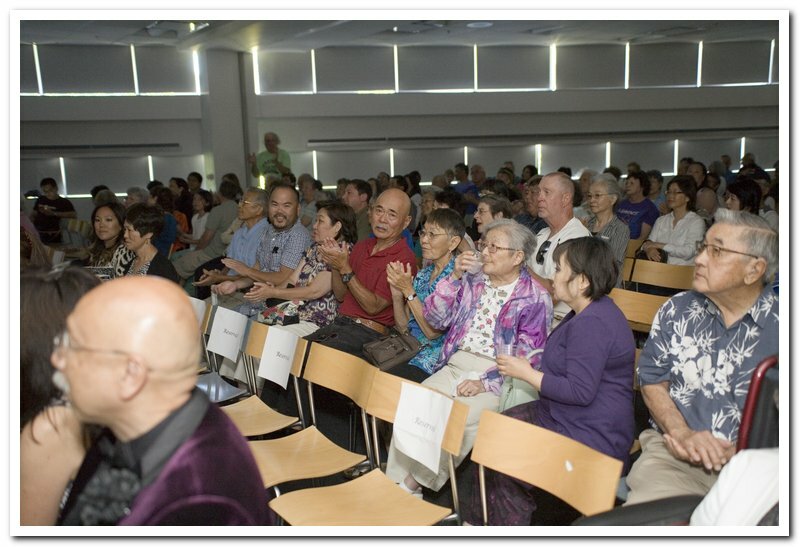 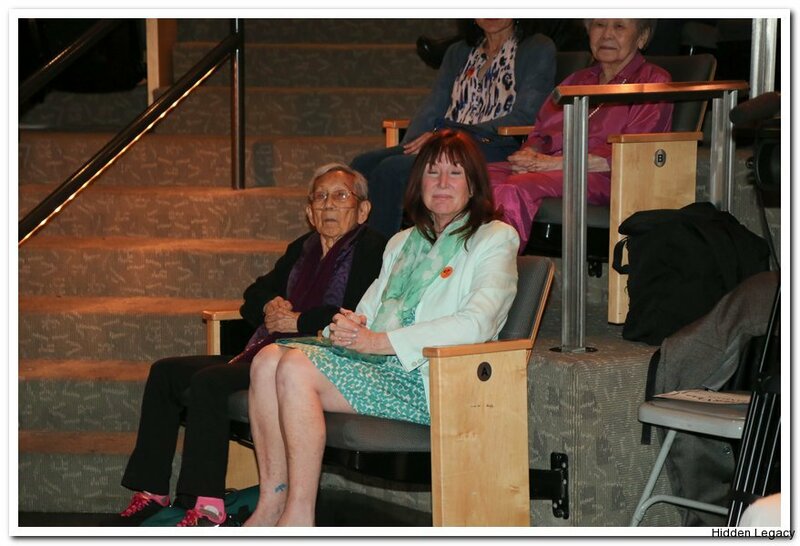 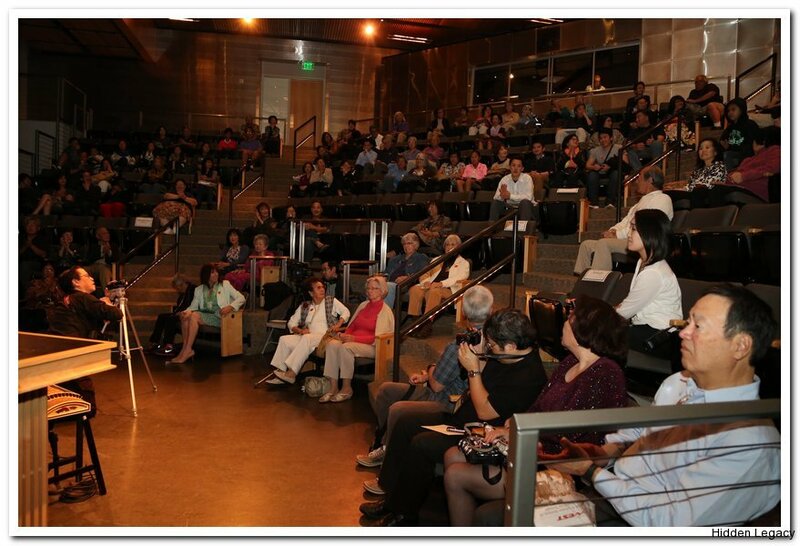 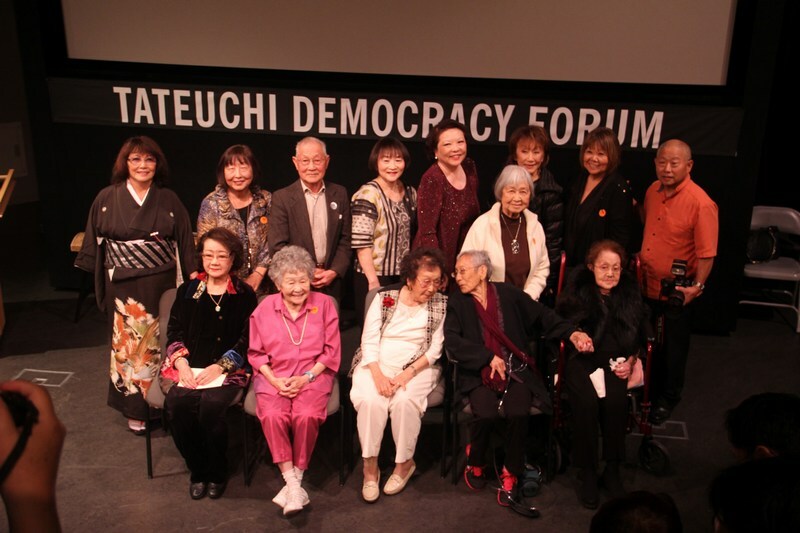 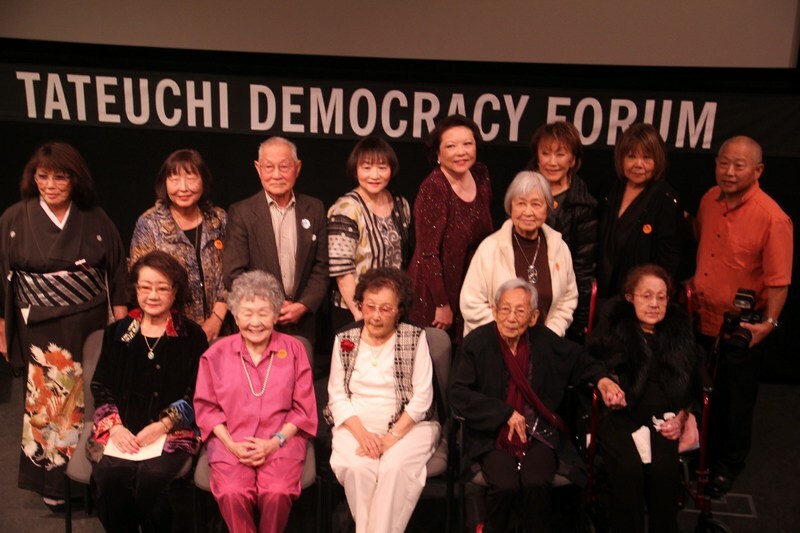 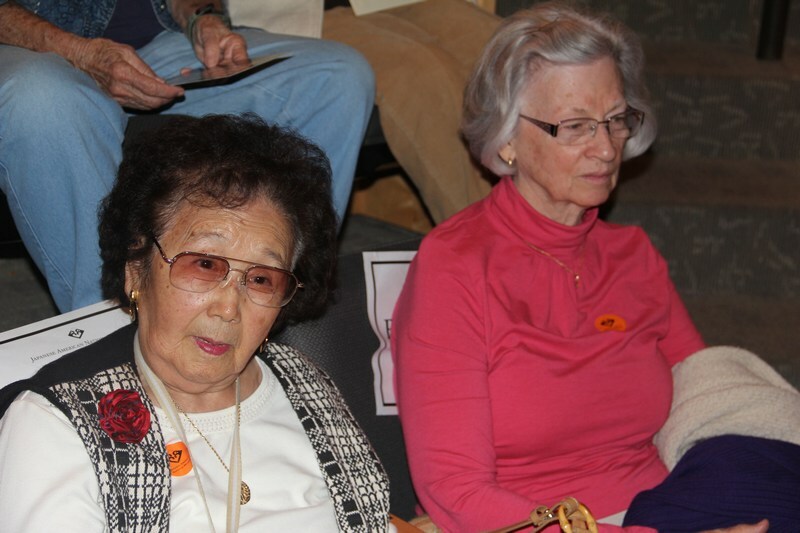 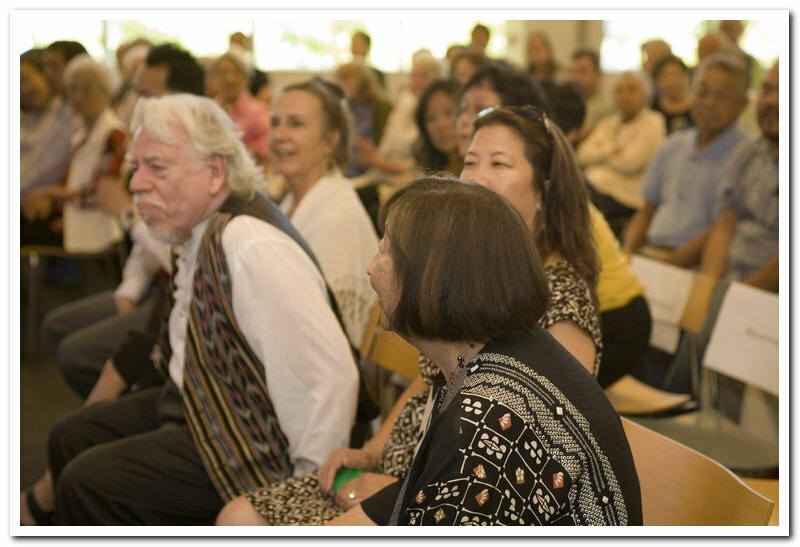 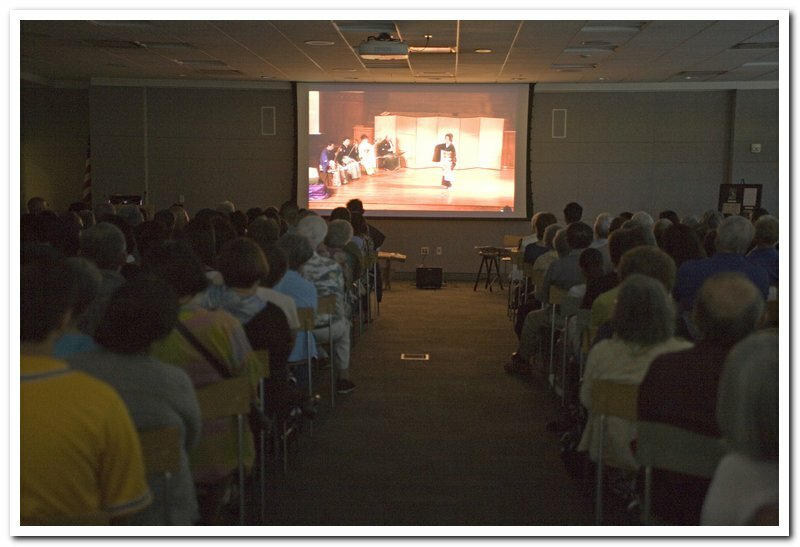 – The Saratoga-Muko Sister City group will host the next screening of Hidden Legacy. 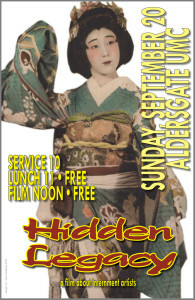 It’s free, and a pot luck, so please bring a dish. 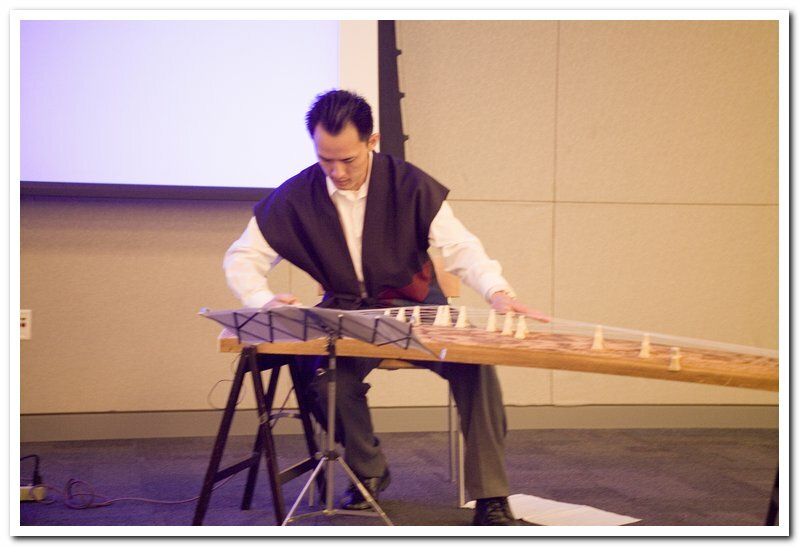 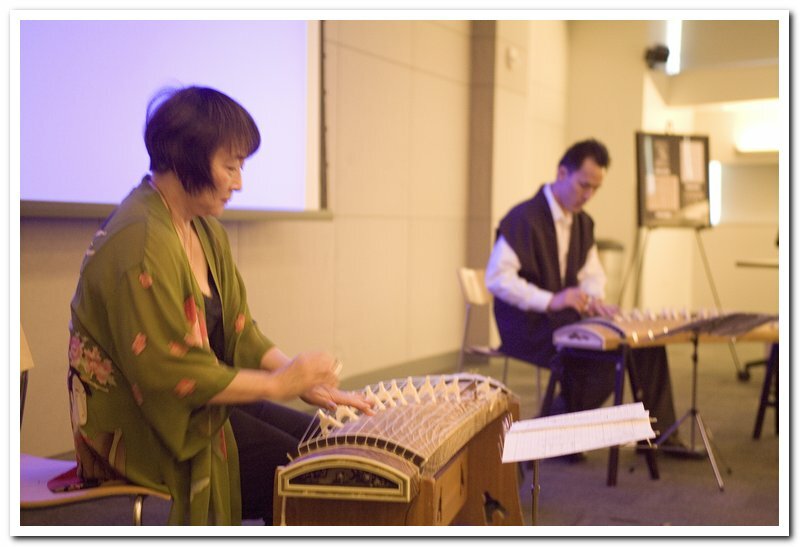 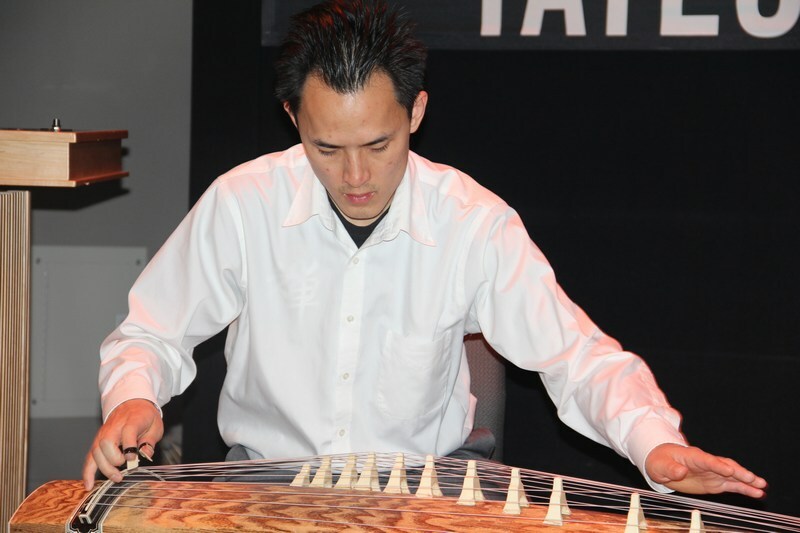 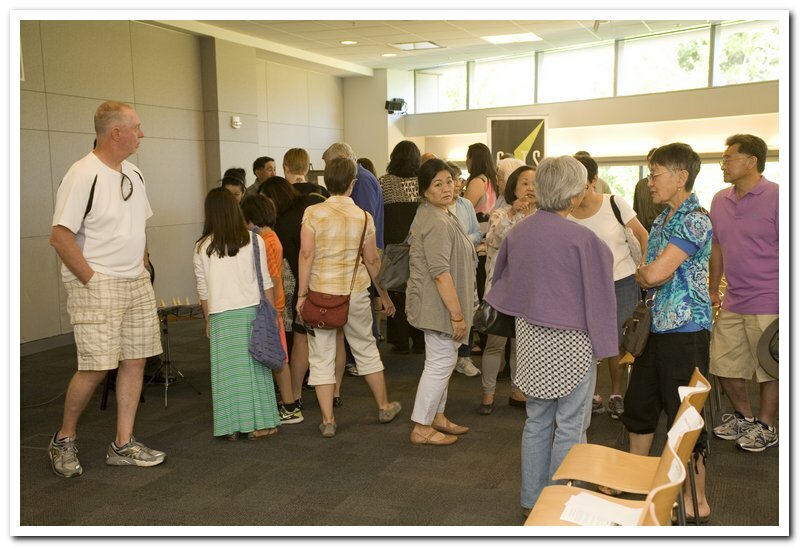 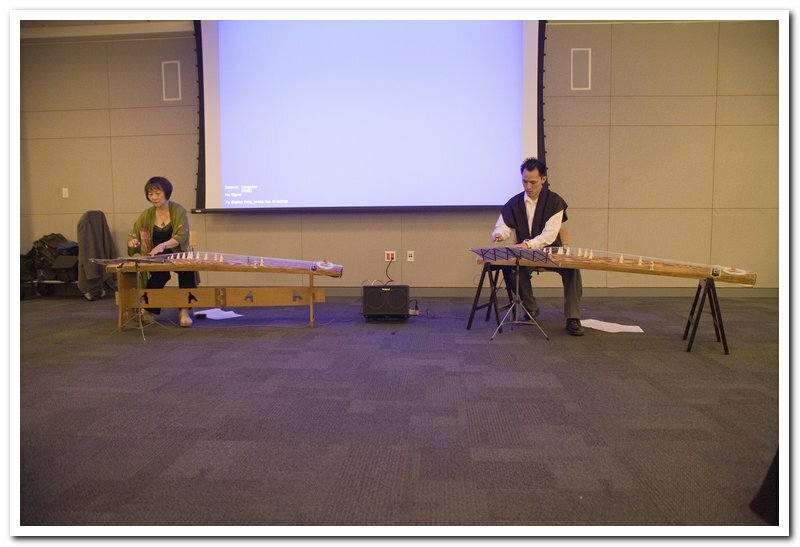 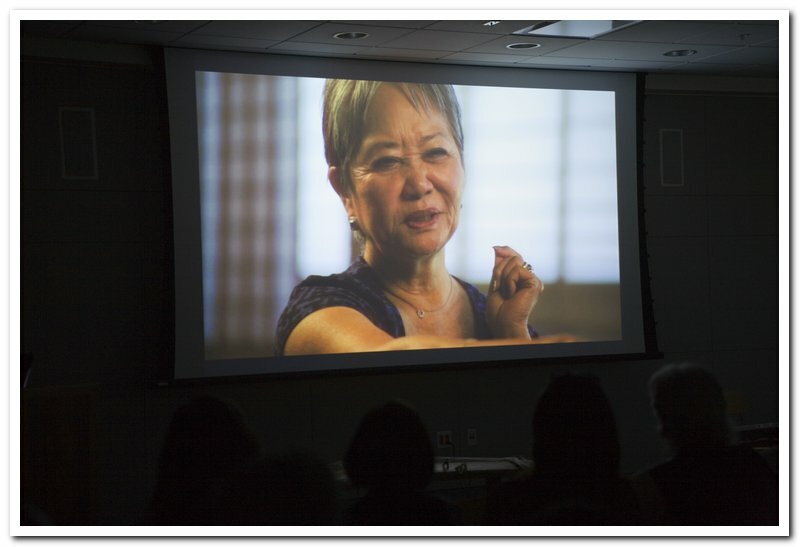 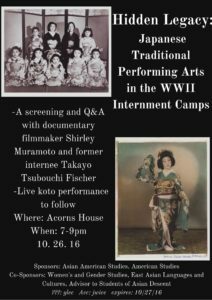 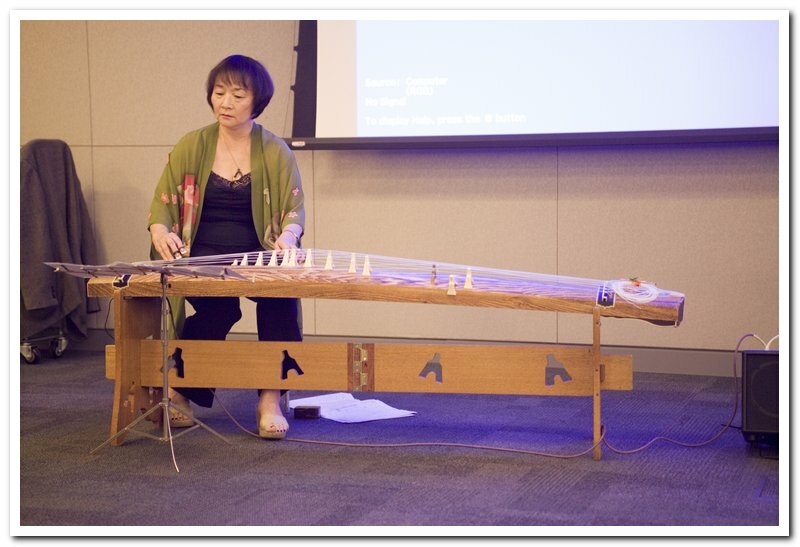 The event will include a koto performance from Shirley Muramoto, screening the film, and Q&A following. 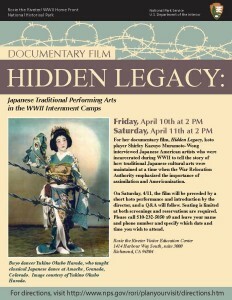 To reserve a spot (as space is limited), contact Peter Marra at piero@pacbell.net or 408/741-1551. 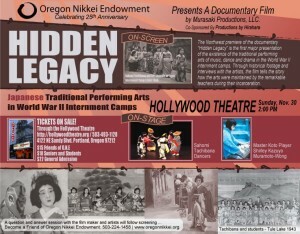 Hollywood Theater, 4122 NE Sandy Blvd, Portland, OR 97212, presented by the Oregon Nikkei Endowment. 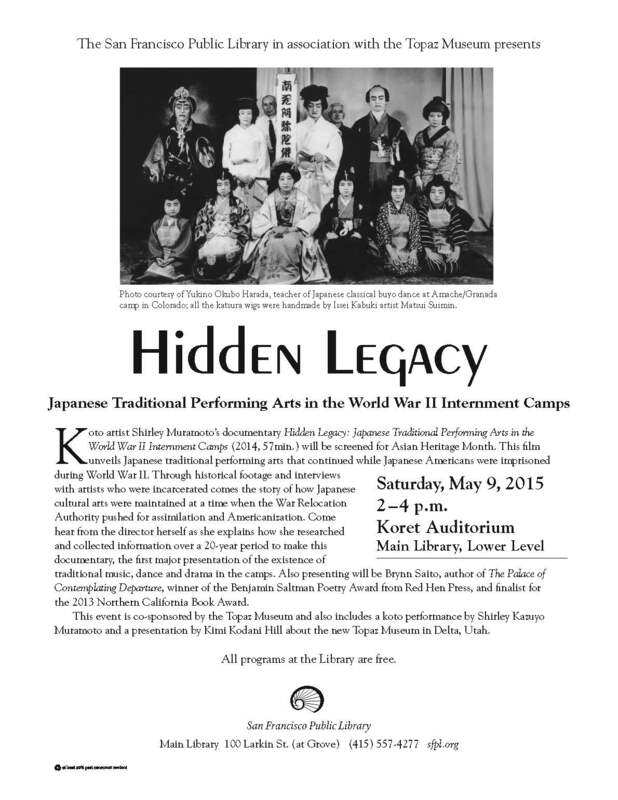 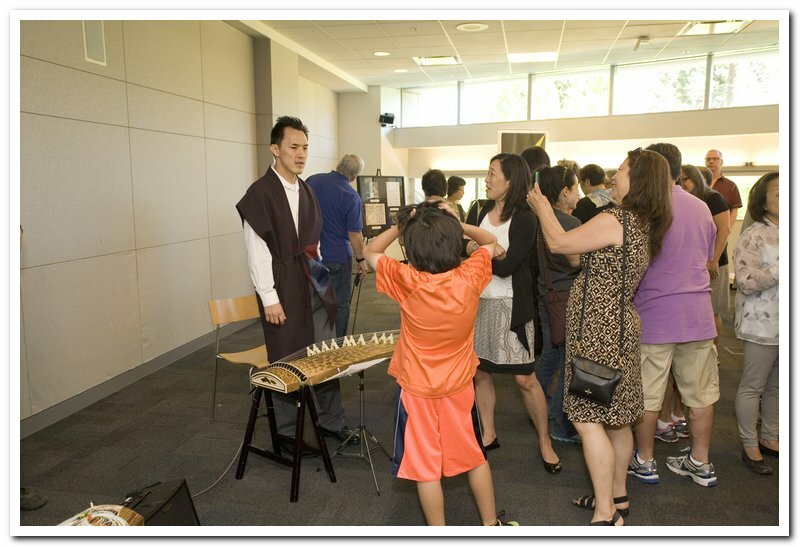 Special performances by the Sahomi Tachibana Company (Japanese dance) and Shirley Kazuyo Muramoto on koto. 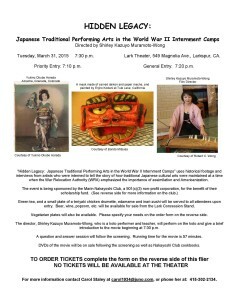 Tickets available Online to be purchased. 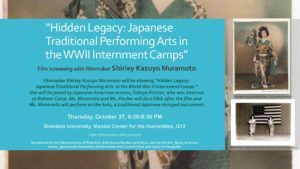 Thursday, November 6, 2014, Riverside Community College, Center for Social Justice and Civil Liberties, Arts Walk Film Series, two free showings at 6:00p and 7:45p. 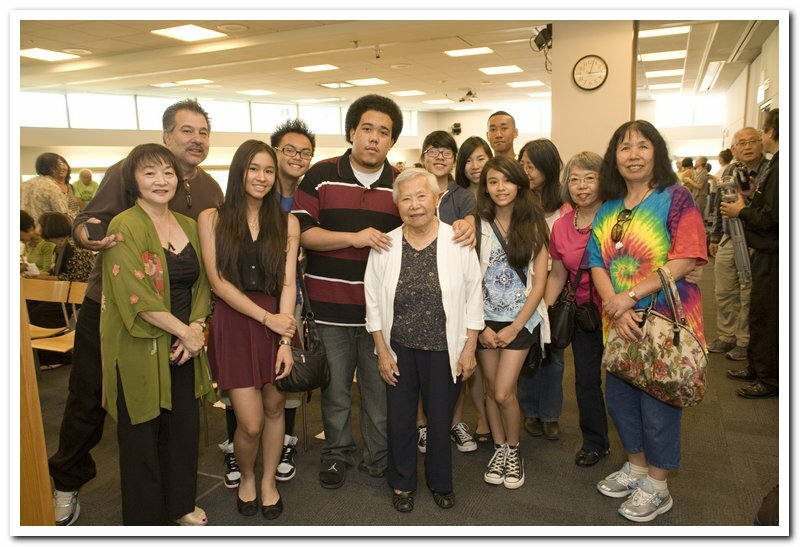 3855 Market St., Riverside, CA 92506. To reserve a seat, please contact phone: 951-222-8846 or email socialjustice@rccd.edu ; Special Note: there are only 18 seats available per screening. 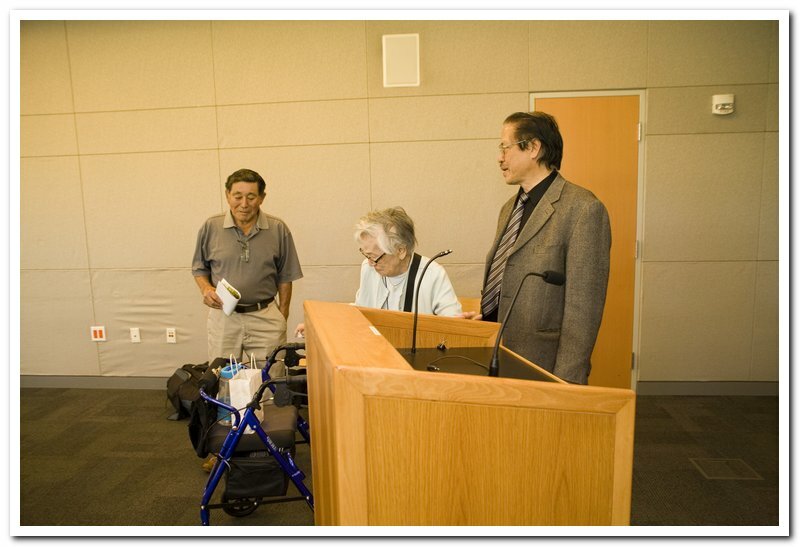 http://socialjustice.rccd.edu/Pages/about.aspx . 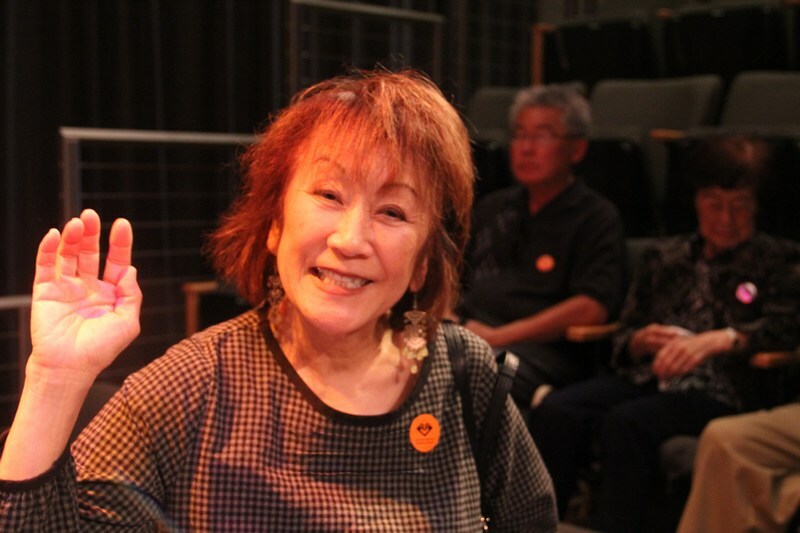 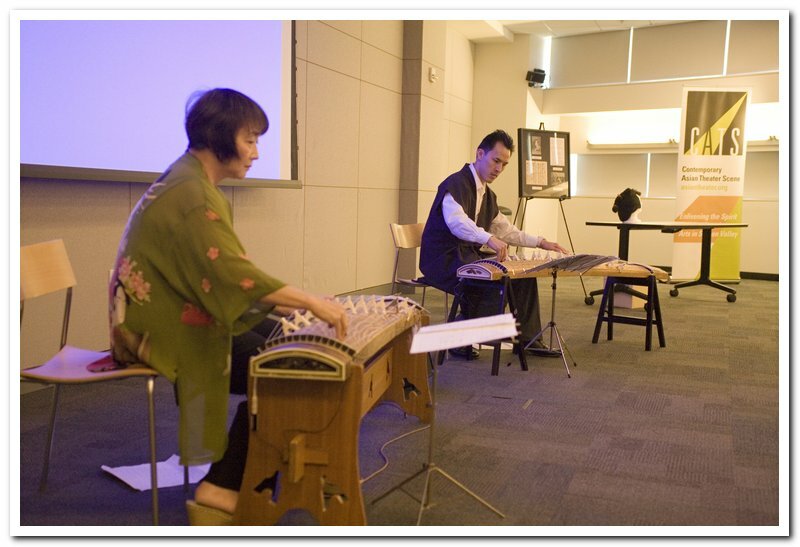 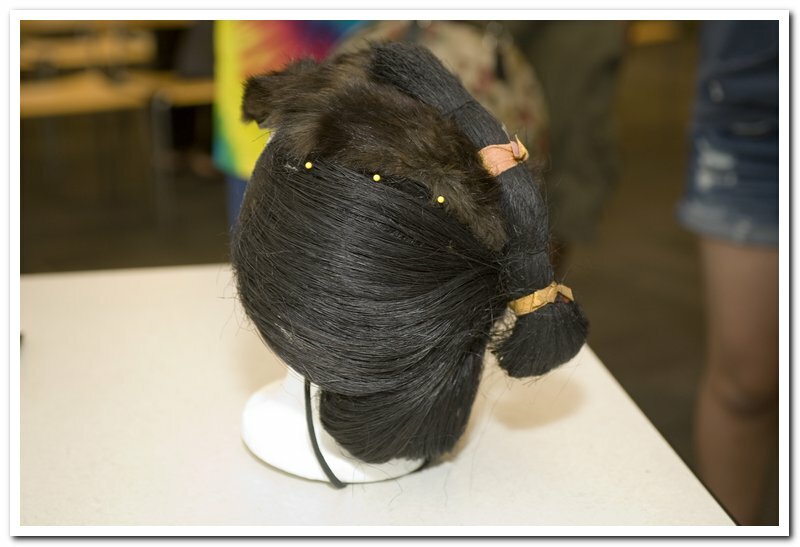 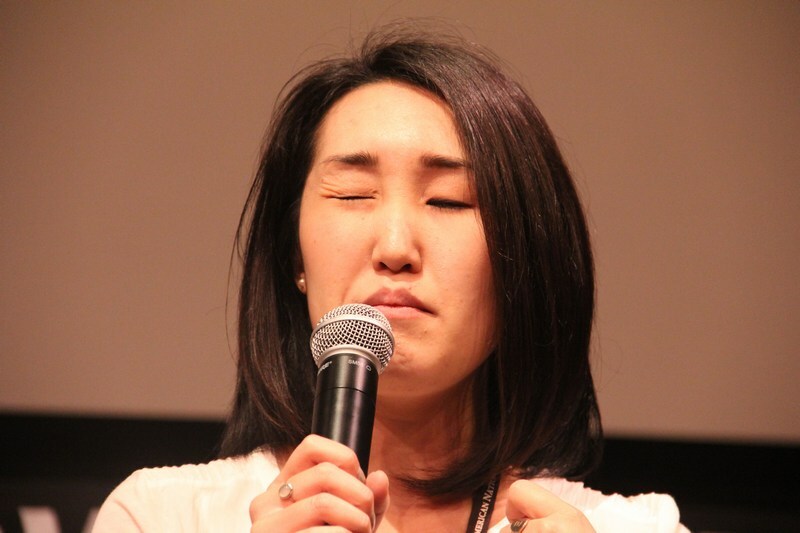 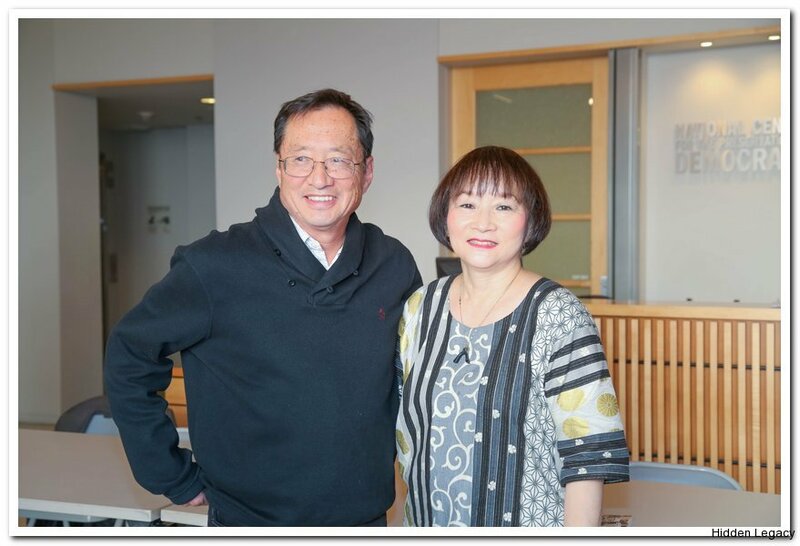 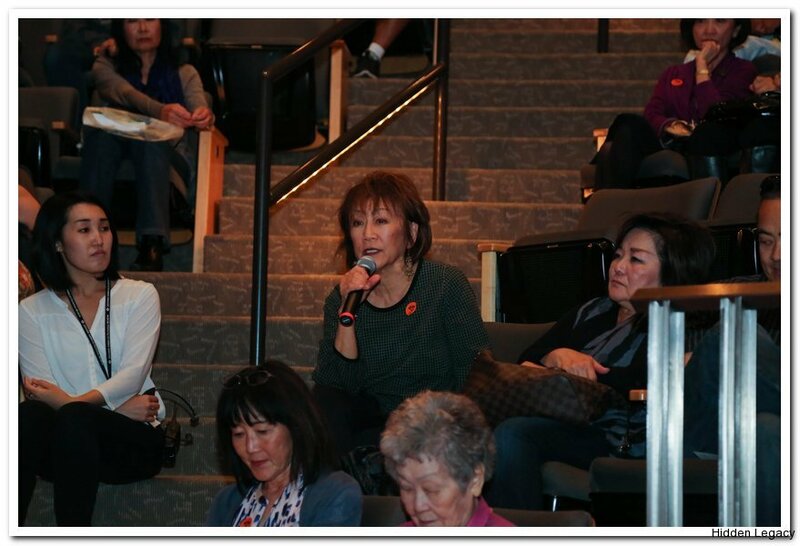 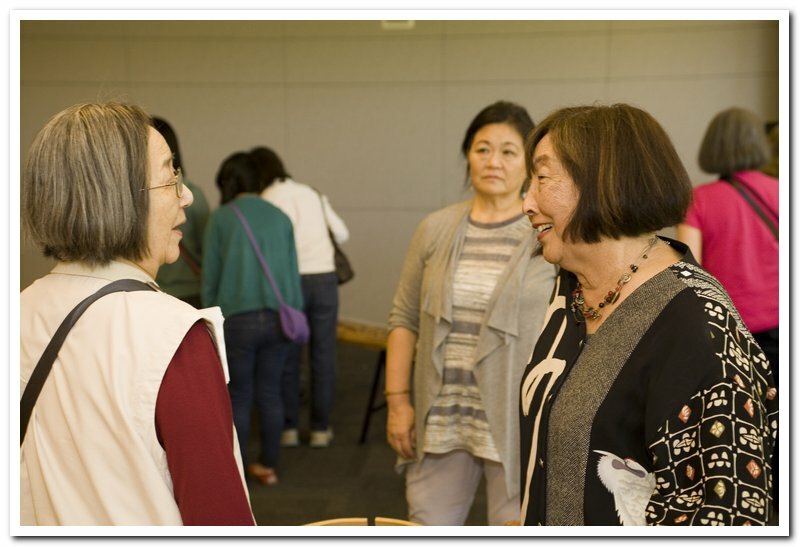 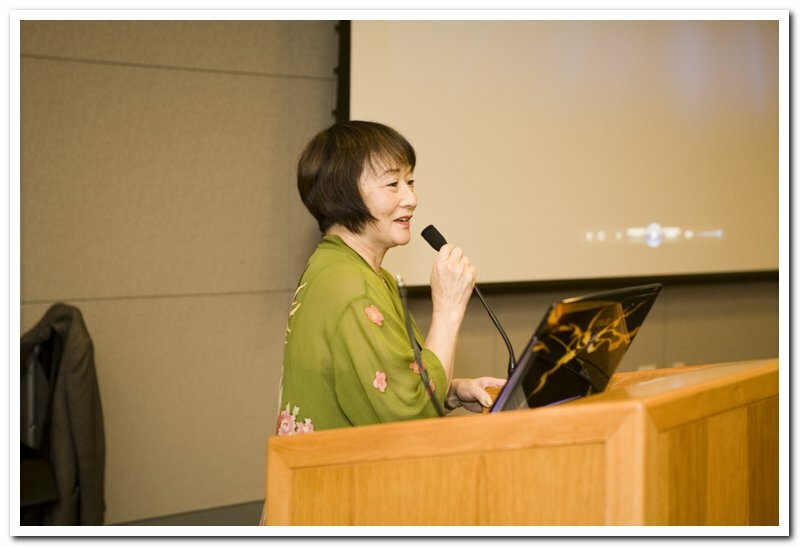 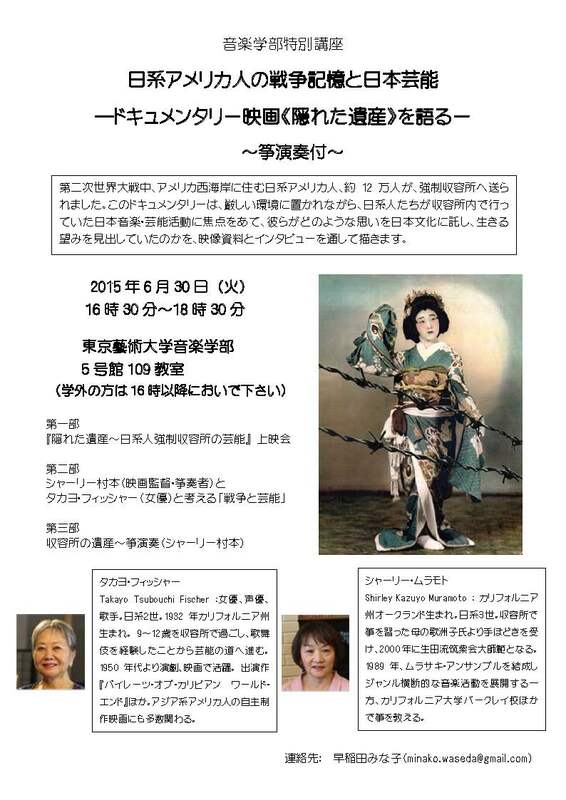 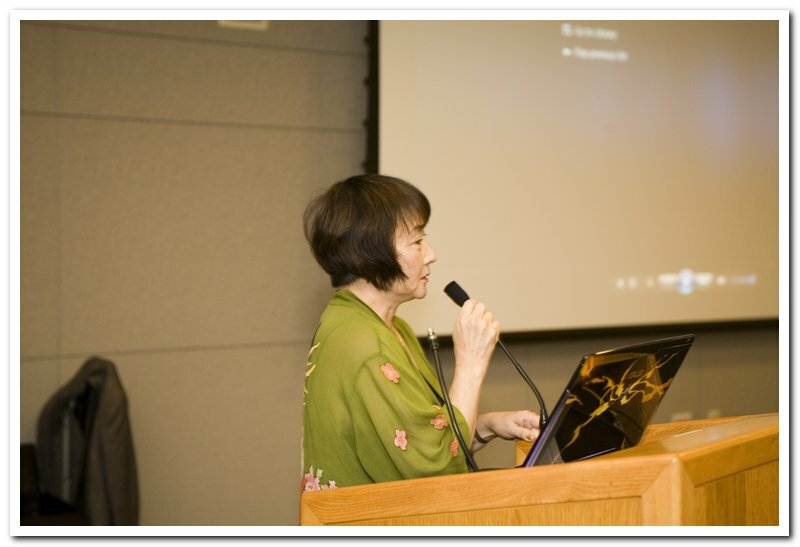 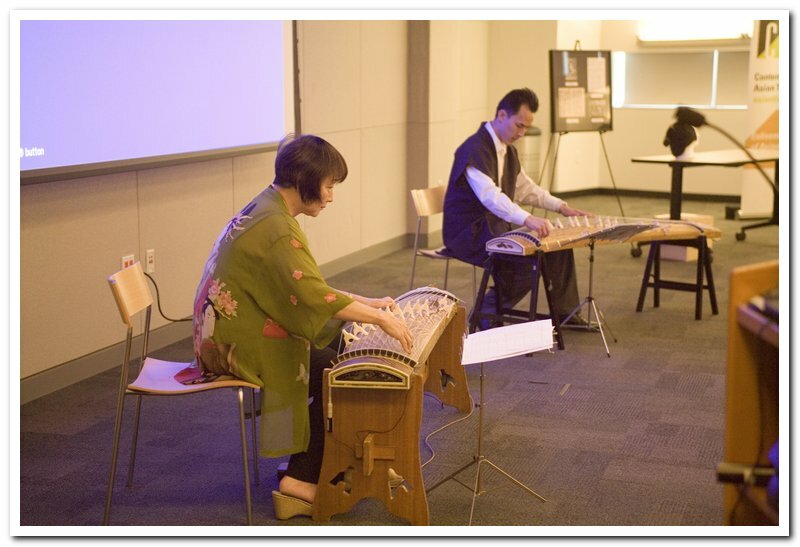 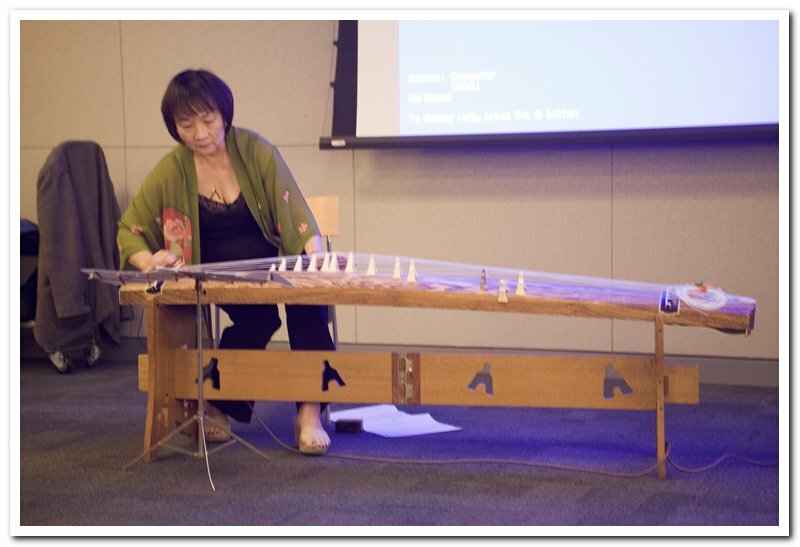 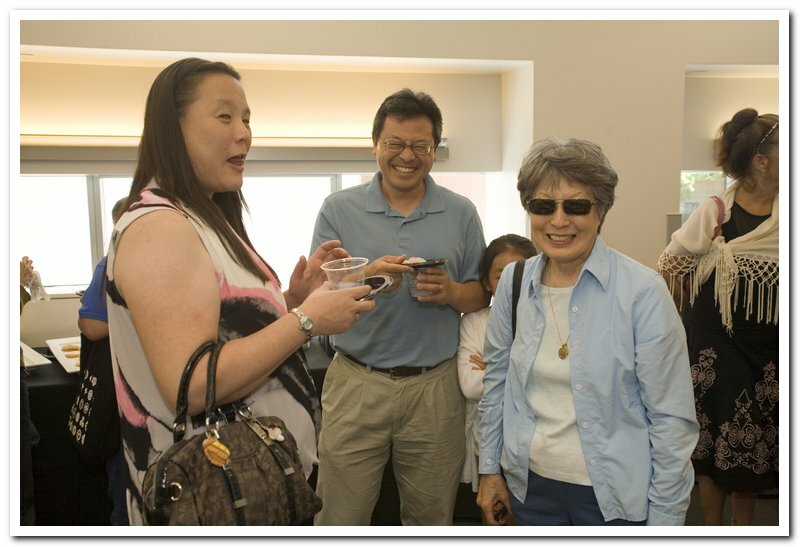 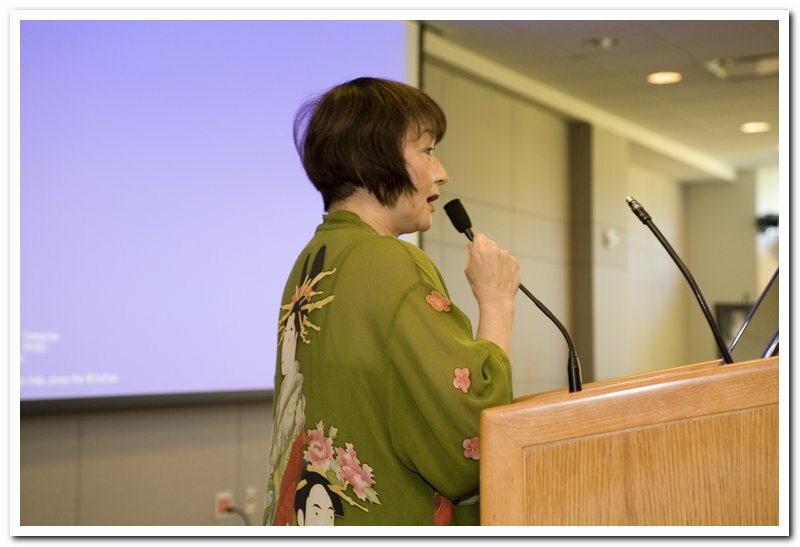 Shirley Kazuyo Muramoto will be there to answer questions and maybe play some koto. 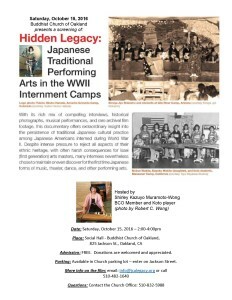 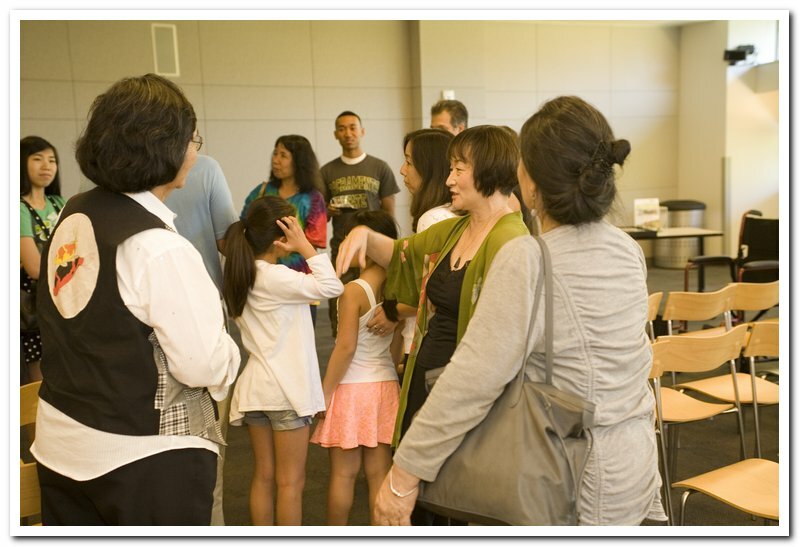 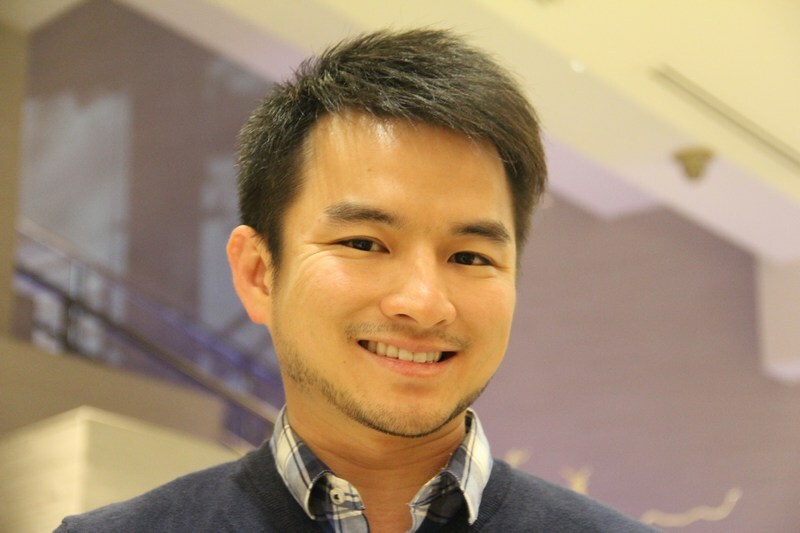 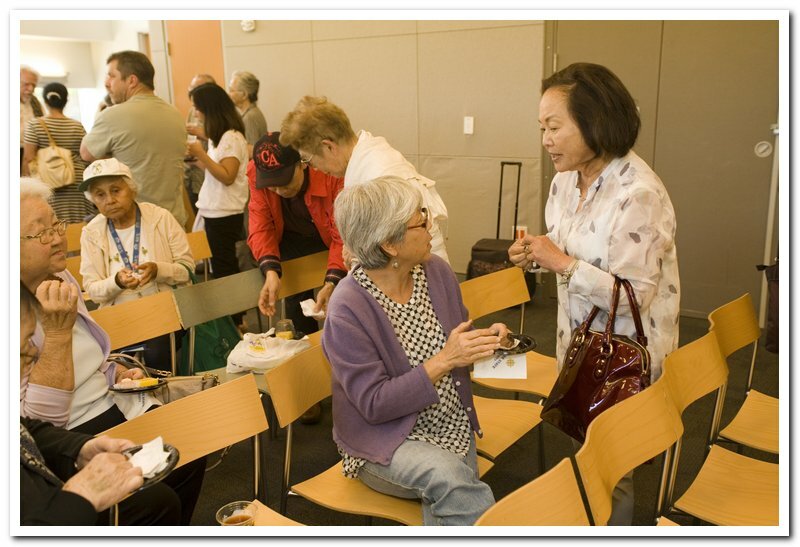 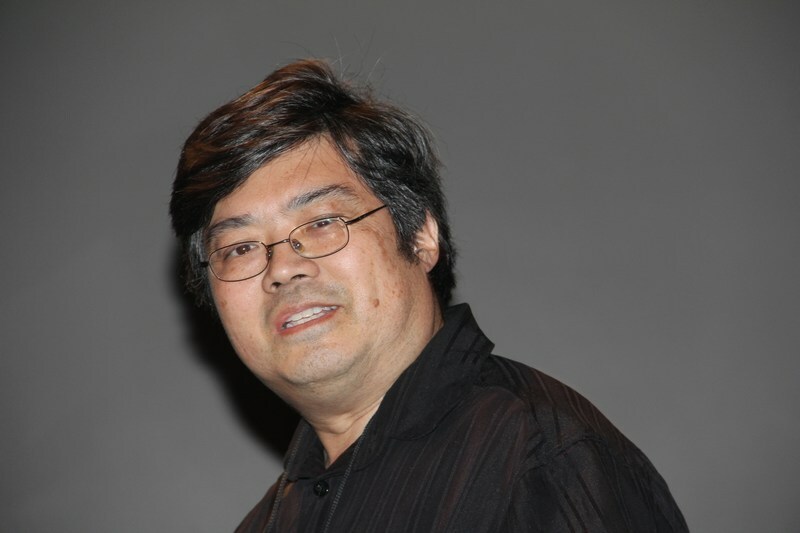 Thursday, September 18, 2014, UC Berkeley campus, with Asian American Studies 122, 3:00p-5:00 PM, 554 Barrows, open to the public. 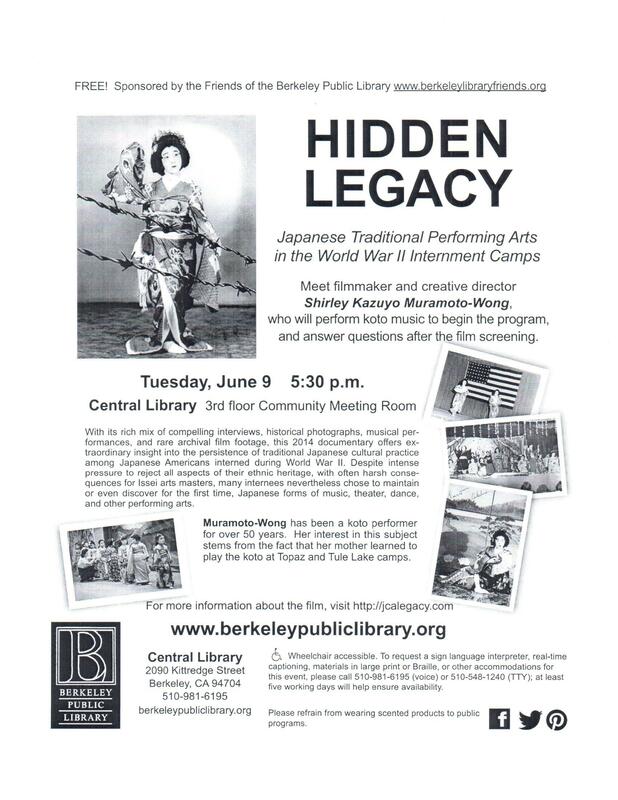 If you will be attending, please email Professor Lisa Hirai Tsuchitani at lhtsuchitani@berkeley.edu . 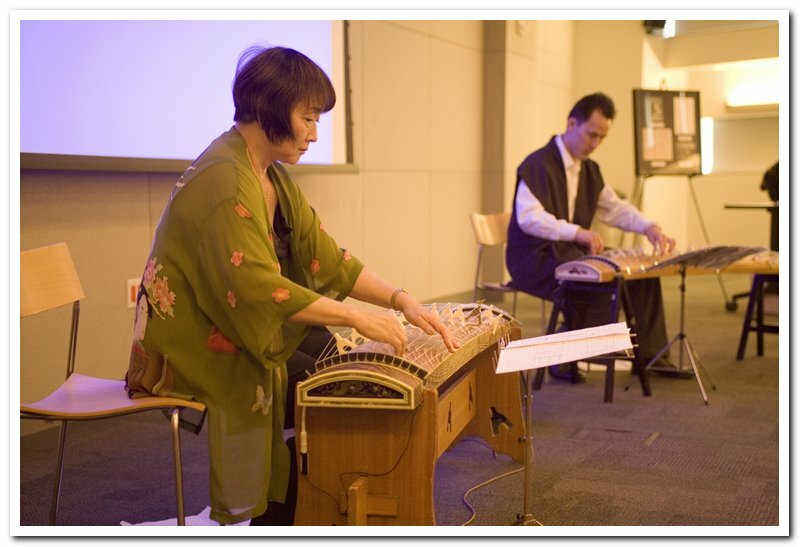 Shirley Kazuyo Muramoto will be there to answer questions and maybe play some koto. 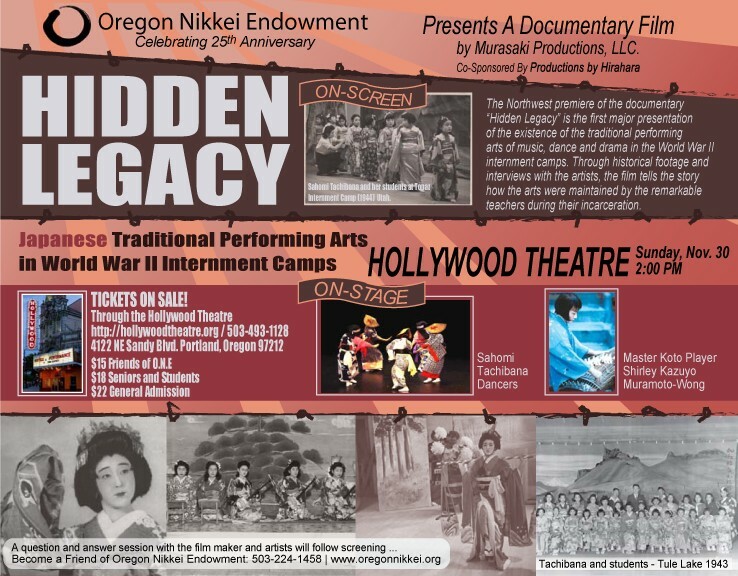 Just heard that a special presentation of “Hidden Legacy” at the Berkeley Art Museum/Pacific Film Archive at UC Berkeley next Thursday, Sep 18 at 6 PM has opened up some seats! 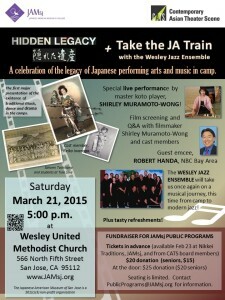 We will hold reserved seats until 12:45 pm , then first com/ first served. 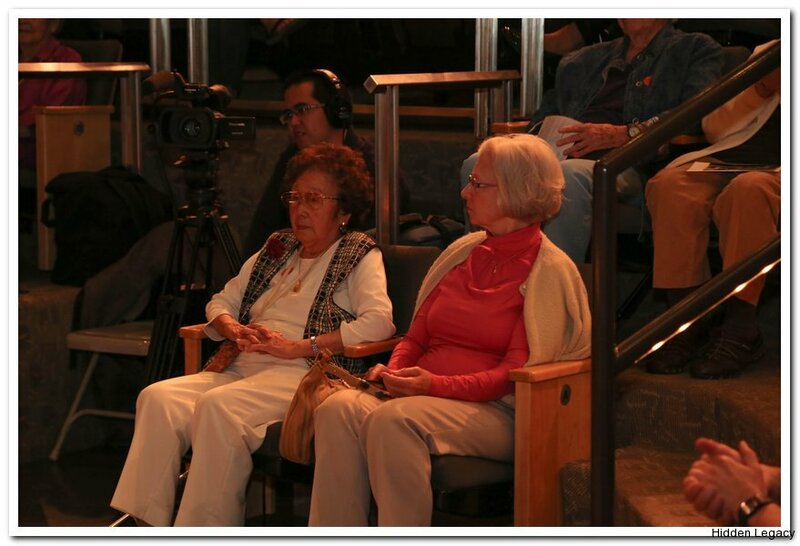 Convenient parking at the 4th Street Garage. 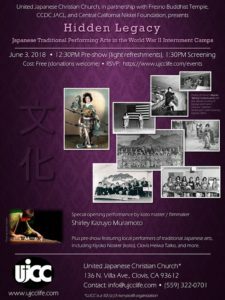 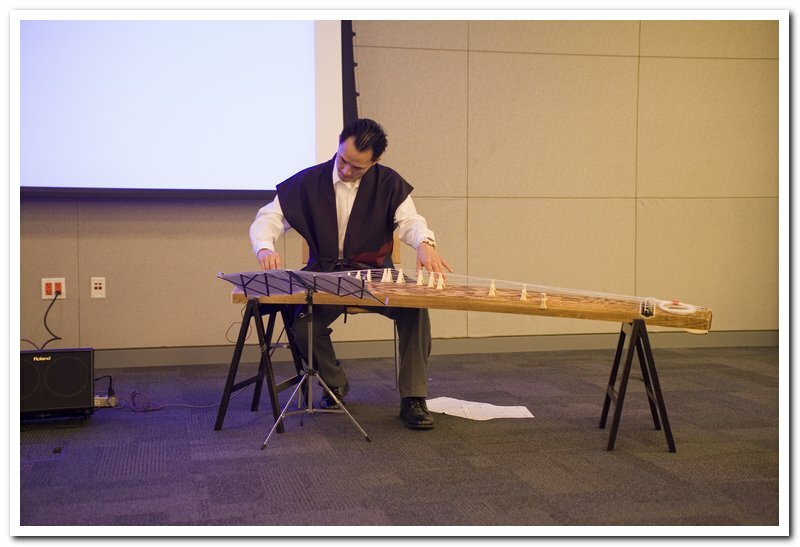 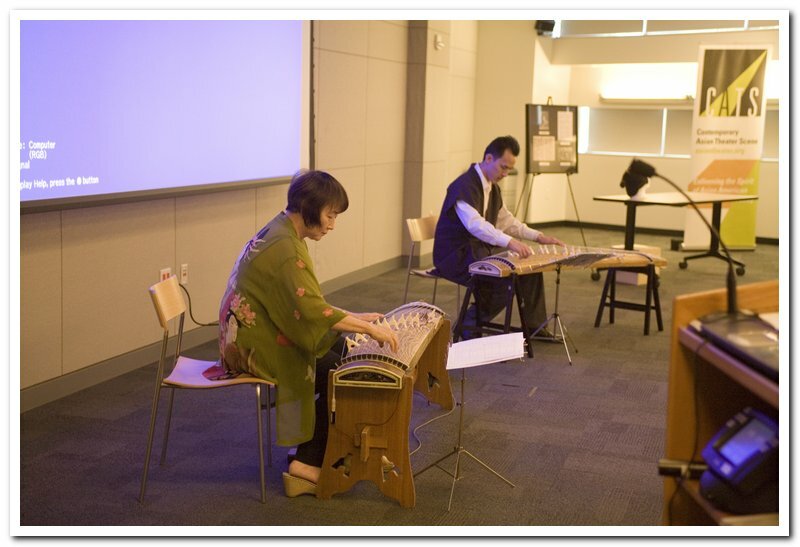 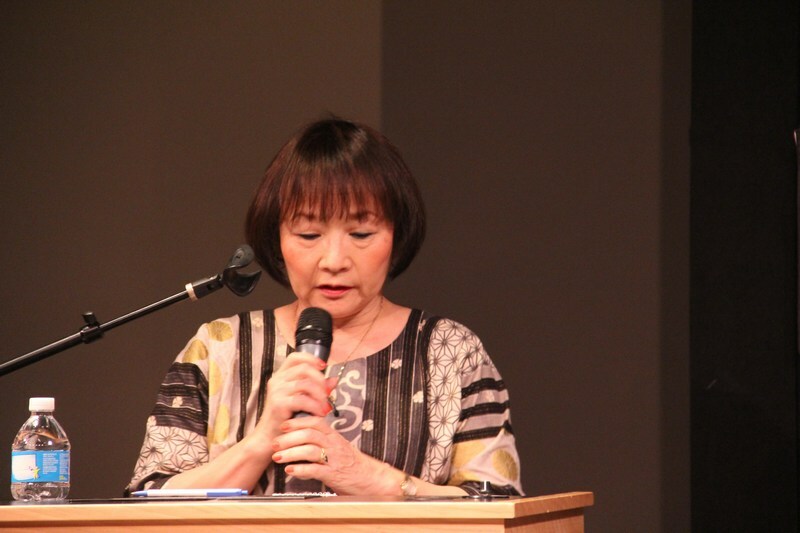 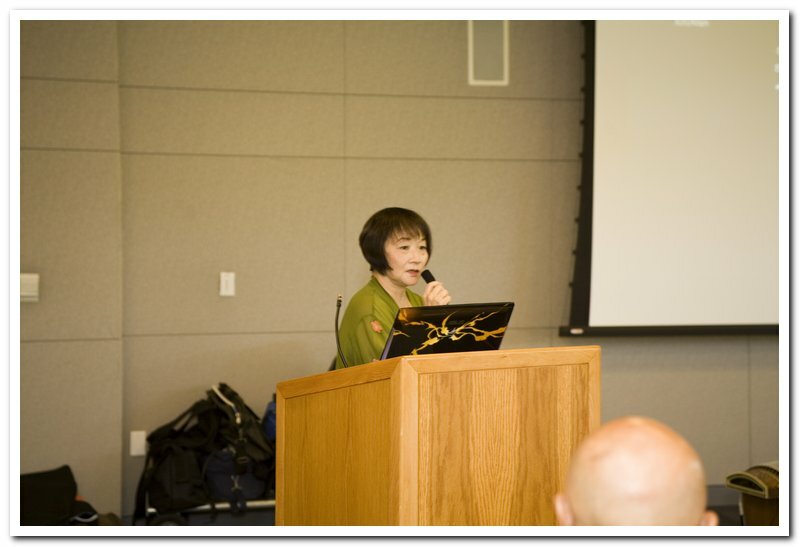 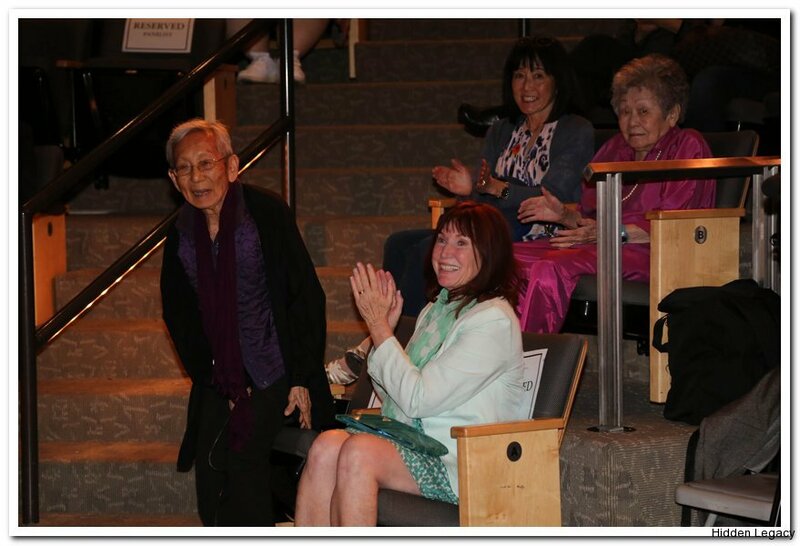 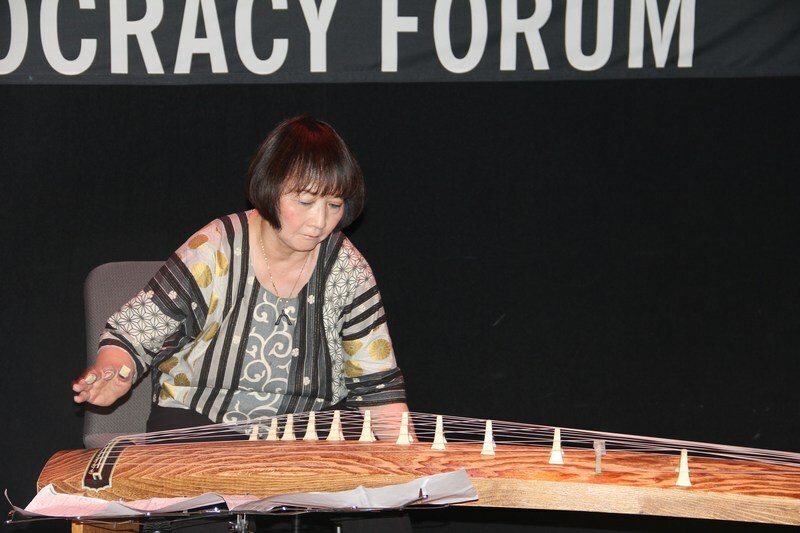 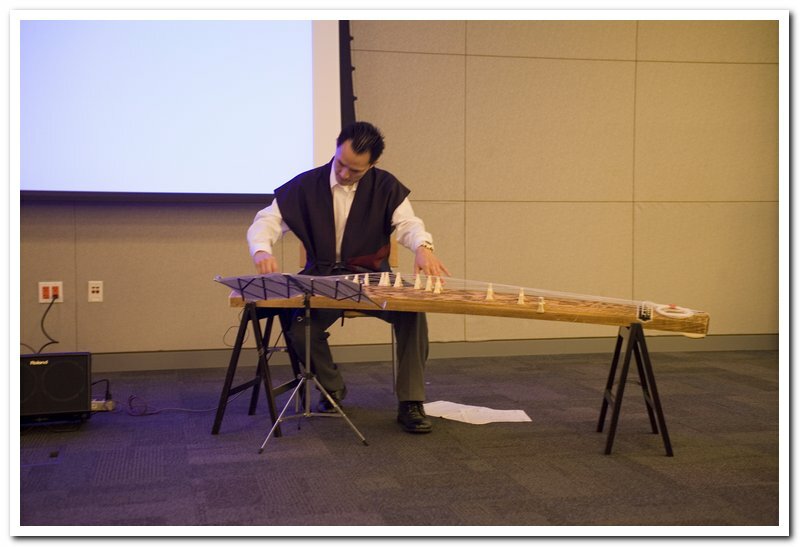 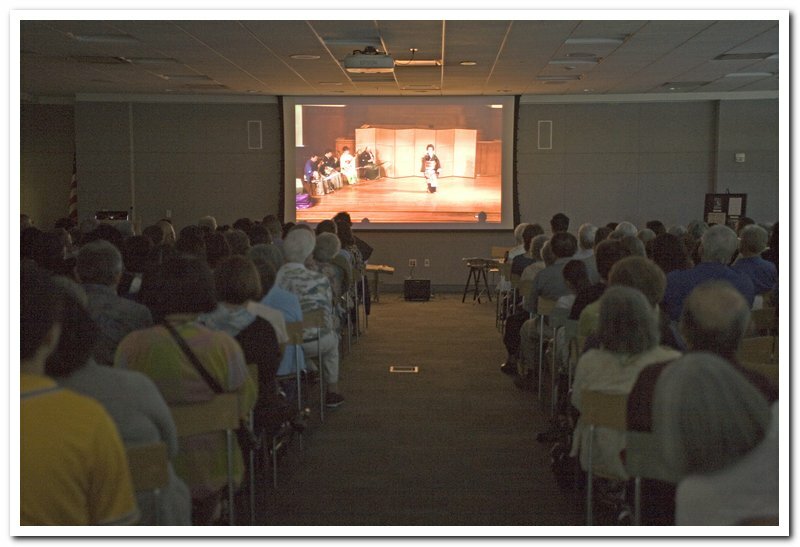 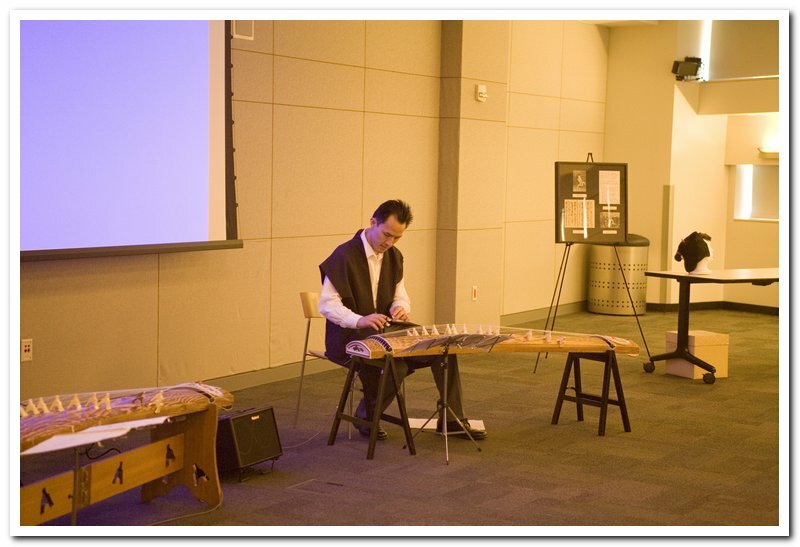 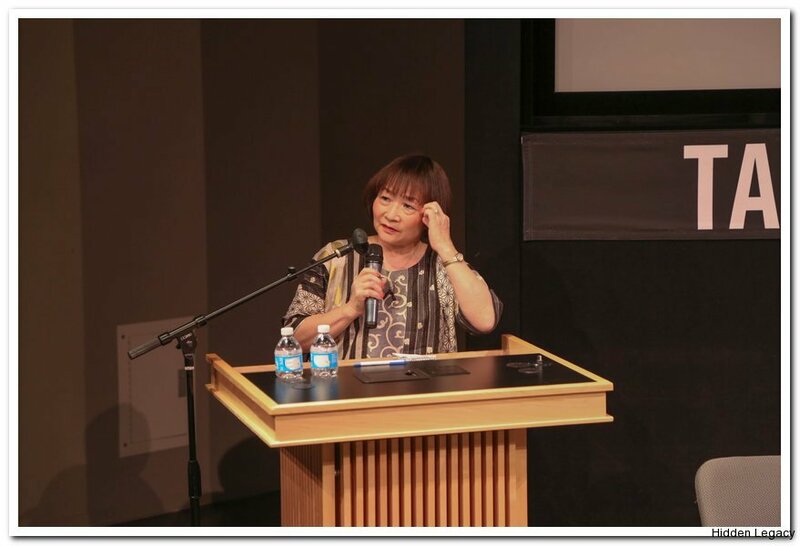 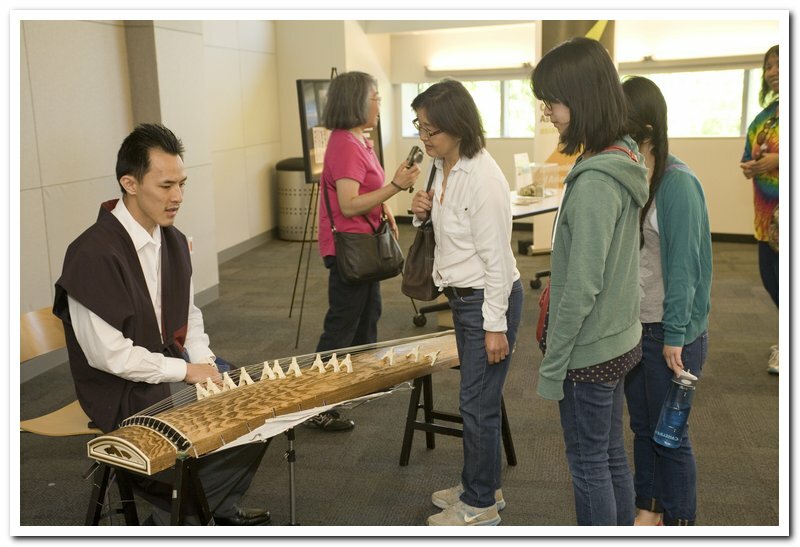 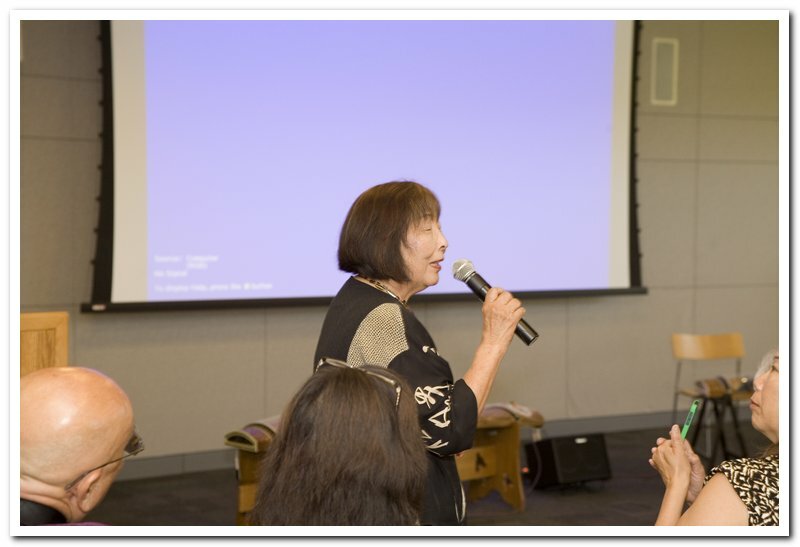 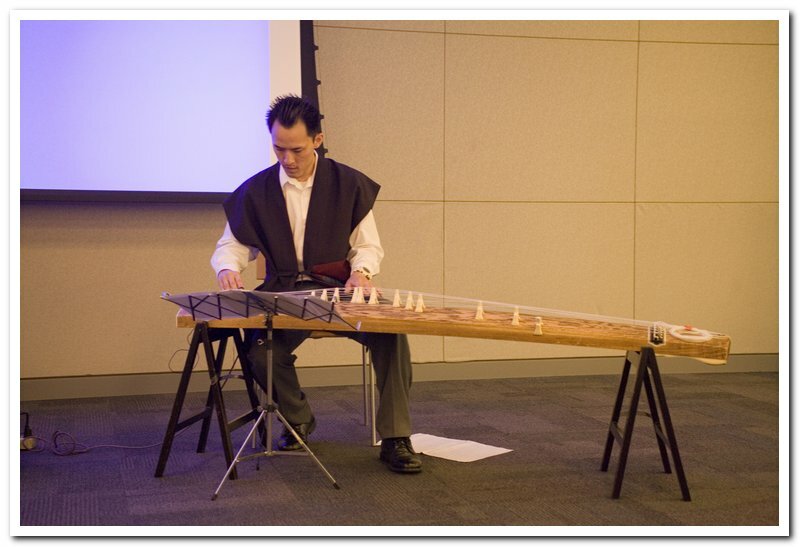 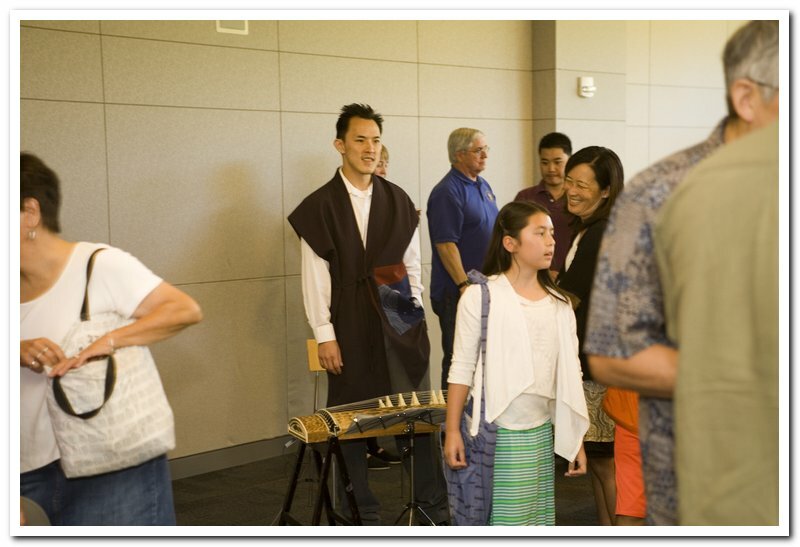 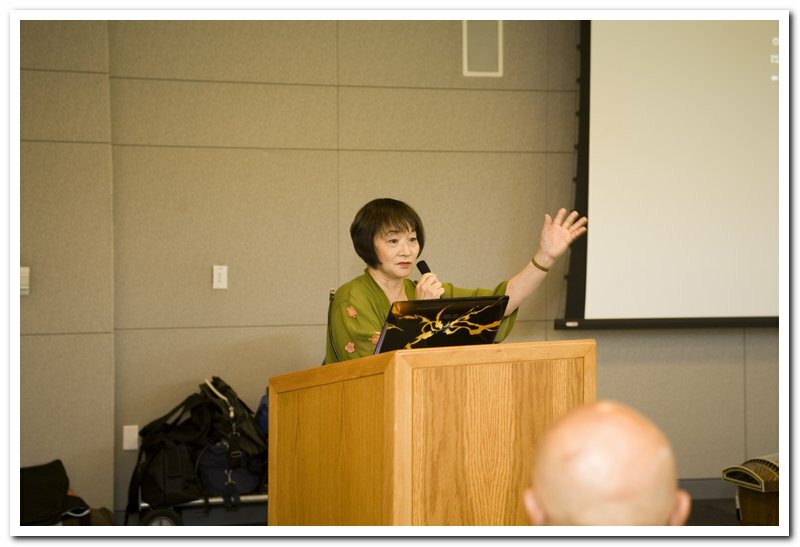 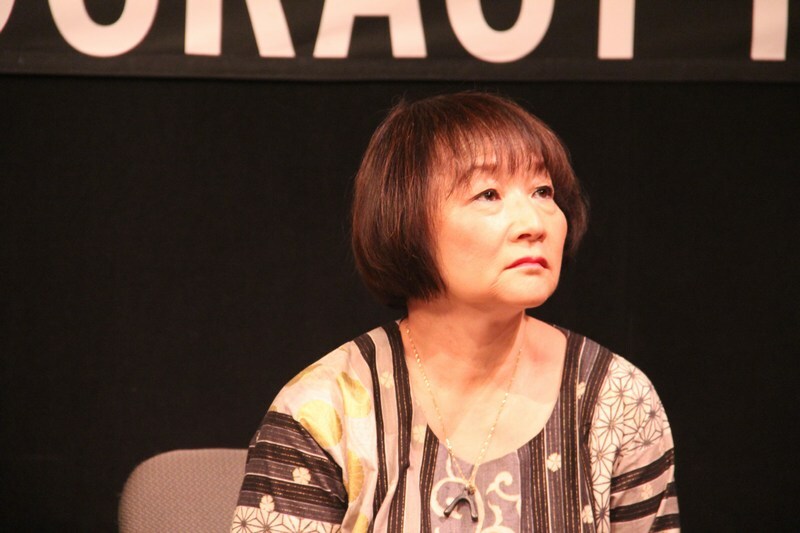 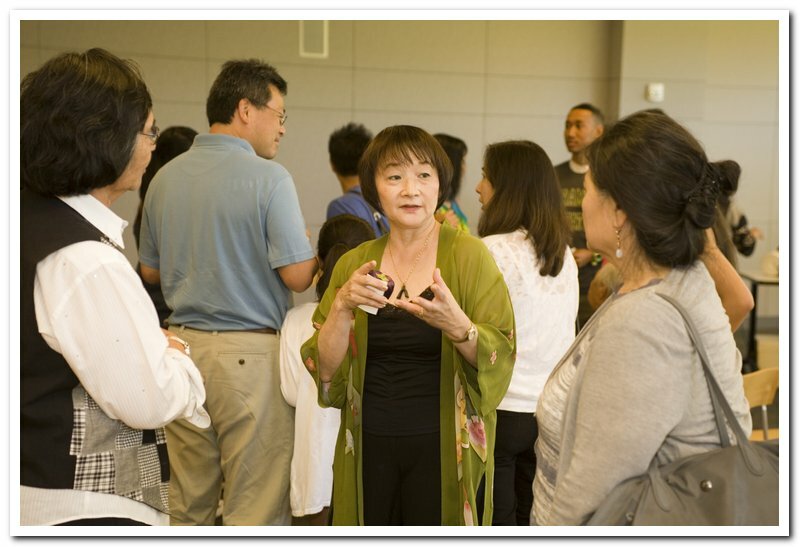 For over twenty years, executive producer Shirley Kazuyo Muramoto, a teacher and performer of the 13-stringed Japanese zither known as the koto, has researched the history of Japanese traditional performing arts as practiced in the camps. 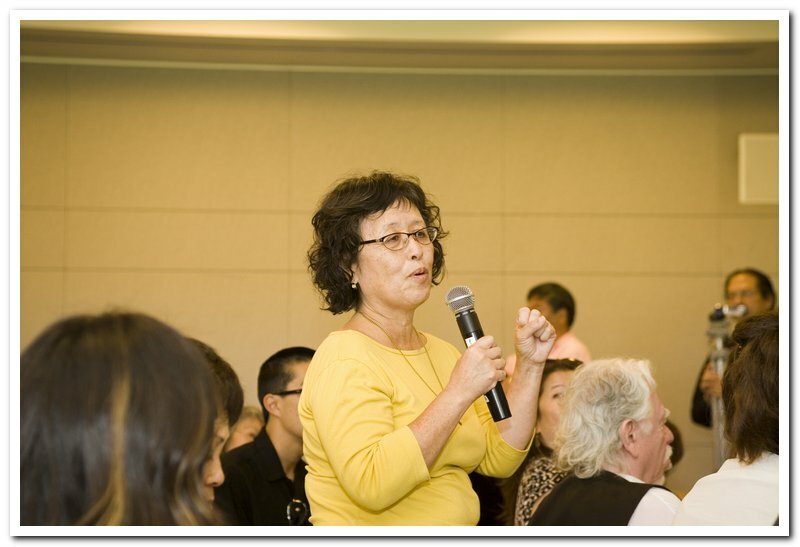 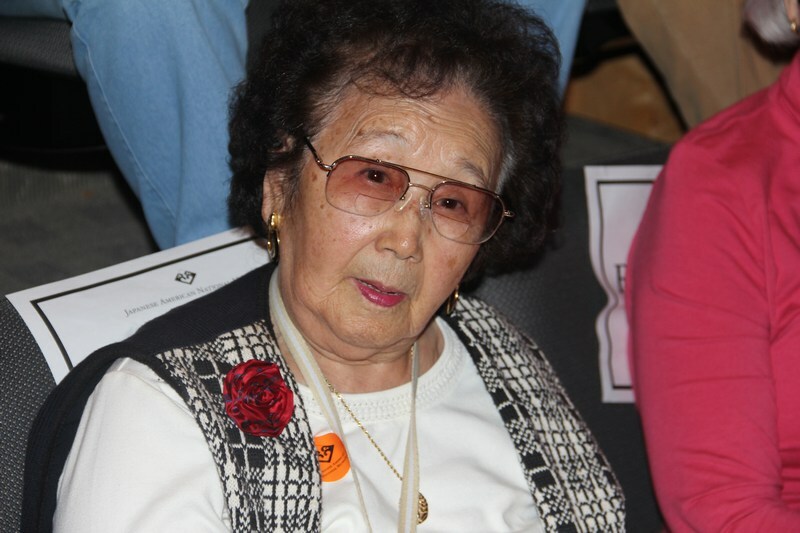 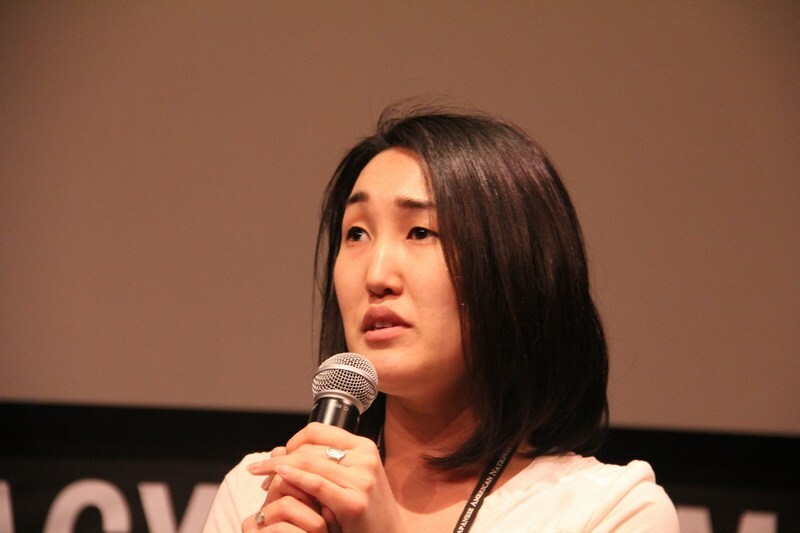 She tracked down, located, and interviewed both teachers and students from most of the ten main prison camps. 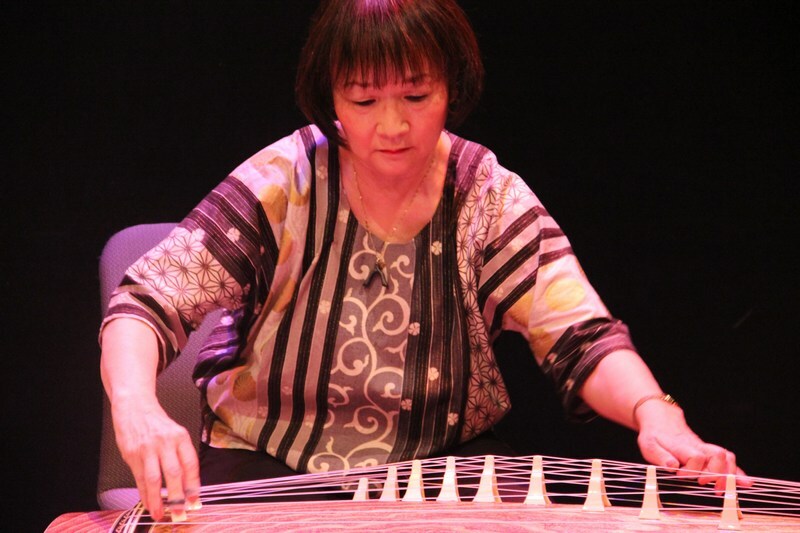 Her fascination with the subject began after discovering that her mother, who taught her the koto, first learned the instrument as a child in the Topaz and Tule Lake camps. 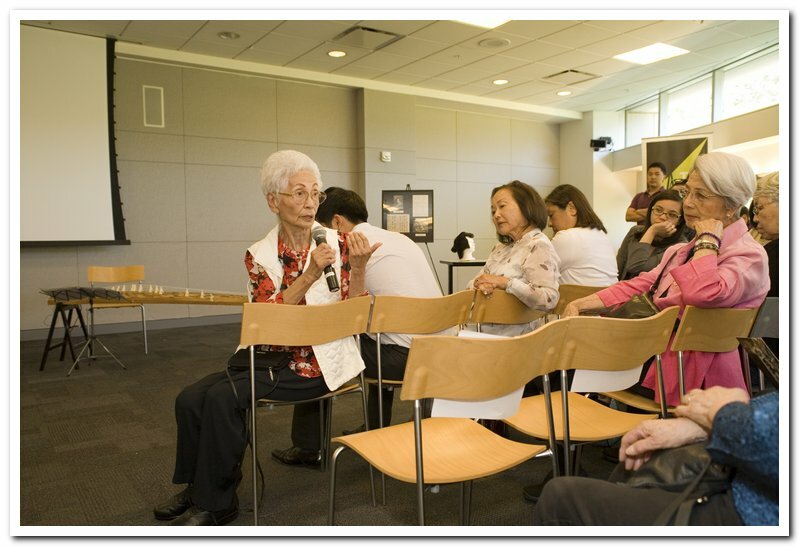 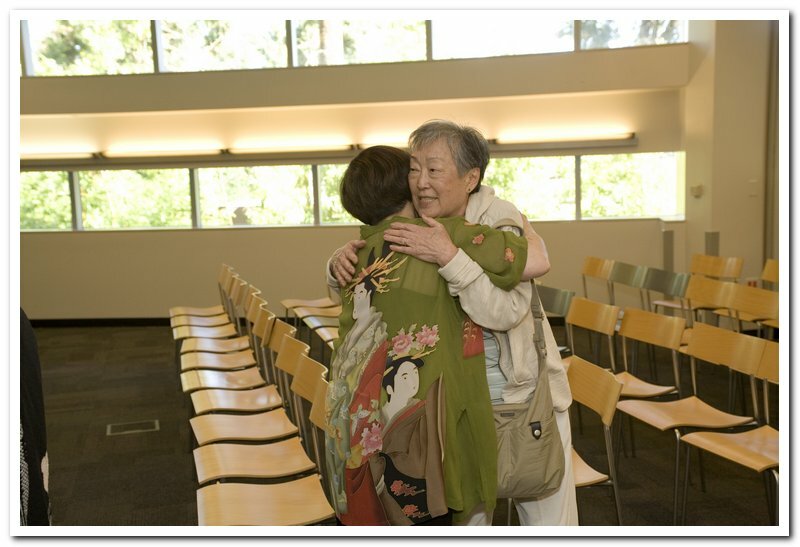 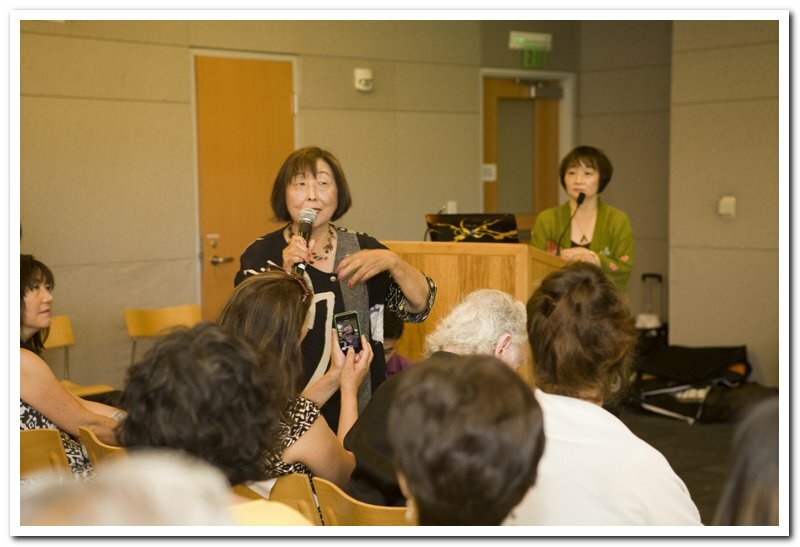 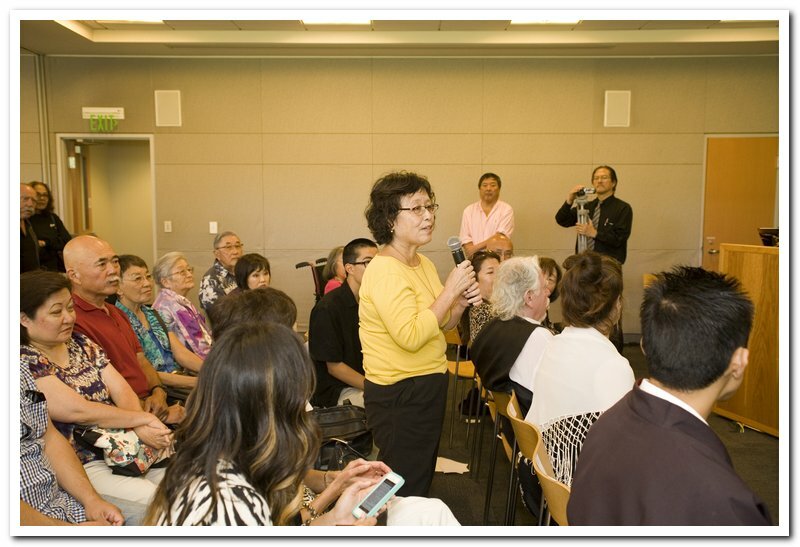 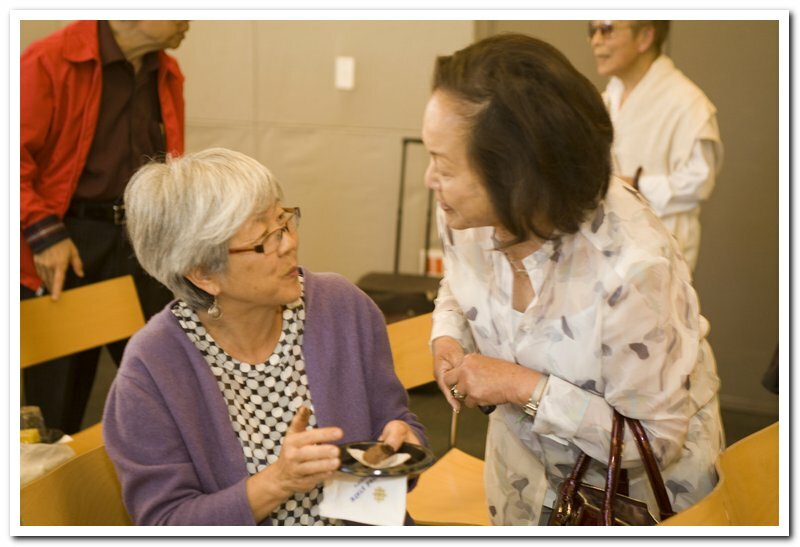 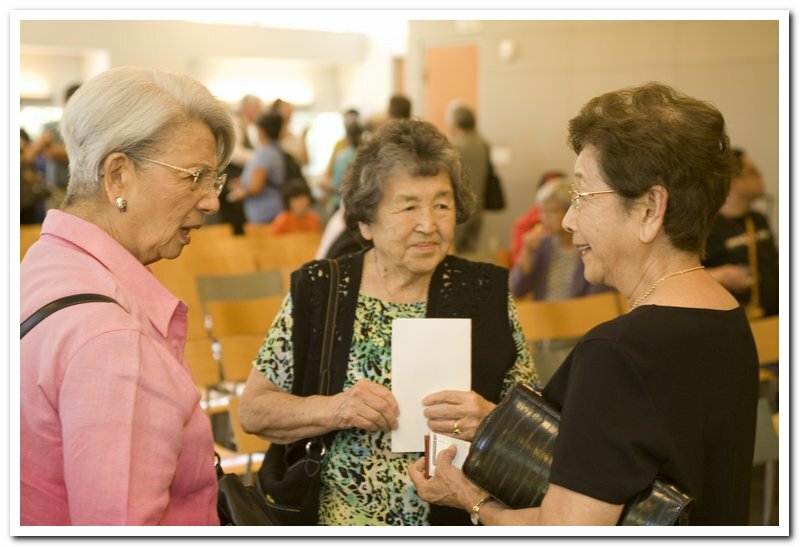 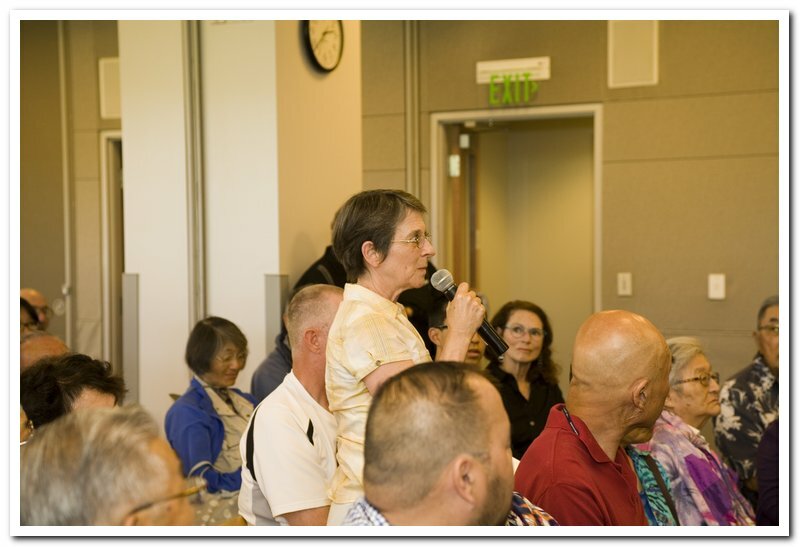 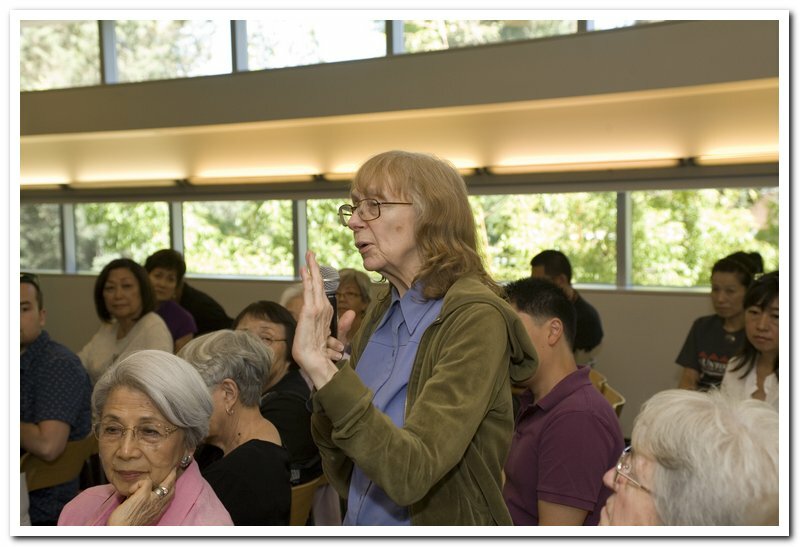 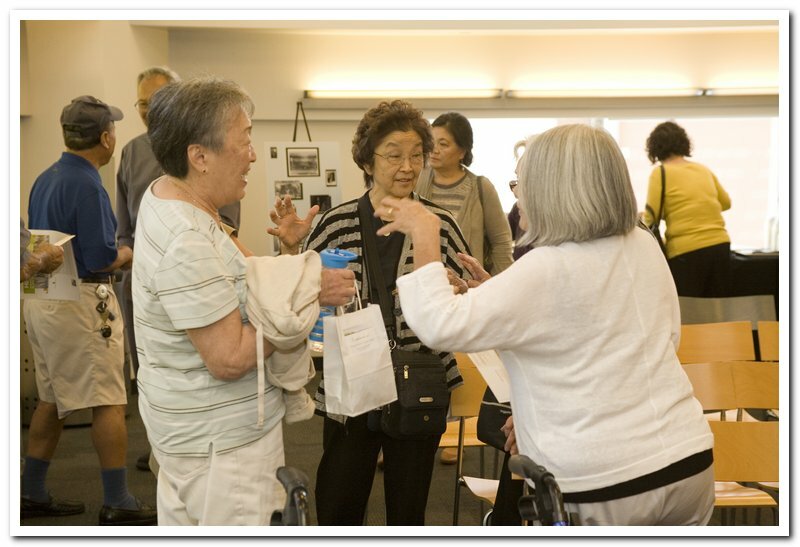 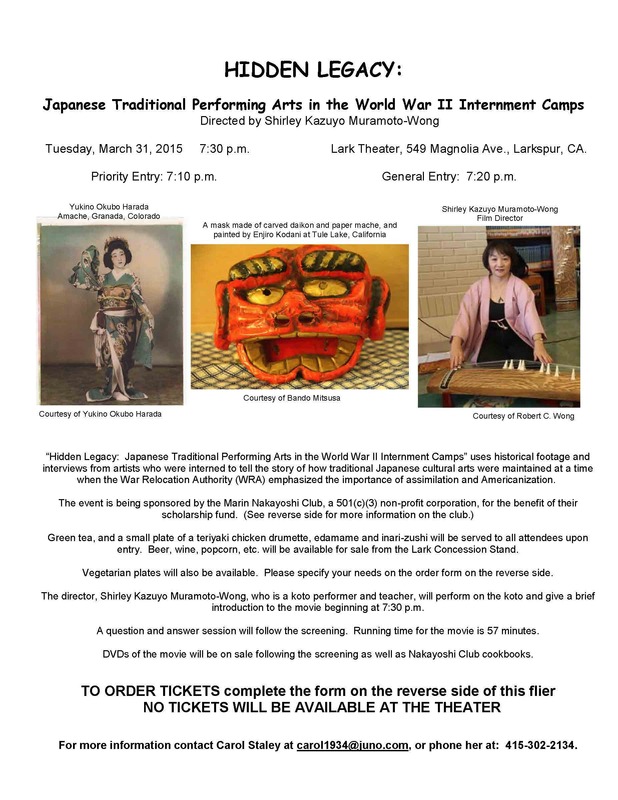 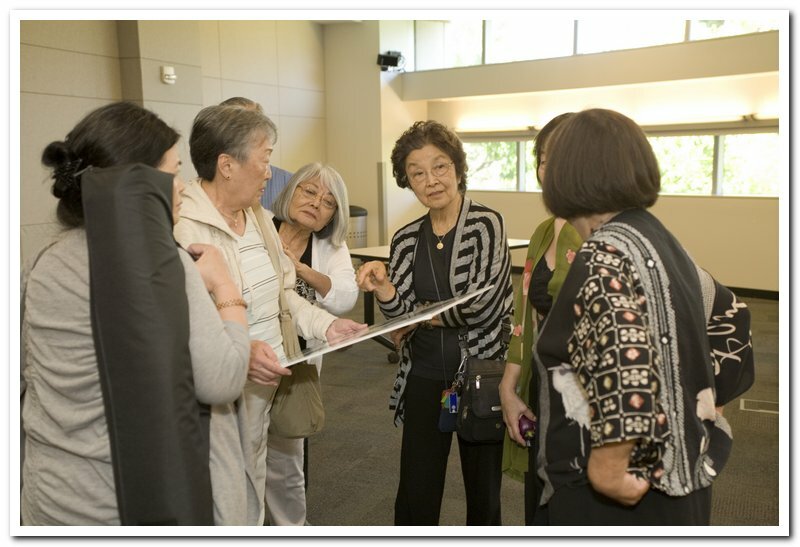 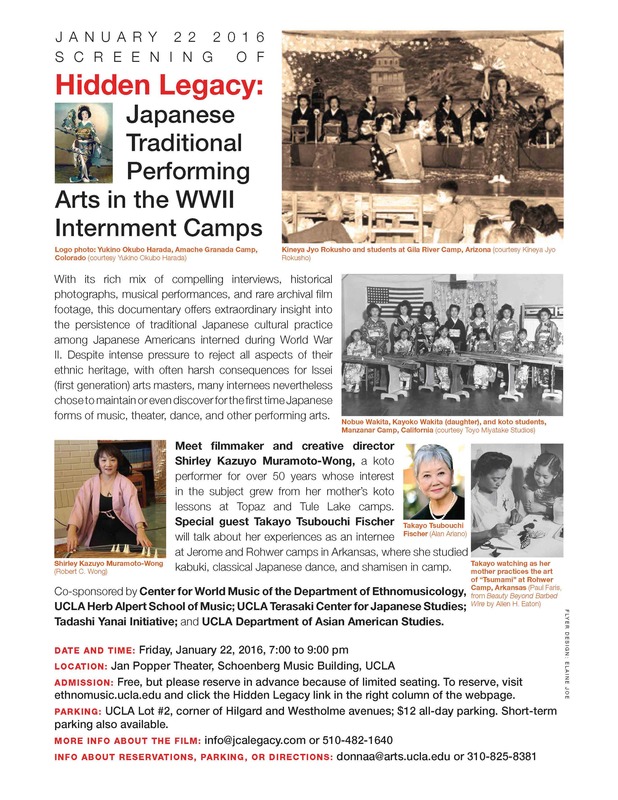 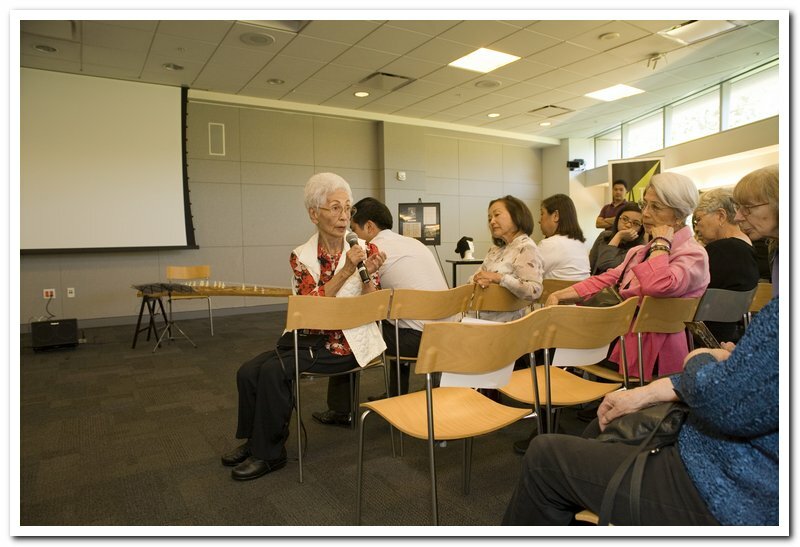 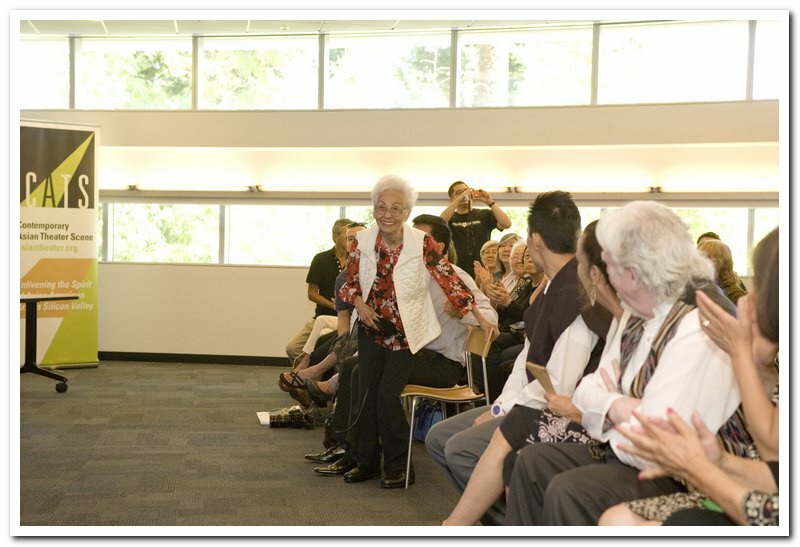 The mystery of how anyone could get the 6-foot long instrument into the camps when internees were only allowed to bring what they could carry sparked her quest to find out how Japanese Americans managed to carry on their art traditions under the watchtowers of the camps. 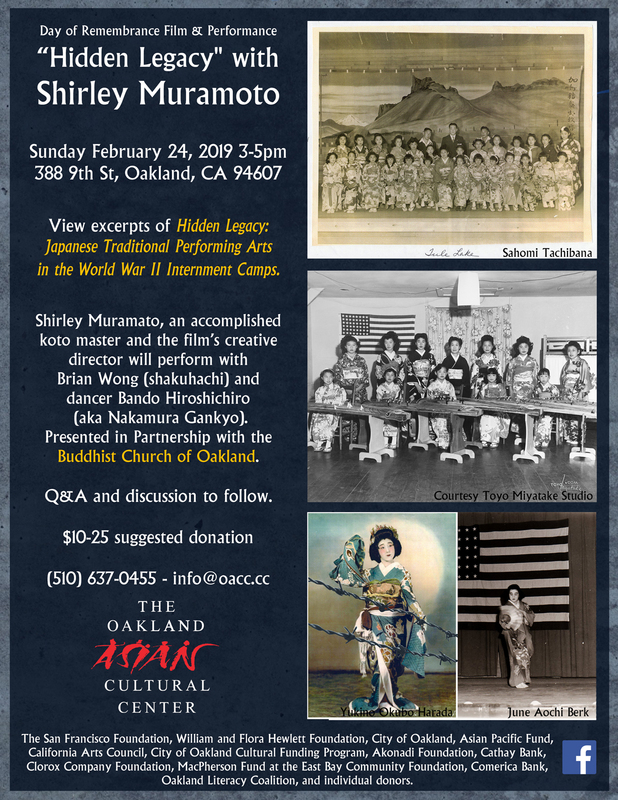 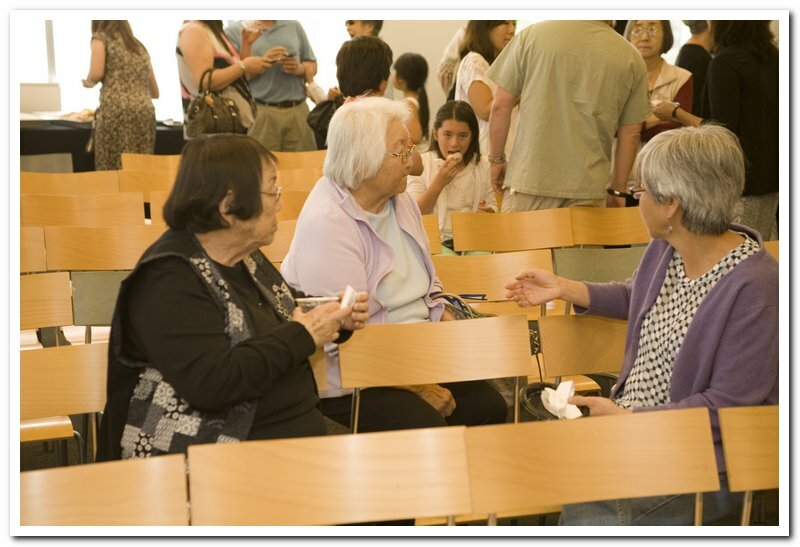 The cultural traditions that had always tied Japanese American immigrants to their faraway homeland, now came to serve as a solace during their wartime incarceration. 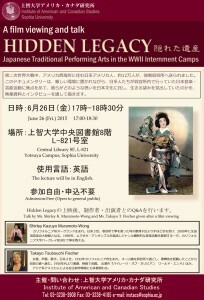 In the vibrating strings of the koto and shamisen, the graceful moves of buyo and obon dance, the emotional release of shigin singing, or the stylized dramatics of kabuki and gidayu, an escape from the bleak predicament of the camps became possible, if only for a moment through these arts. 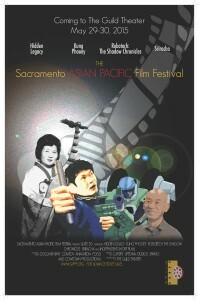 Please follow us on facebook and twitter so that when the film launches, you’ll be the first to know!